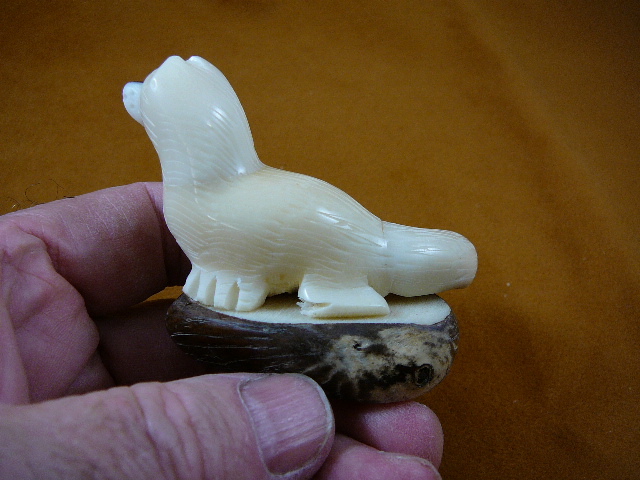 Arctic fox is 1-1/2" tall x 2-1/8" long x 1-3/8" wide. 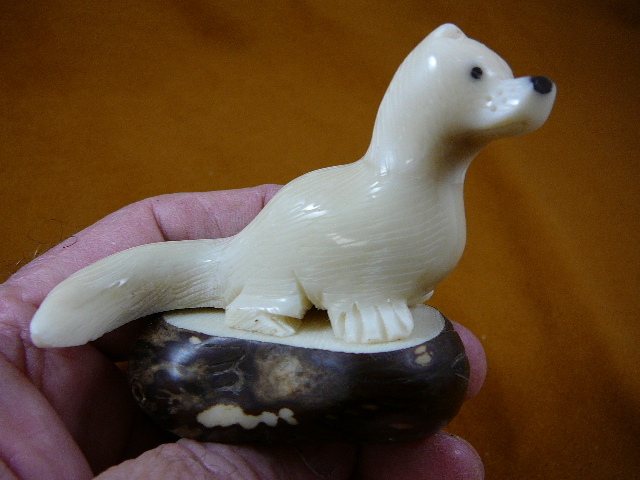 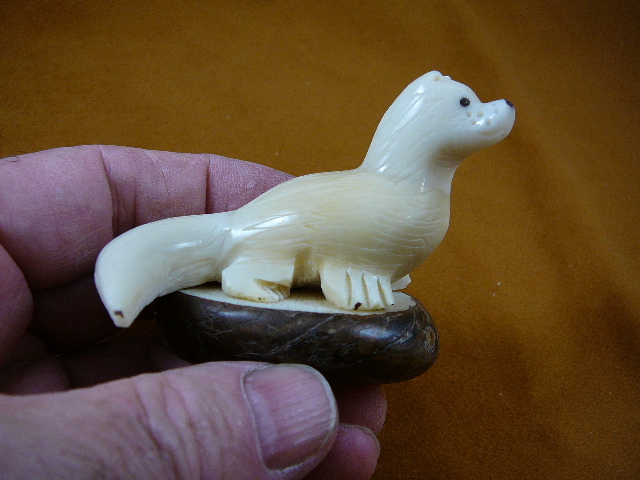 Arctic fox is 1-9/16" tall x 2-1/8" long x 1-15/16" wide. 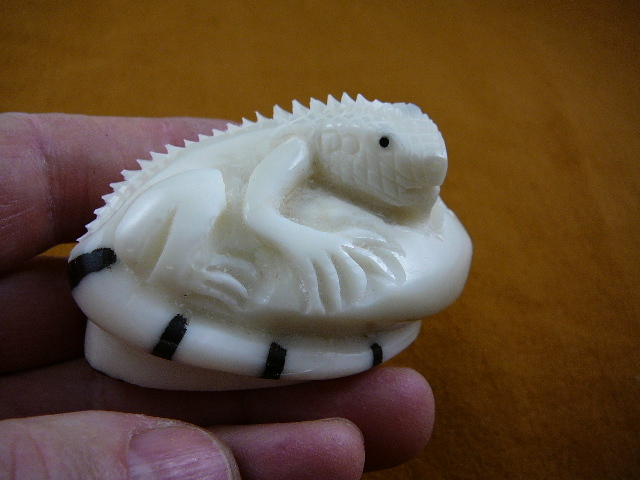 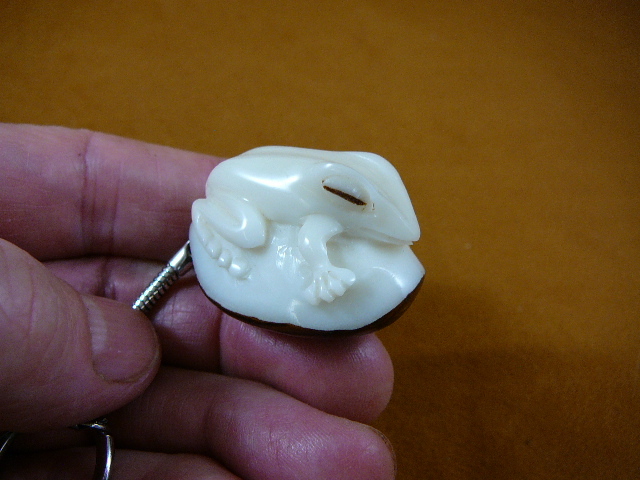 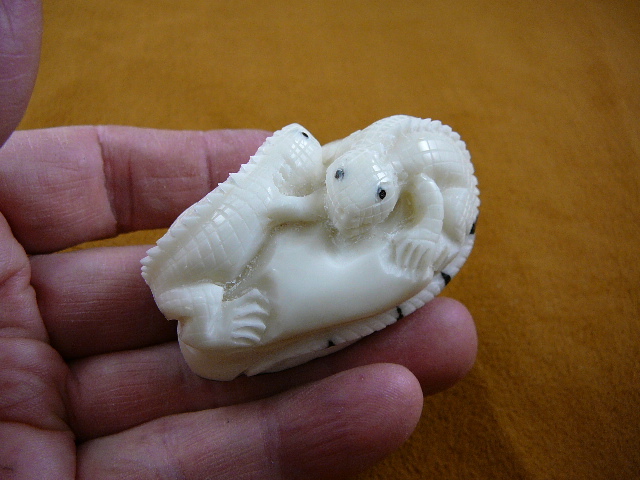 Frog on tagua nut base is 1-7/8" long x 1-7/16" wide x 1-3/4" tall. 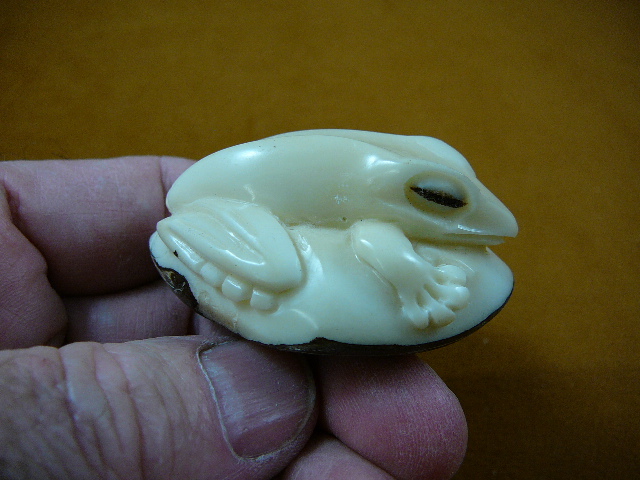 Frog on tagua nut base is 1-7/8" long x 1-7/16" wide x 1- 3/4" tall. 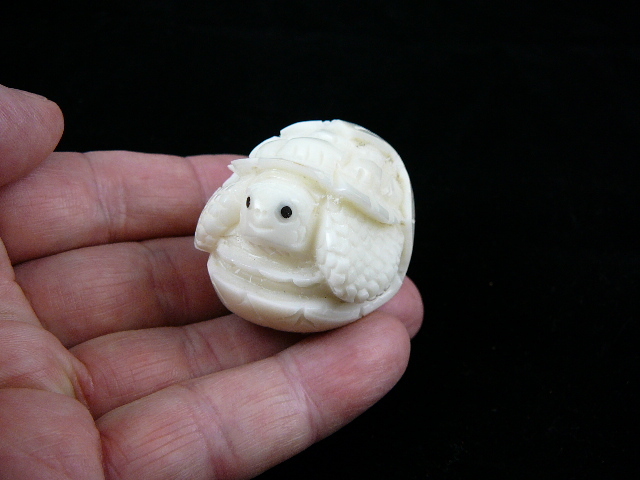 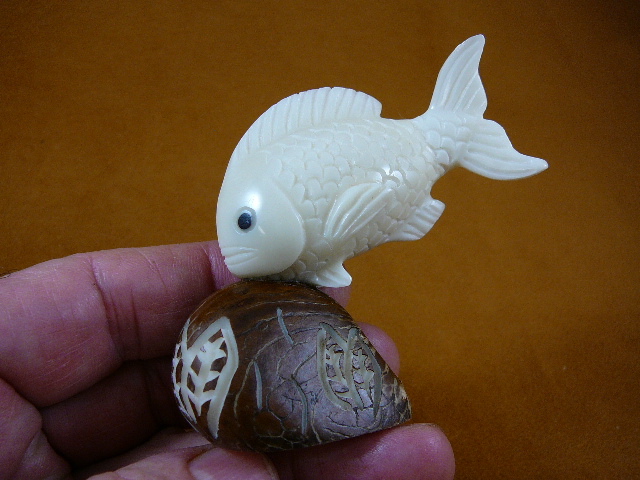 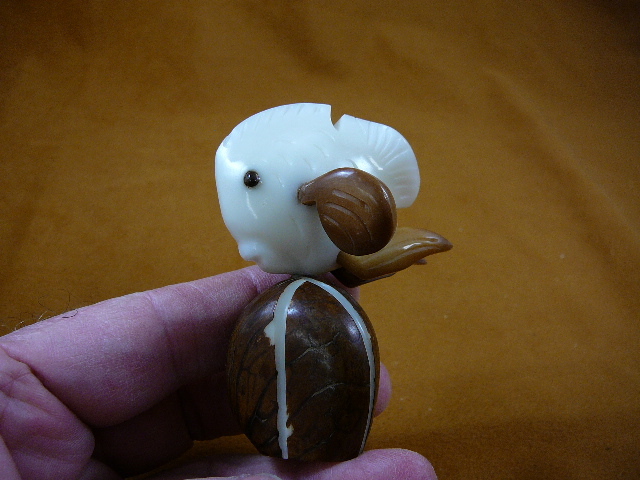 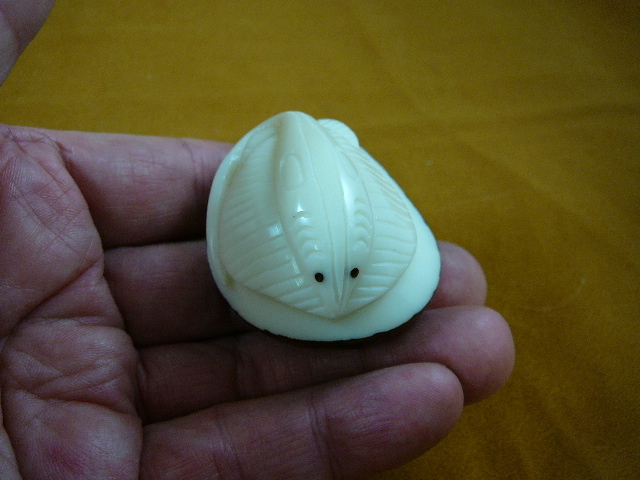 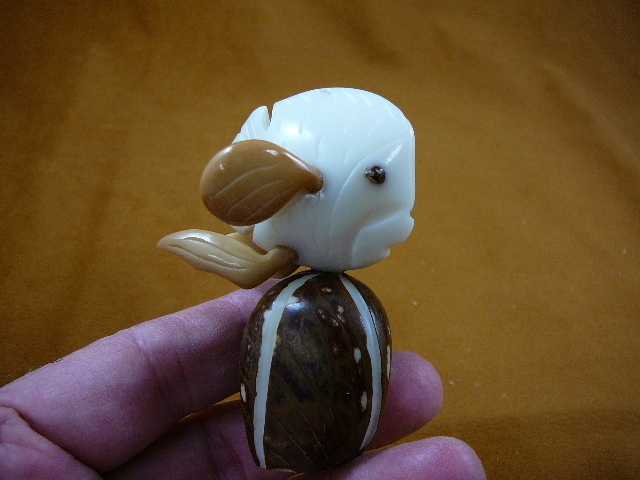 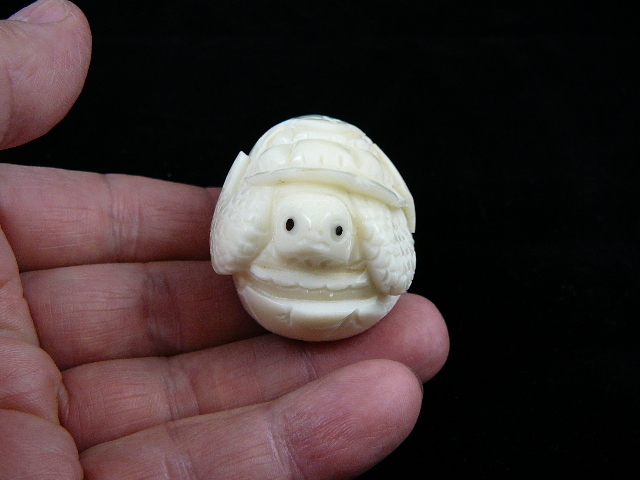 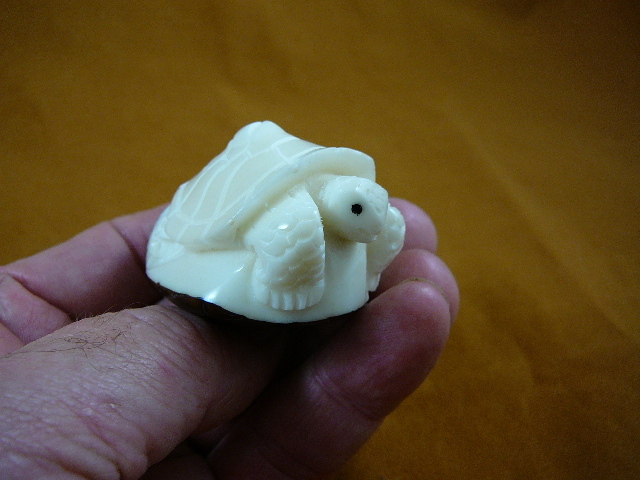 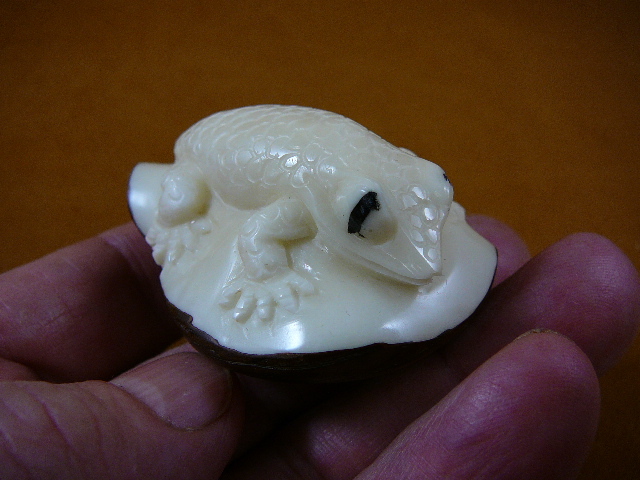 Frog on tagua nut base is 1-7/8" long x 1-5/8" wide x 1- 3/4" tall. 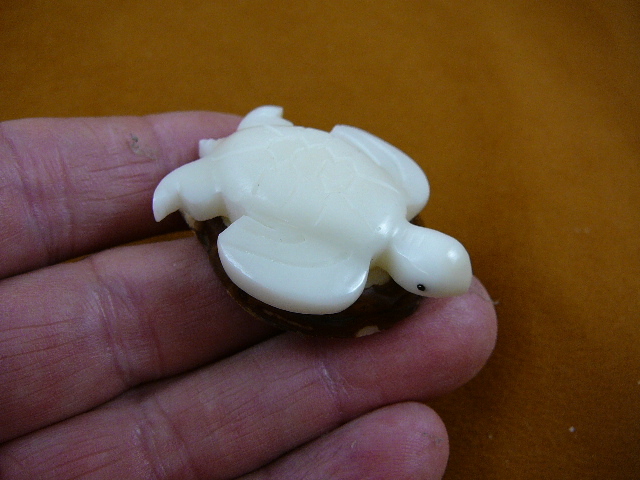 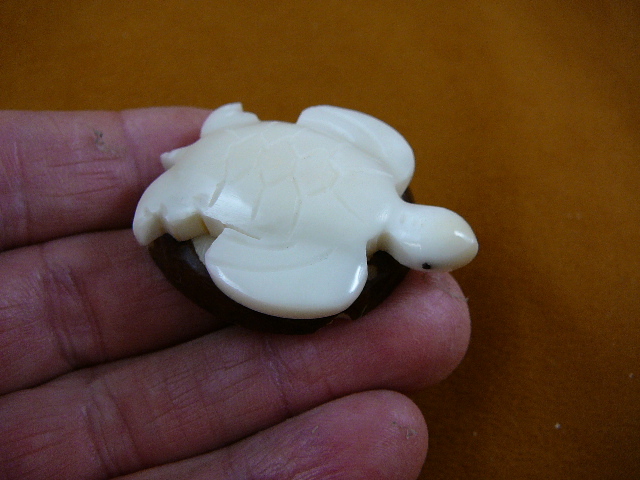 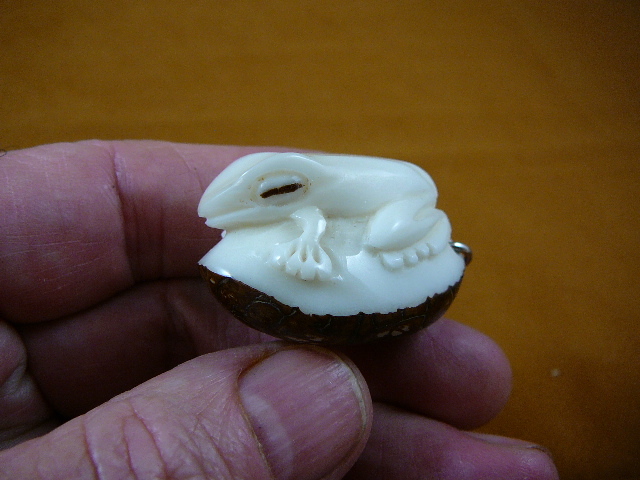 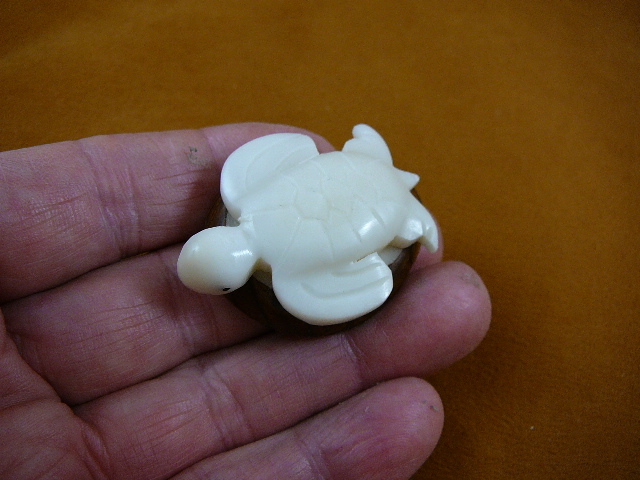 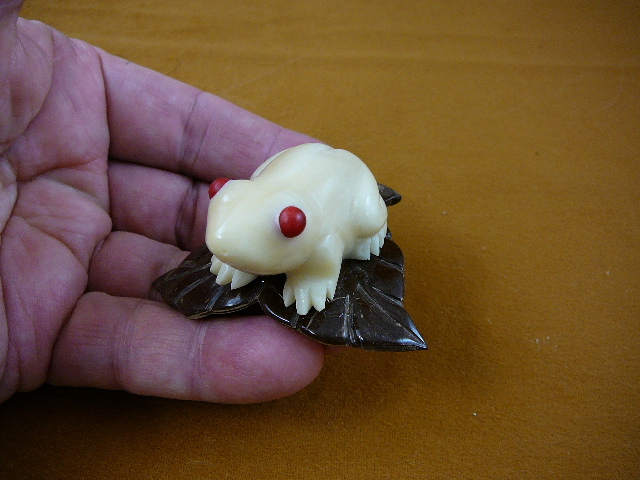 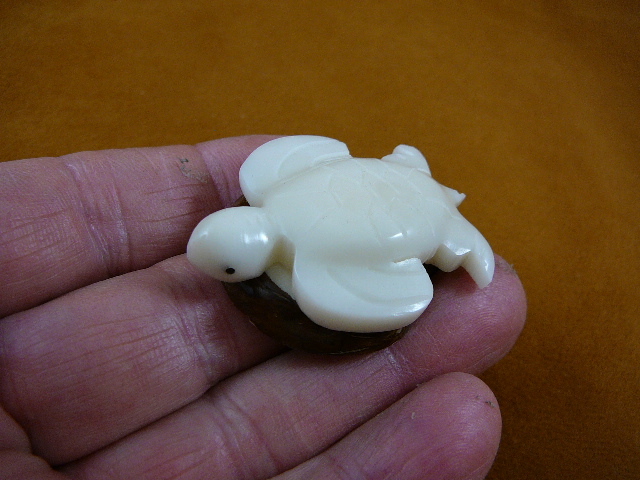 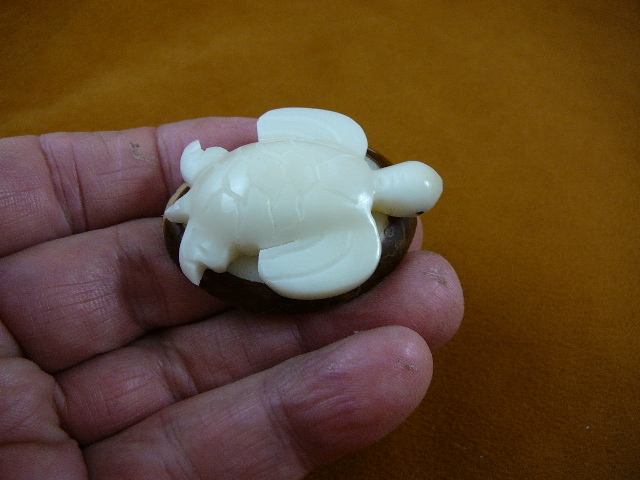 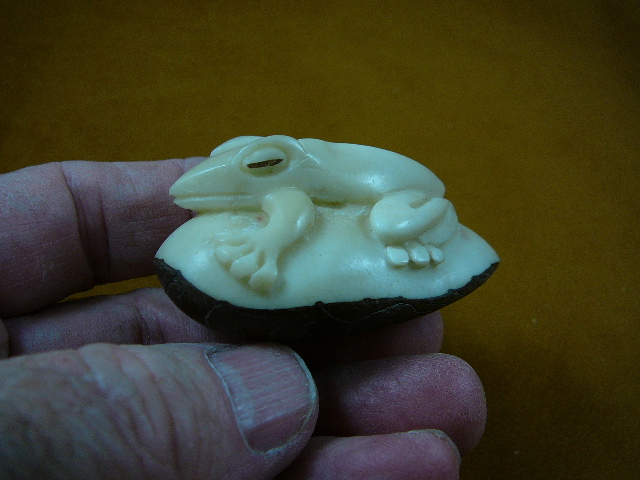 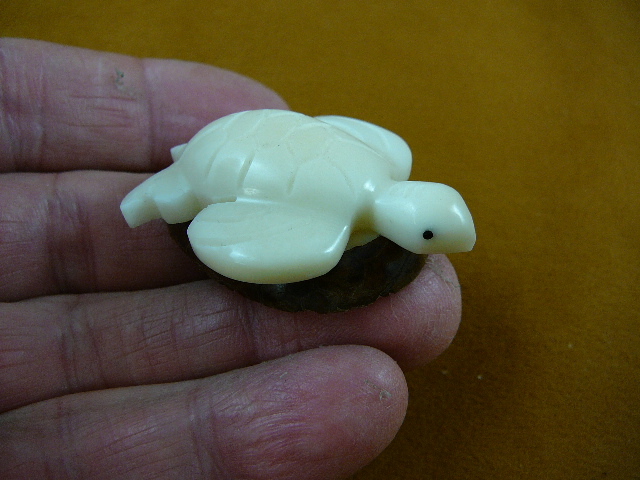 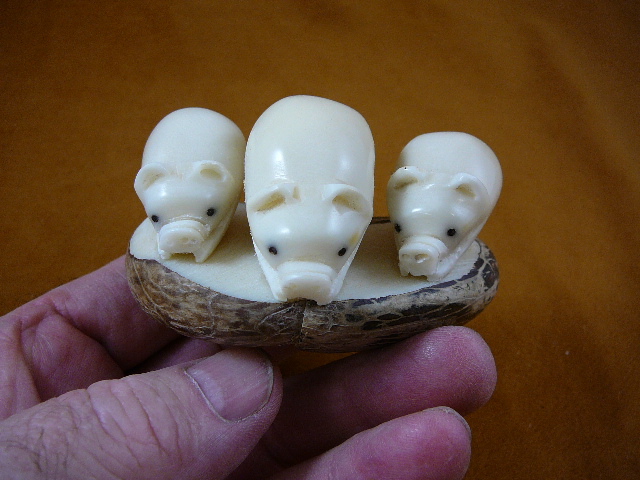 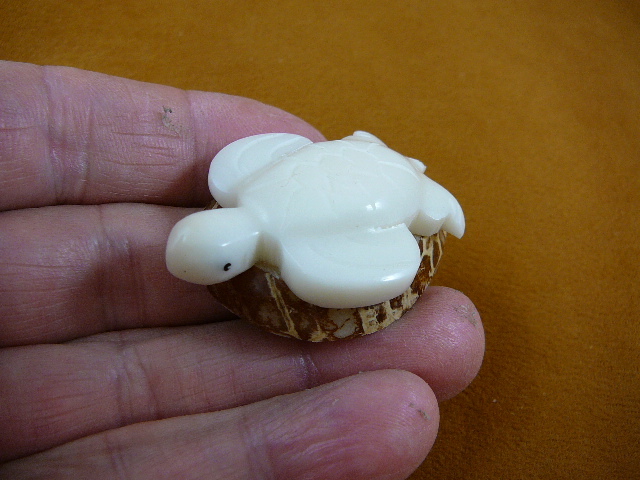 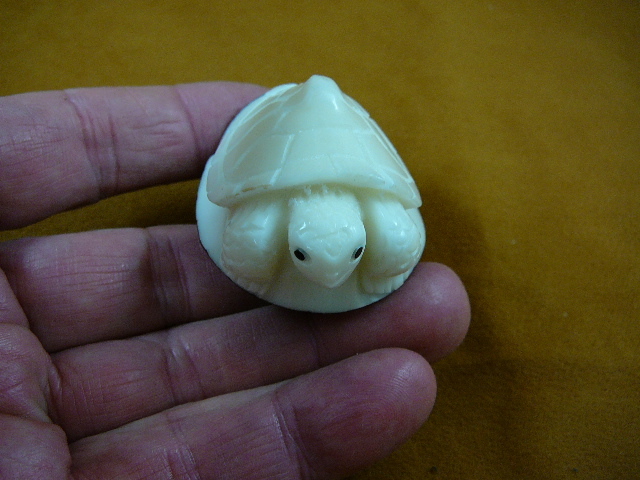 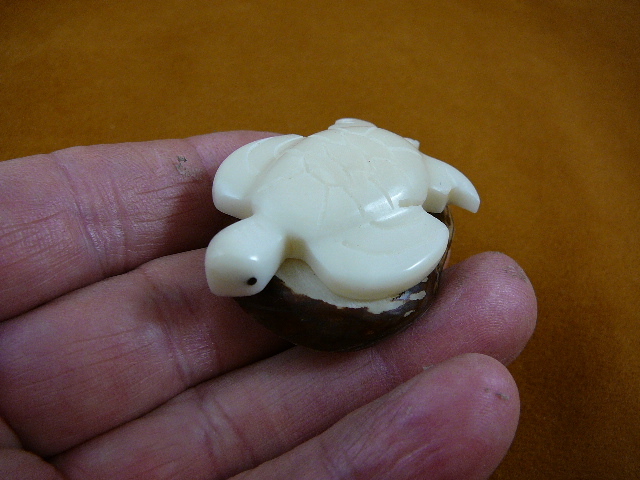 Frog on tagua nut base is 1-3/4" long x 1-5/16" wide x 1- 3/4" tall. 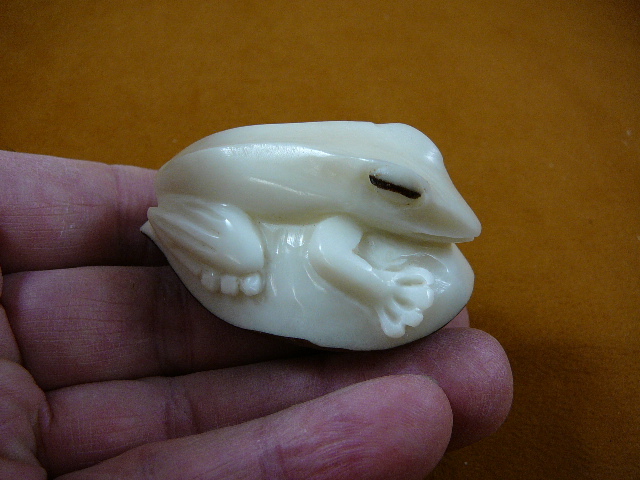 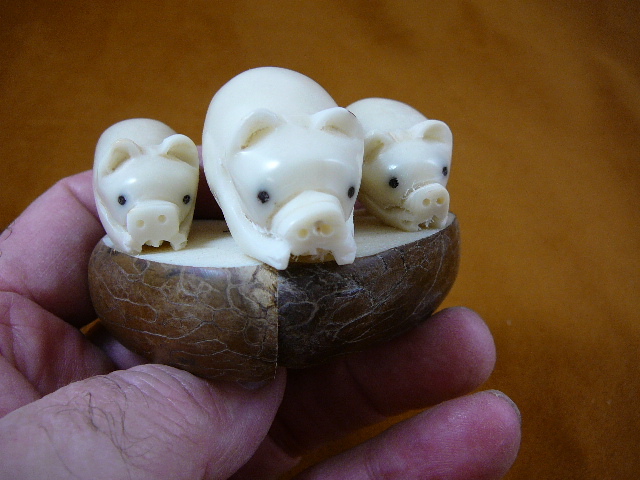 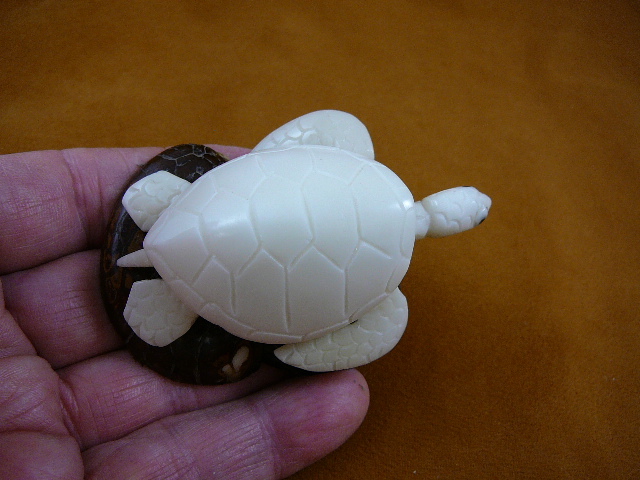 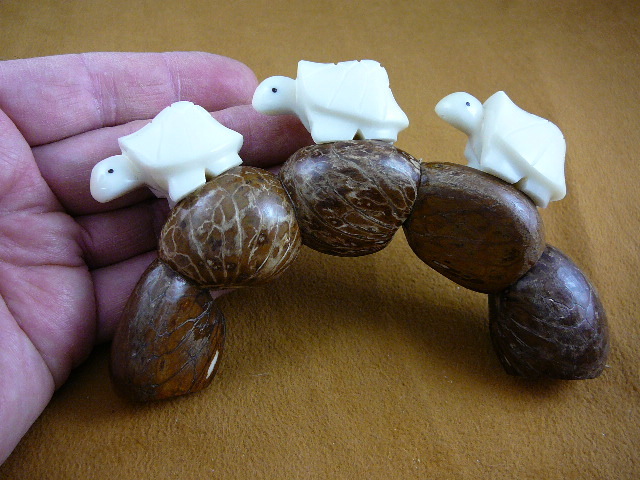 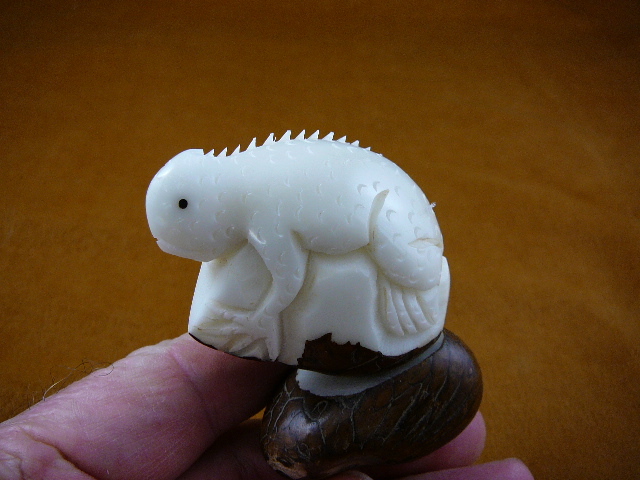 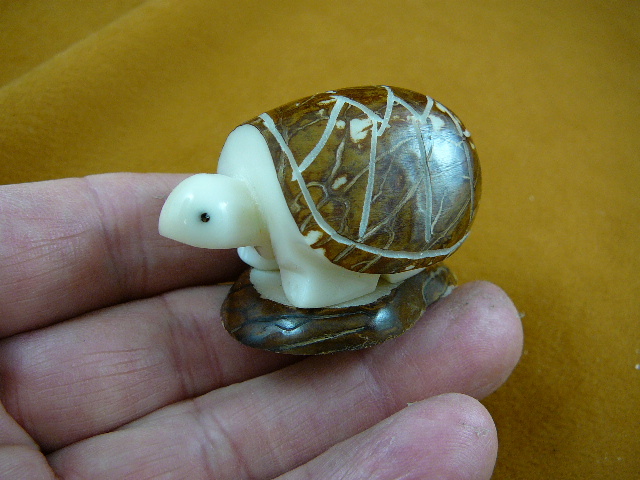 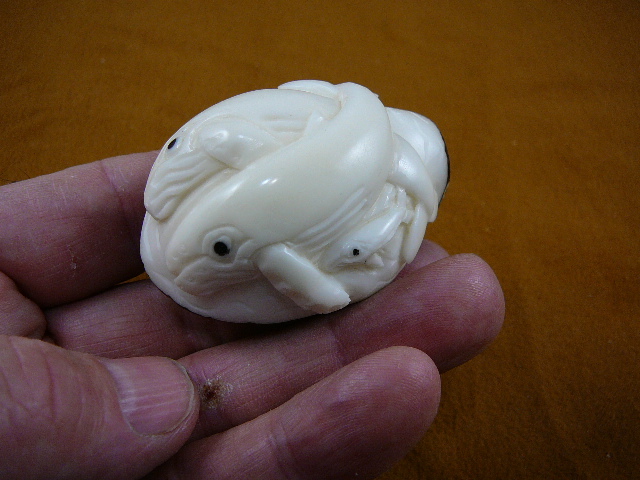 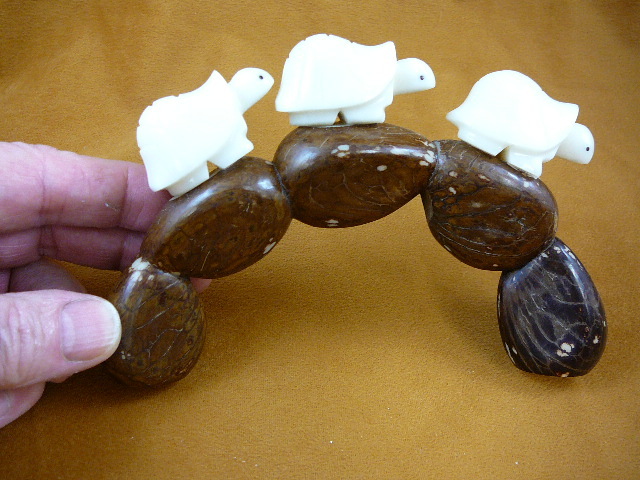 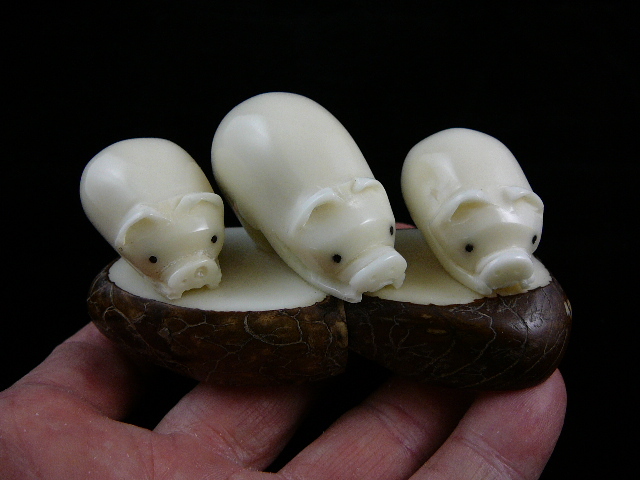 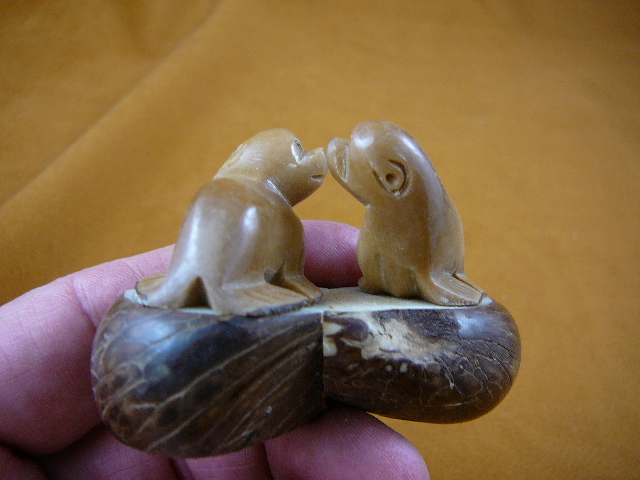 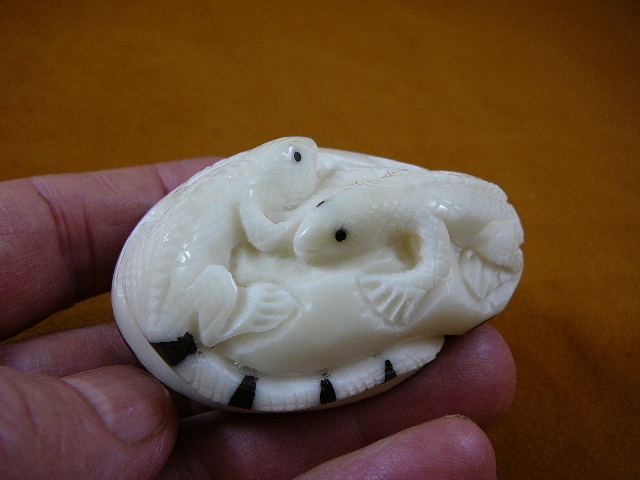 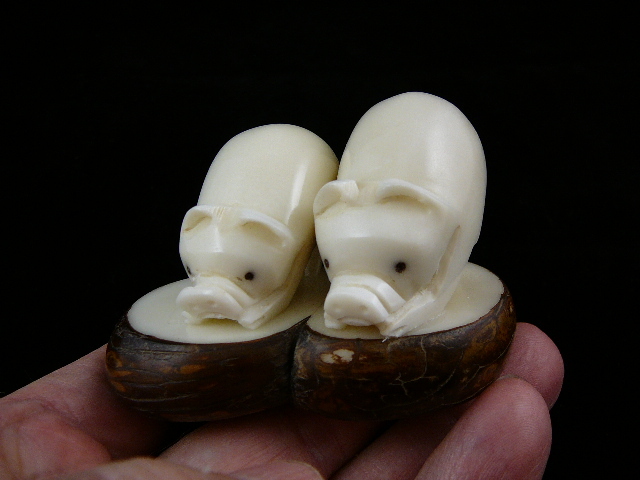 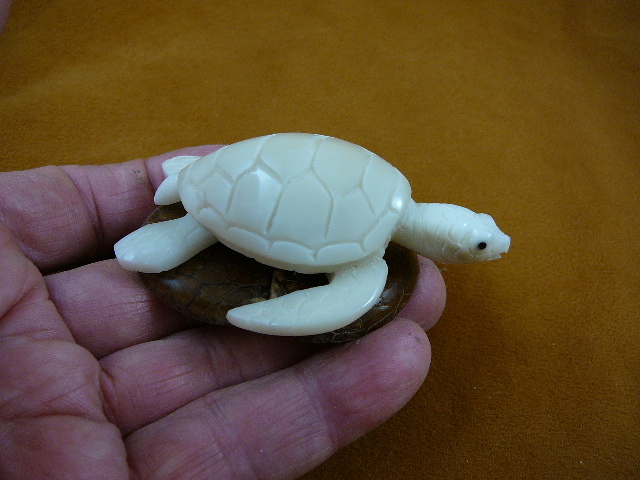 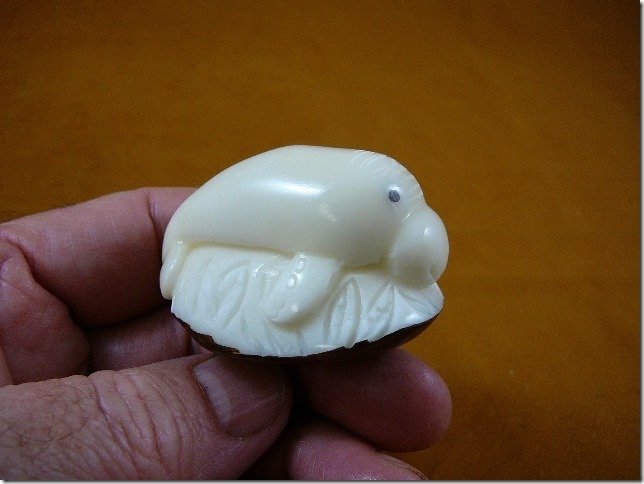 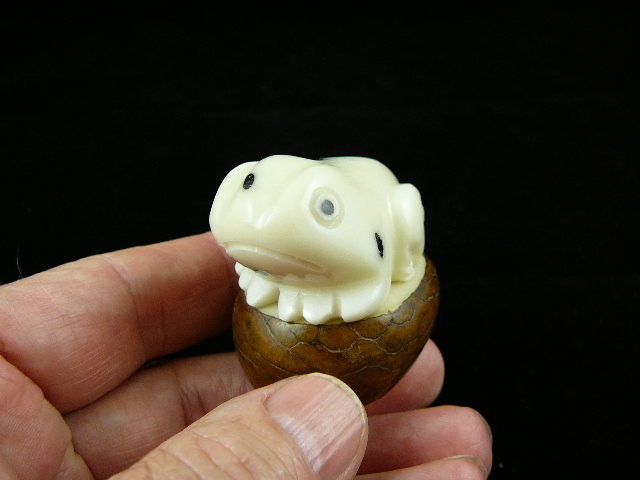 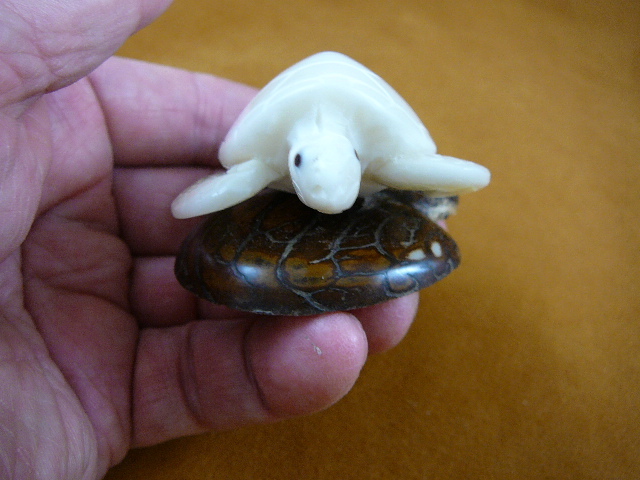 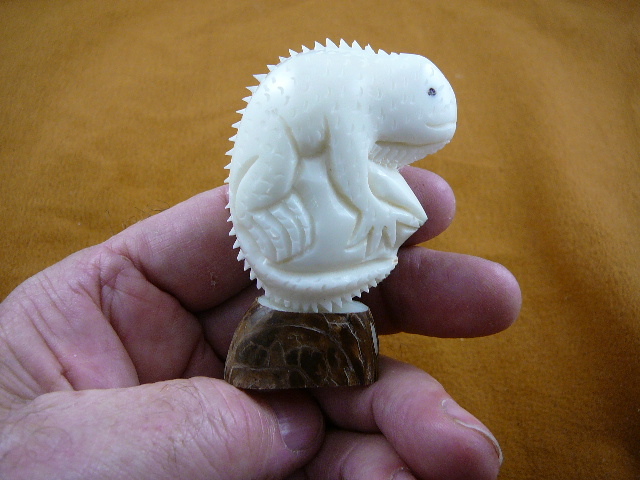 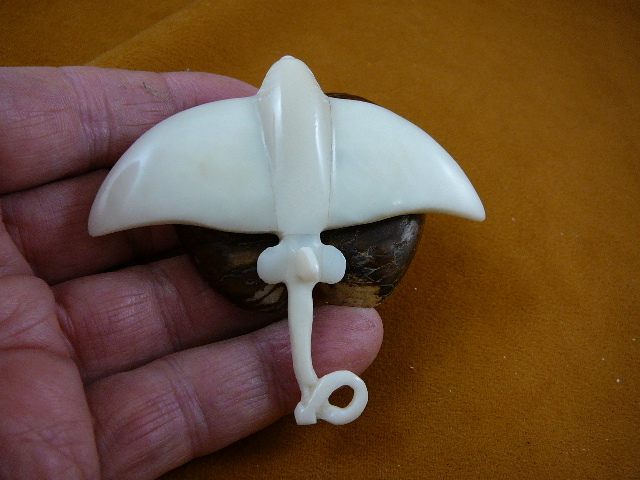 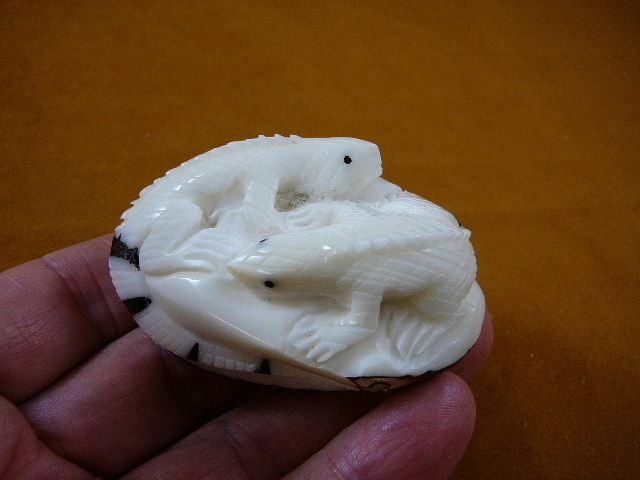 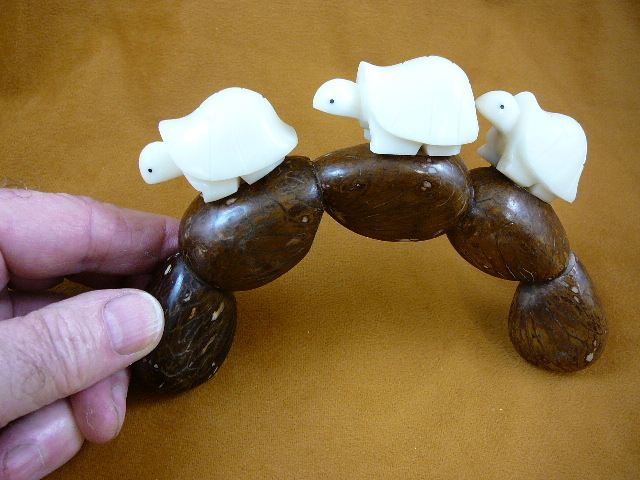 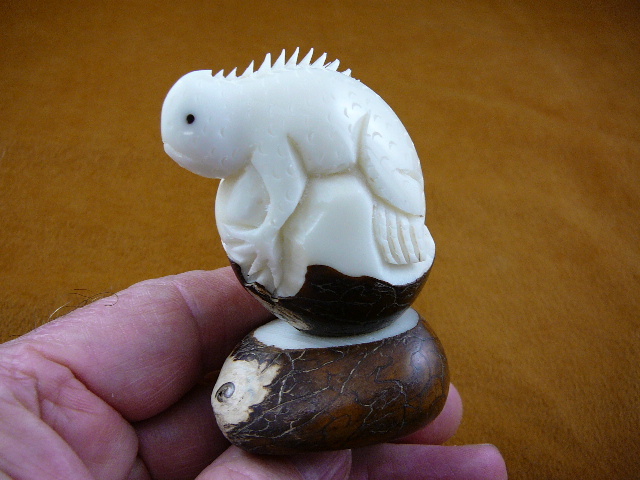 Frog on tagua nut base is 1-7/8" long x 1-5/16" wide x 1- 3/4" tall. 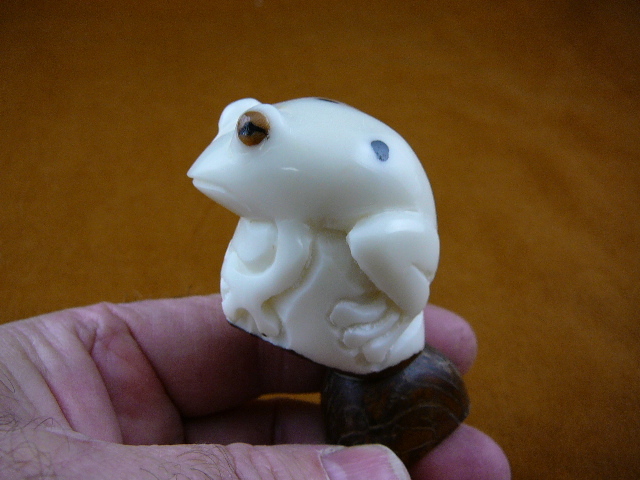 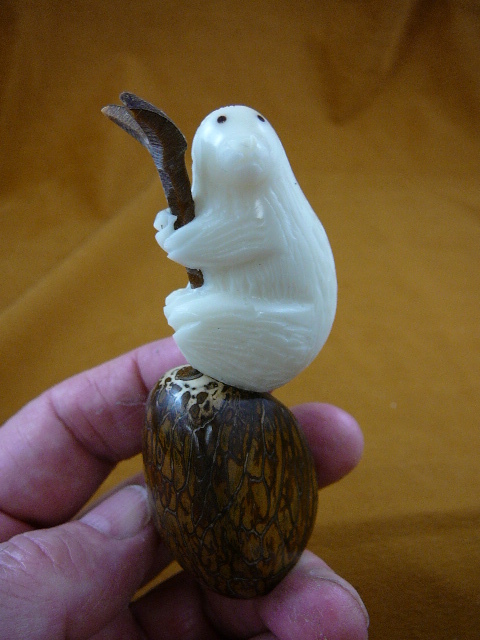 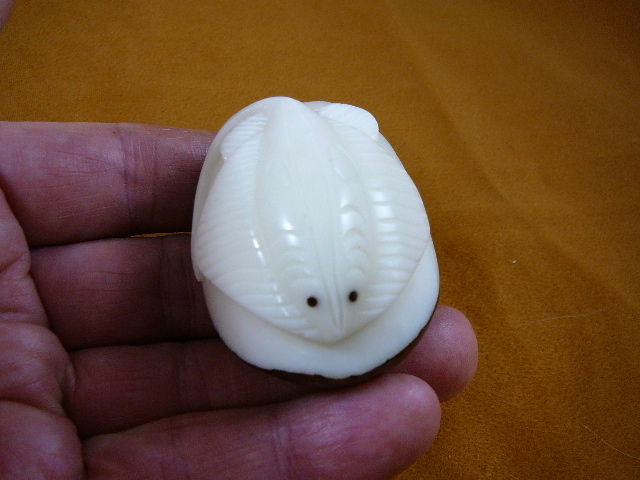 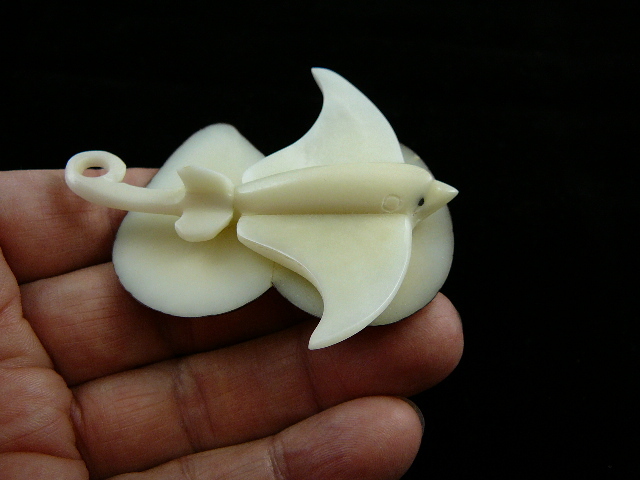 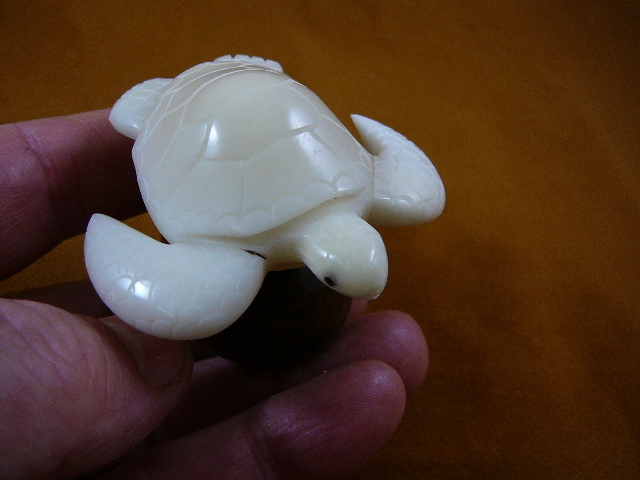 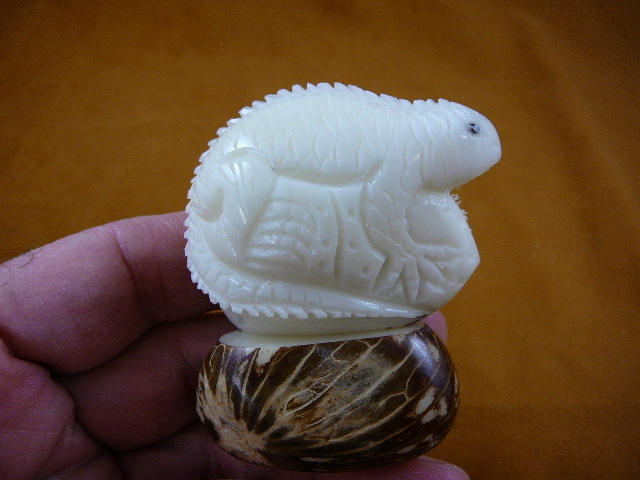 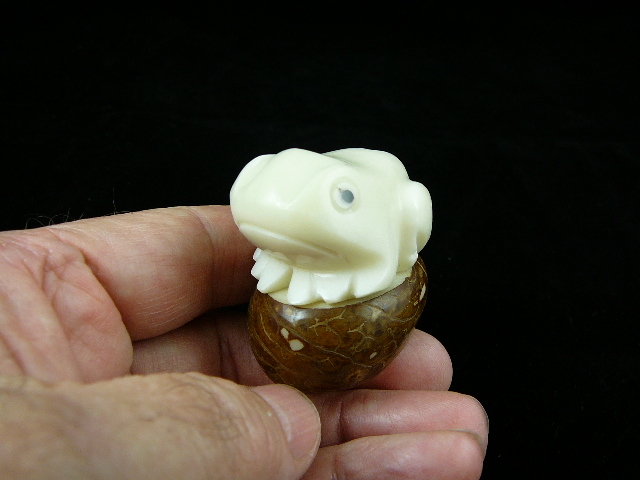 Frog on tagua nut base is 1-7/8" long x 1-7/16" wide x 1-5/8" tall. 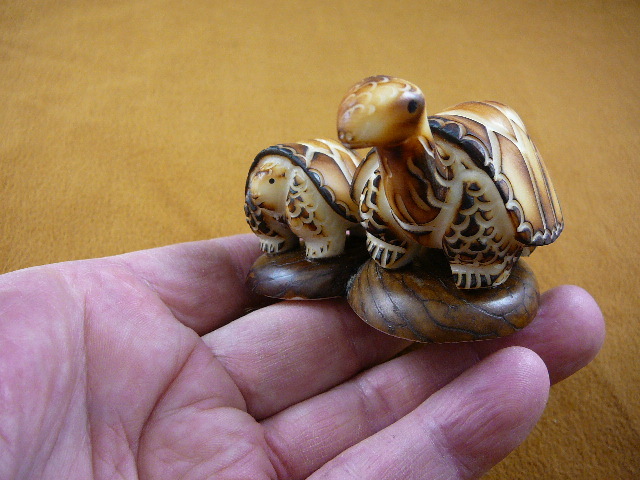 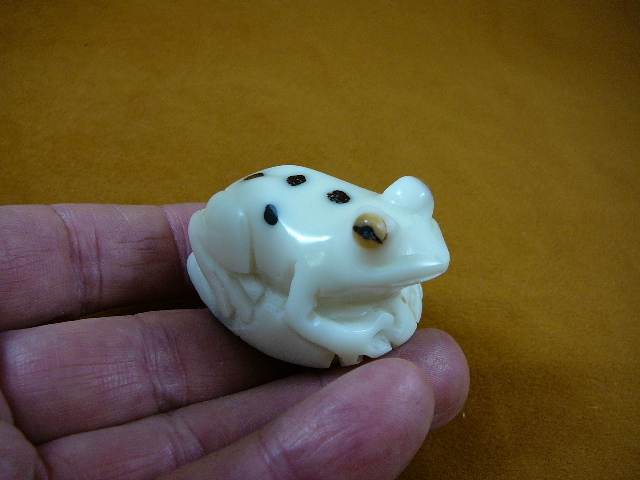 Spotted frog on tagua nut base is 1-7/8" long x 1-3/8" wide x 1-3/4" tall. 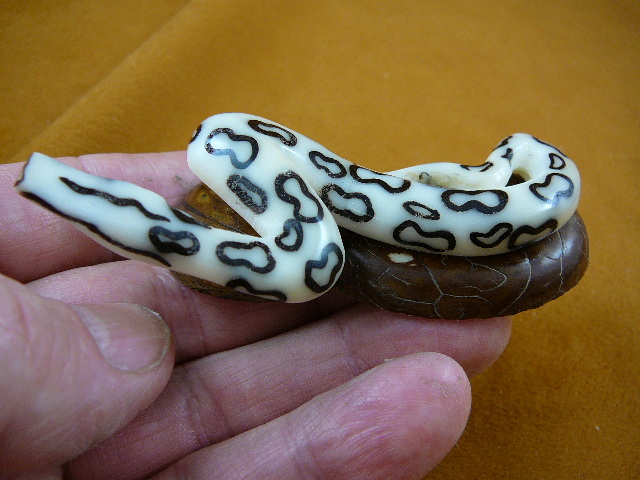 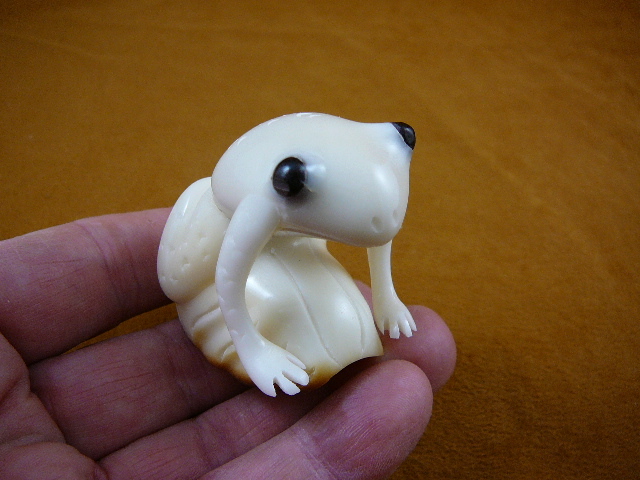 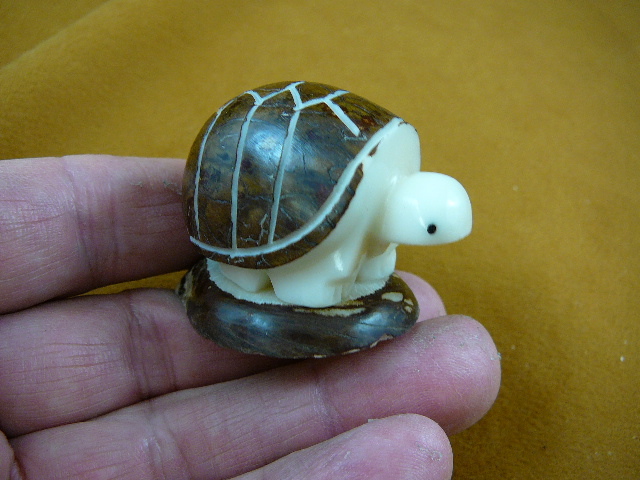 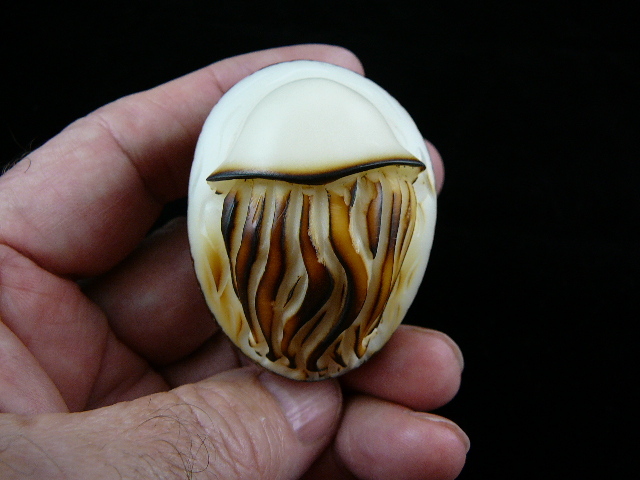 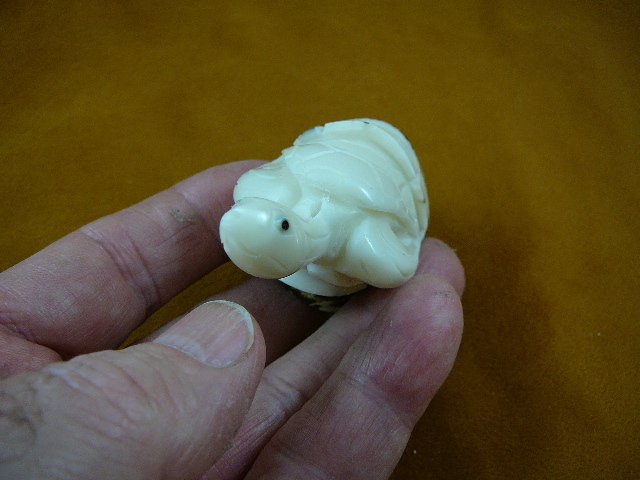 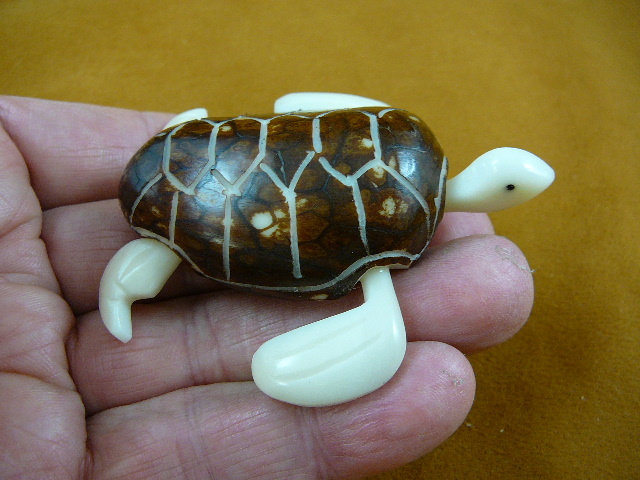 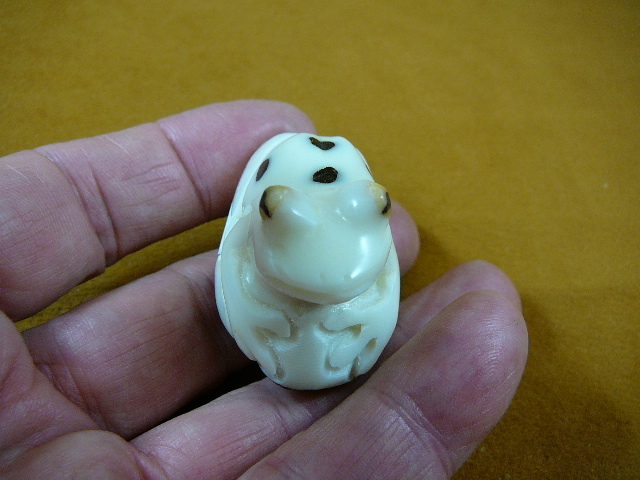 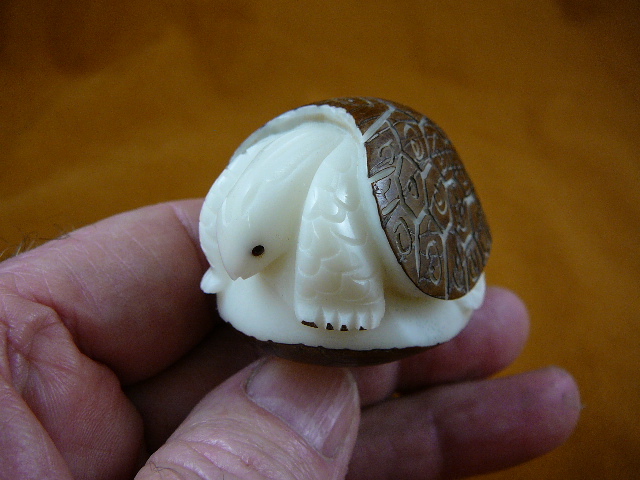 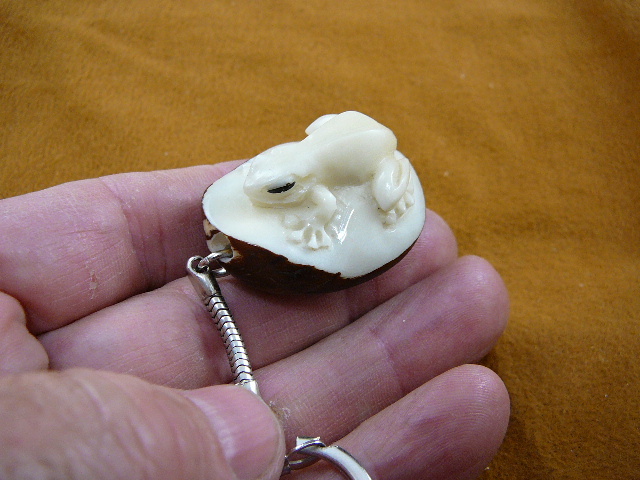 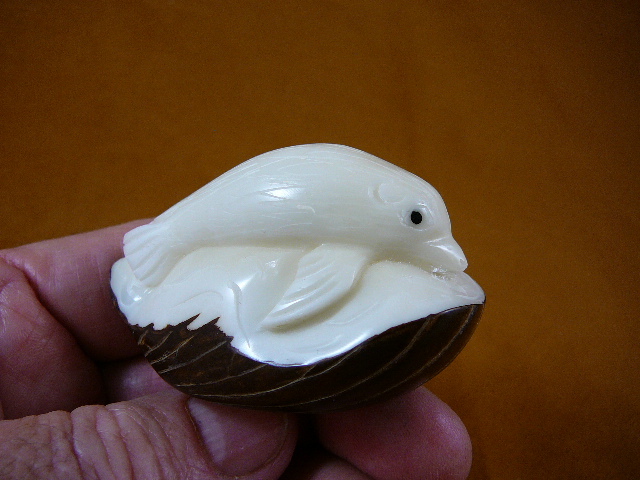 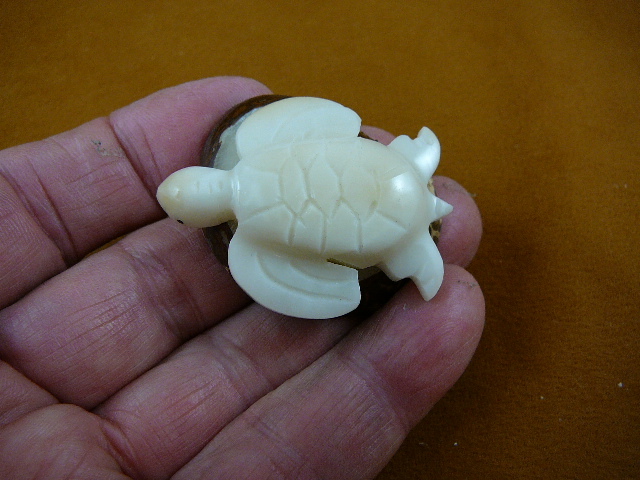 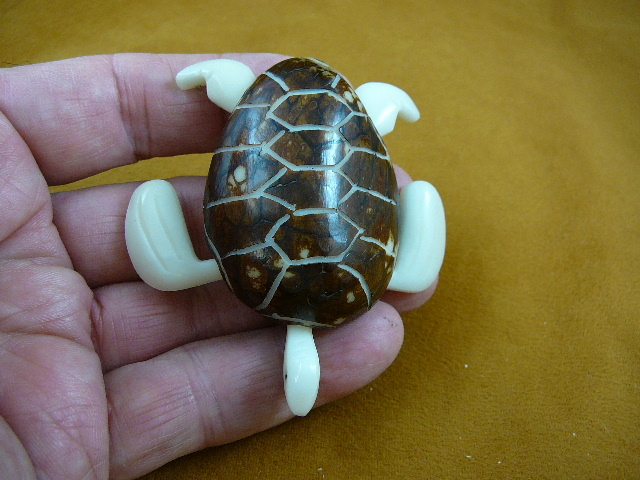 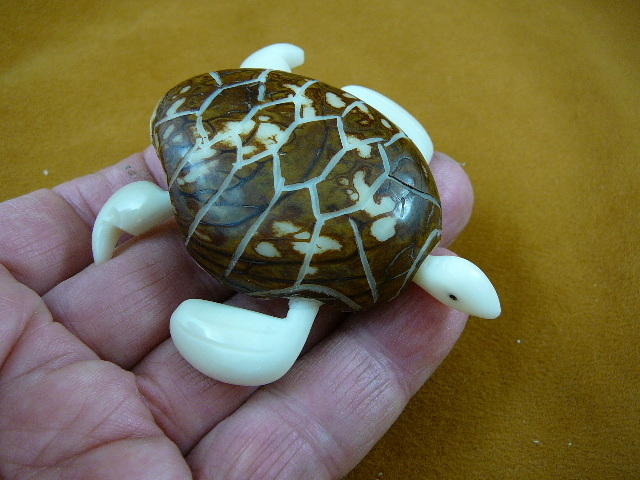 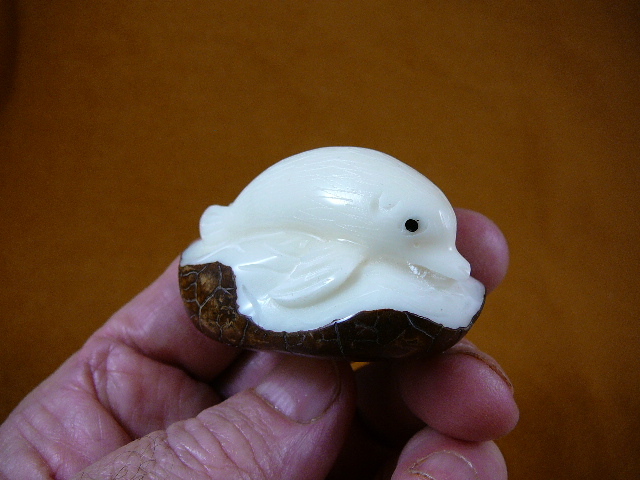 Spotted frog on tagua nut base is 1-7/8" long x 1-1/2" wide x 1-3/4" tall. 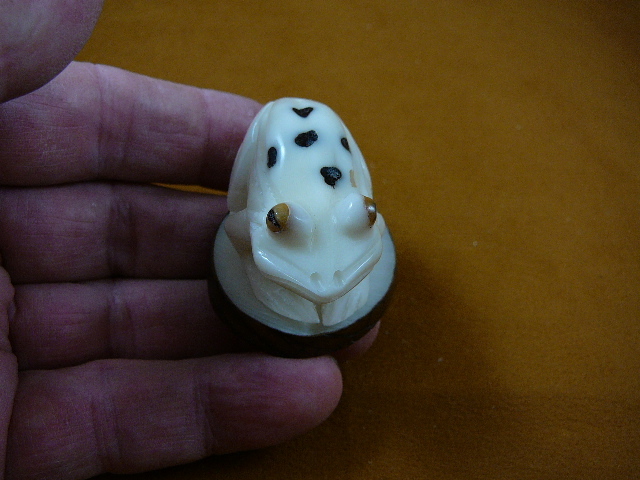 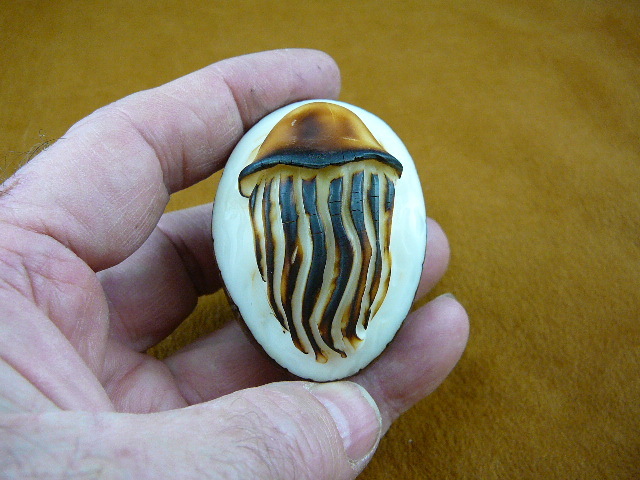 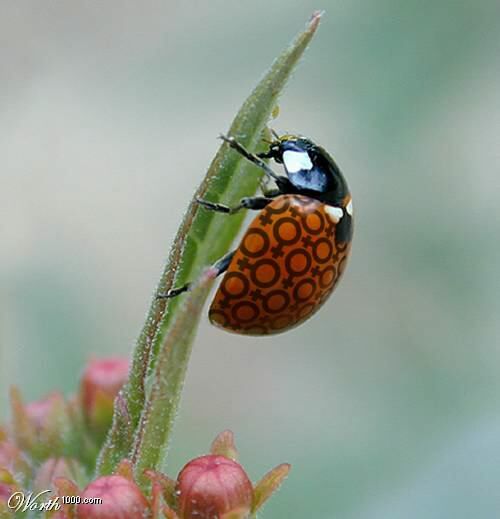 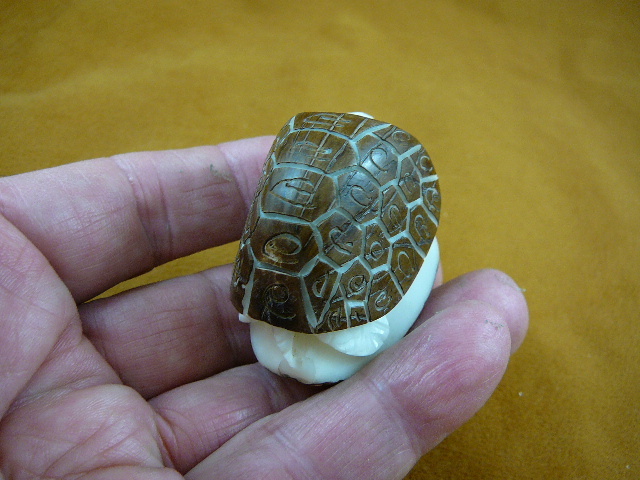 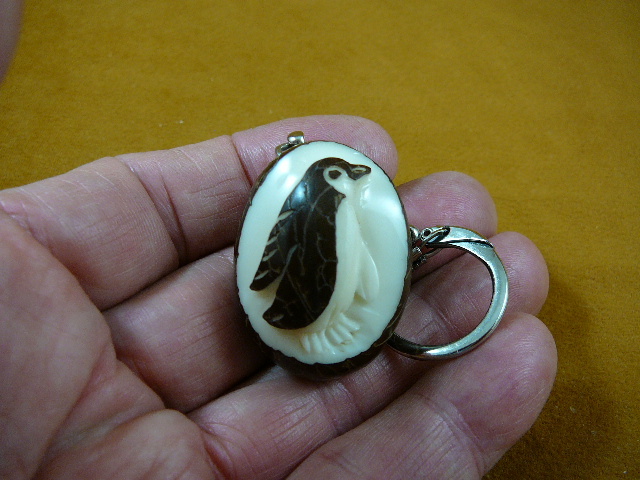 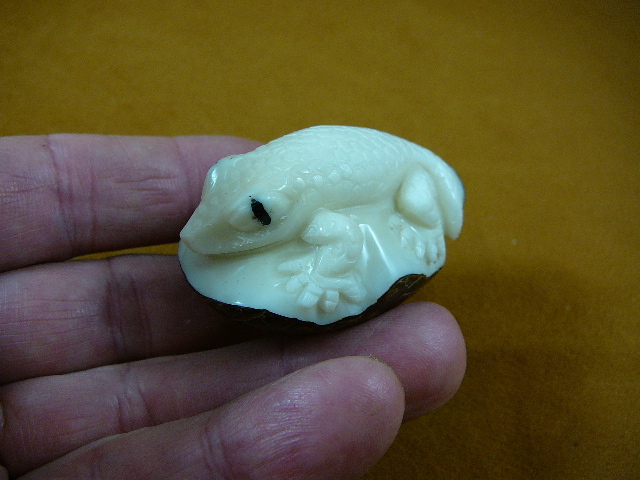 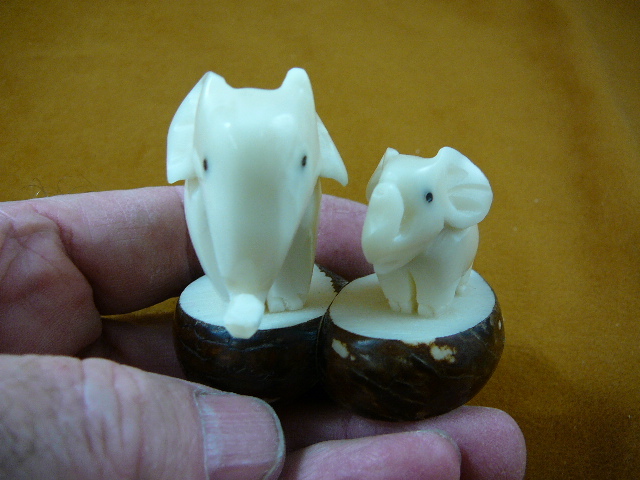 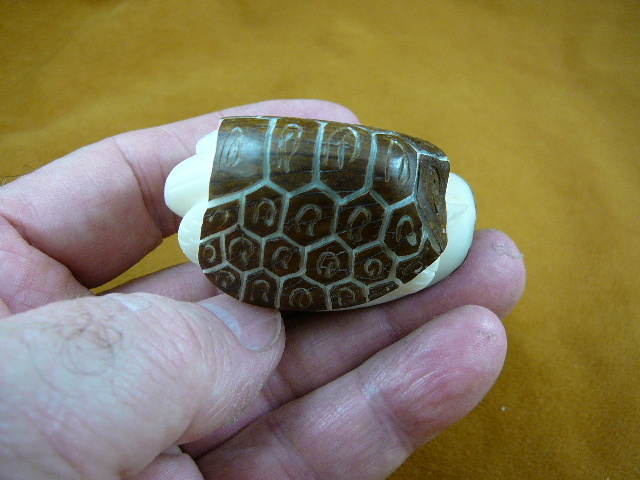 Spotted frog on tagua nut base is 1-3/4" long x 1-3/8" wide x 1-3/8" tall. 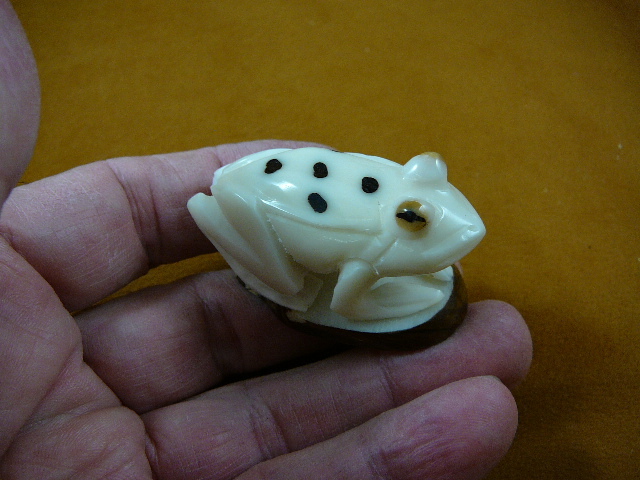 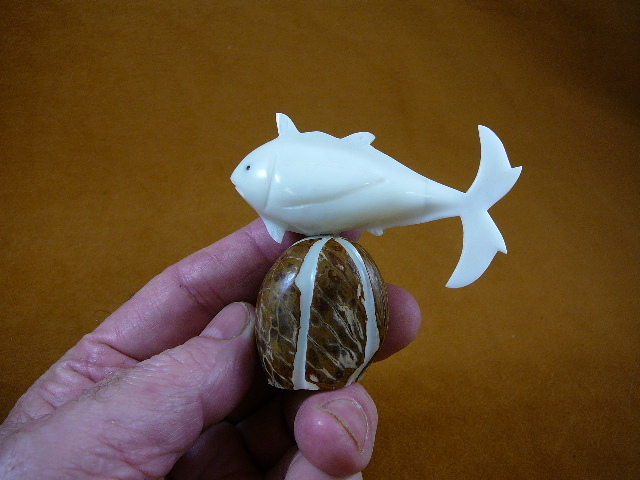 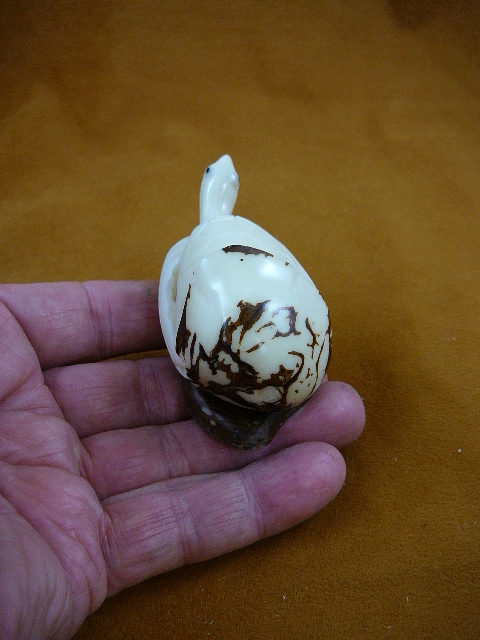 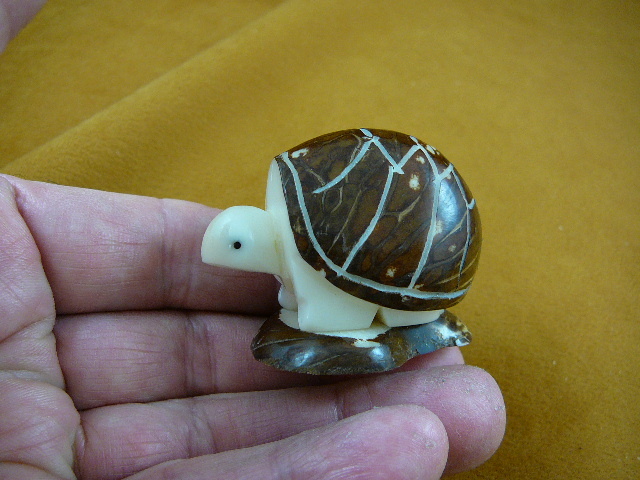 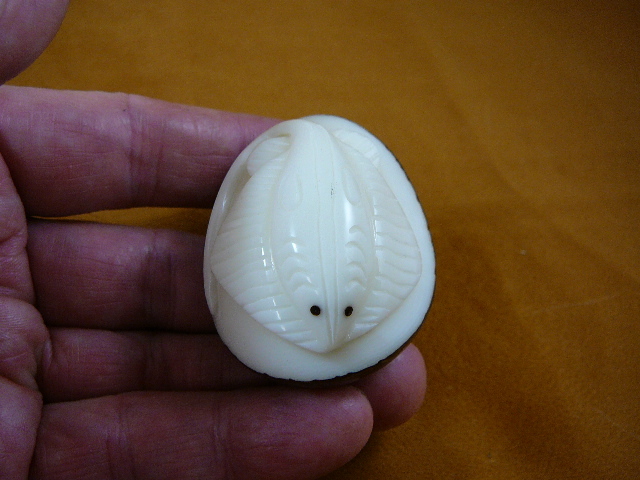 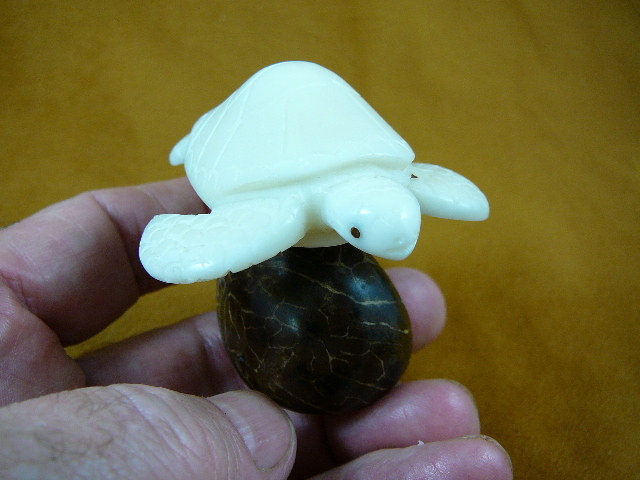 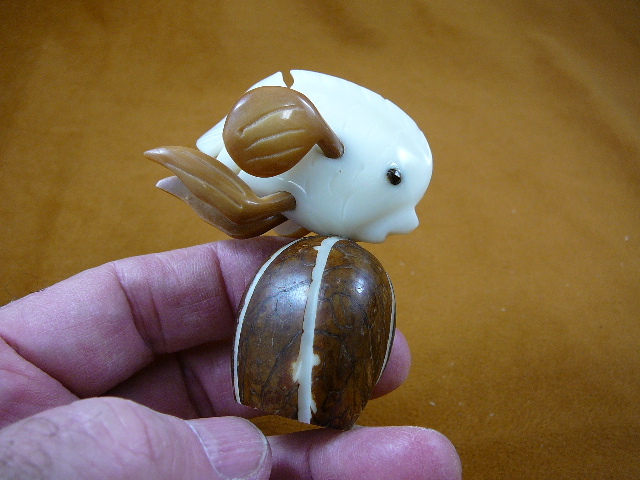 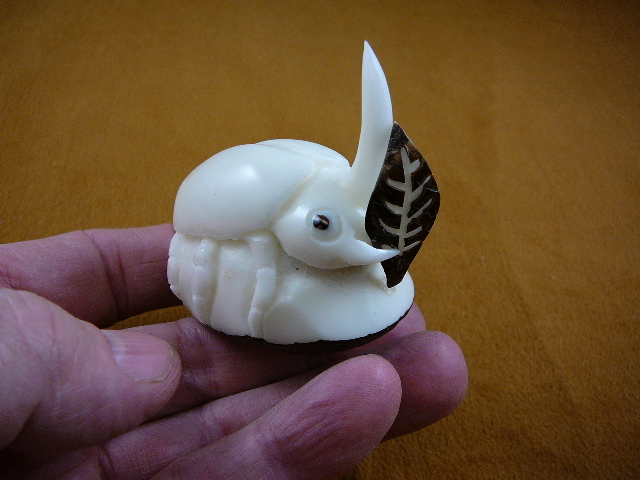 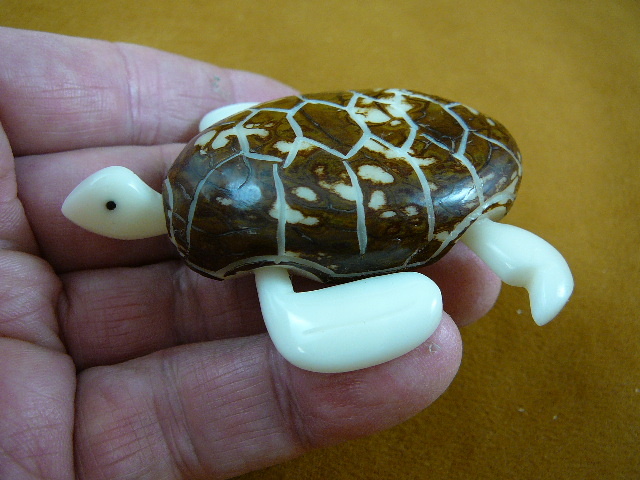 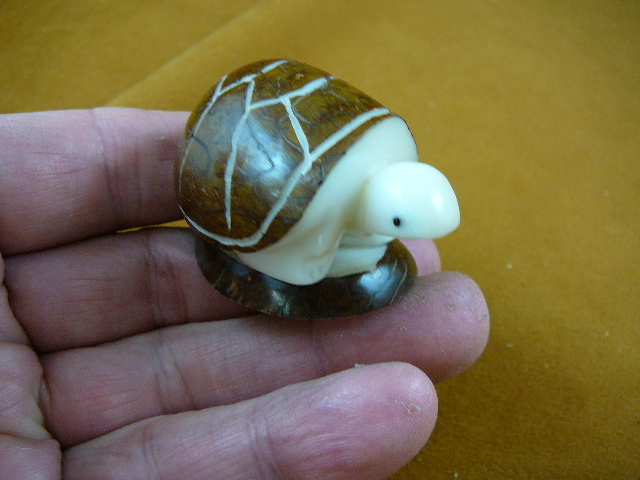 Spotted frog on tagua nut base is 1-5/8" long x 1-1/2" wide x 2-7/8" tall. 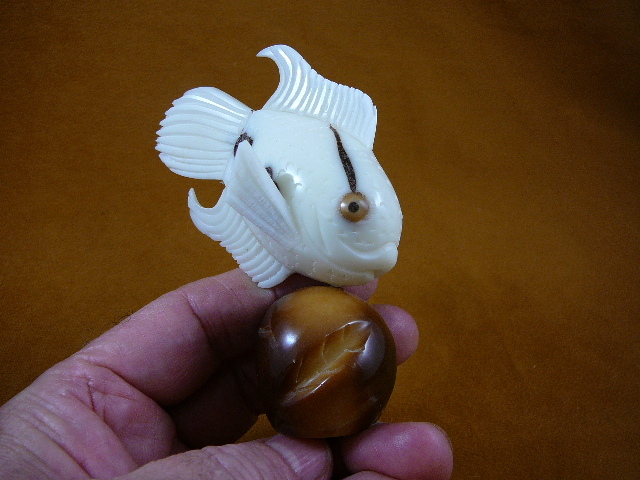 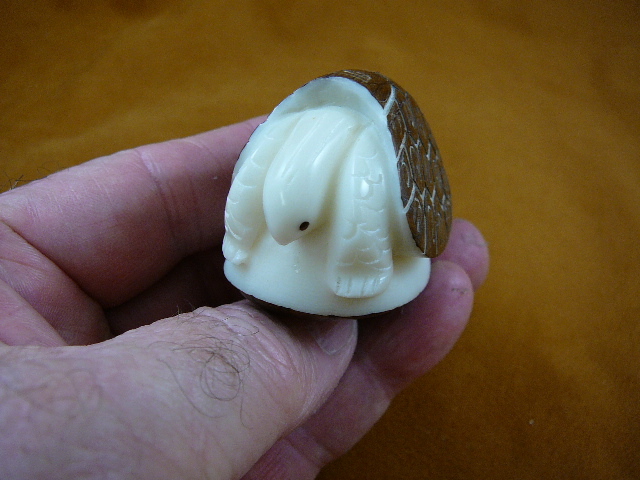 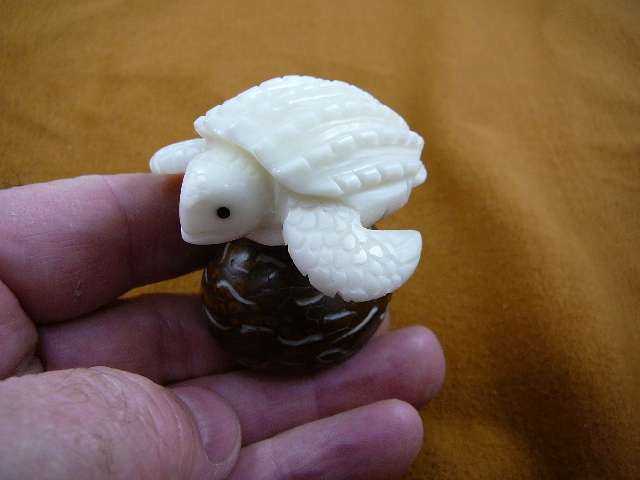 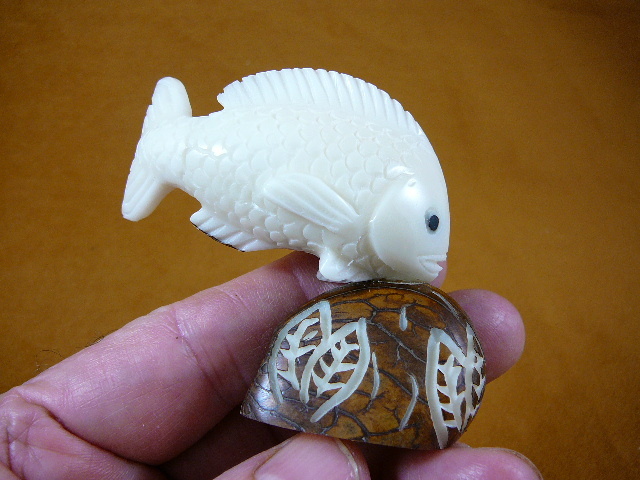 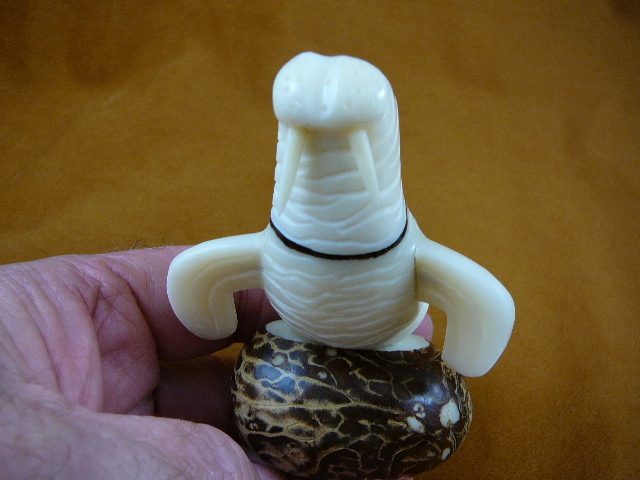 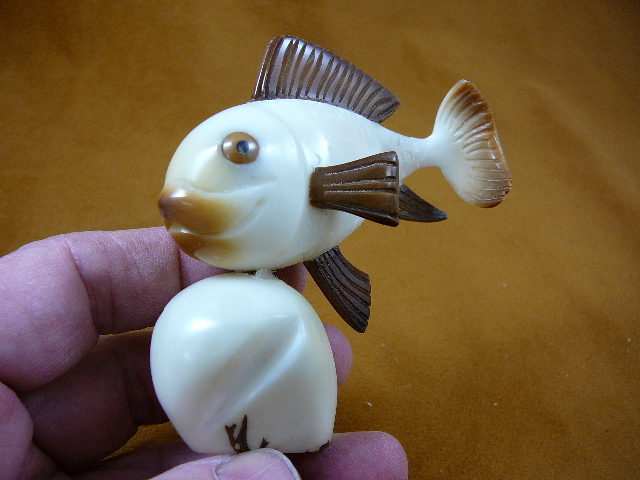 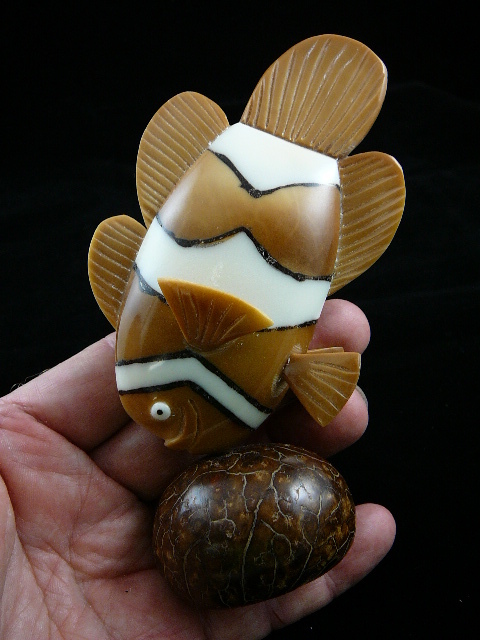 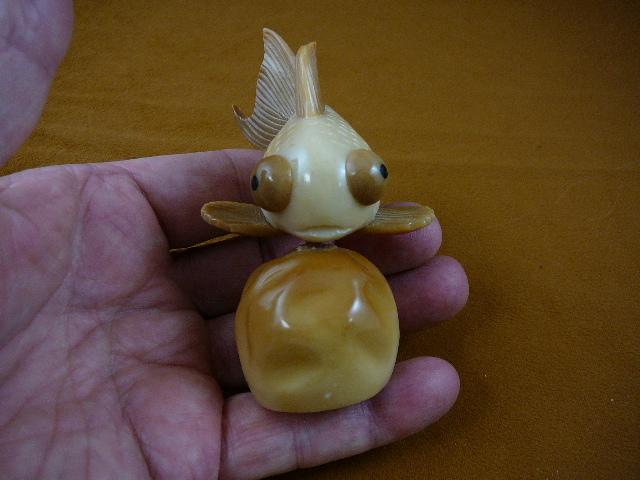 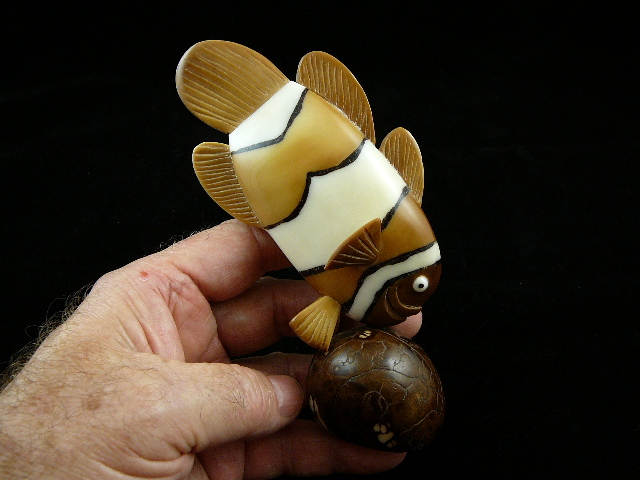 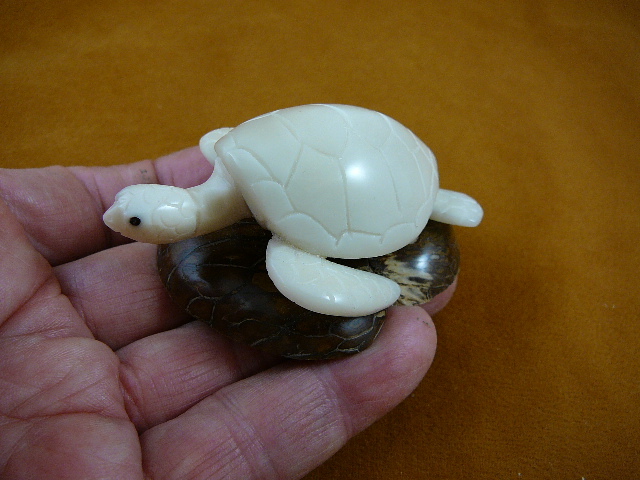 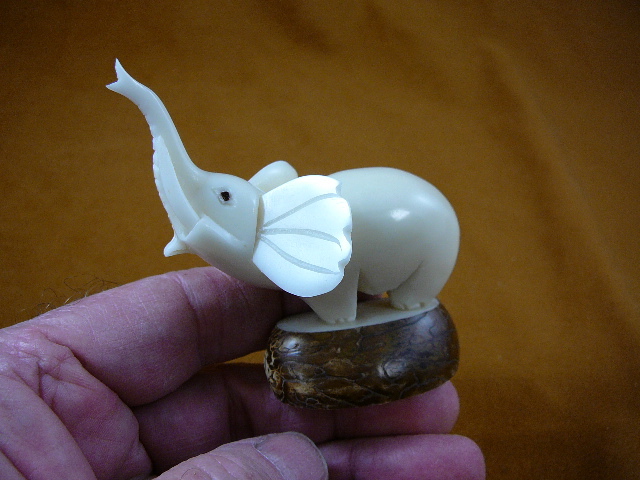 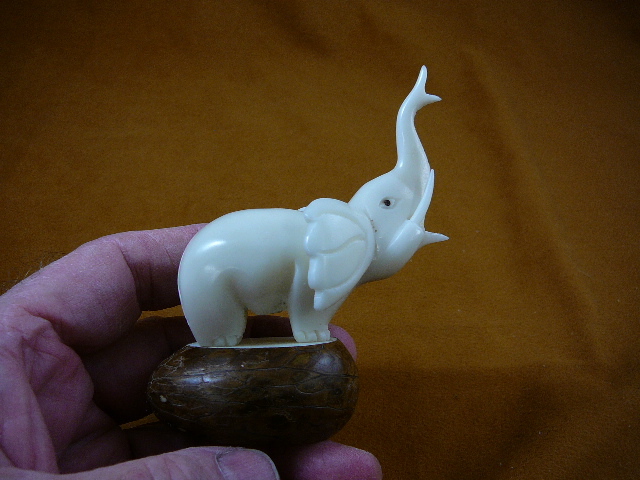 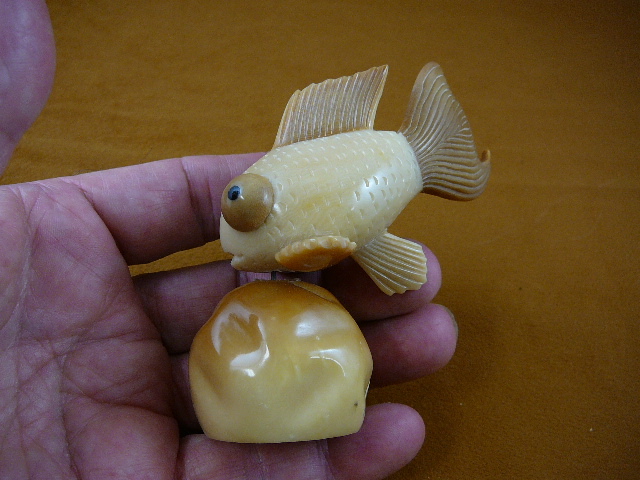 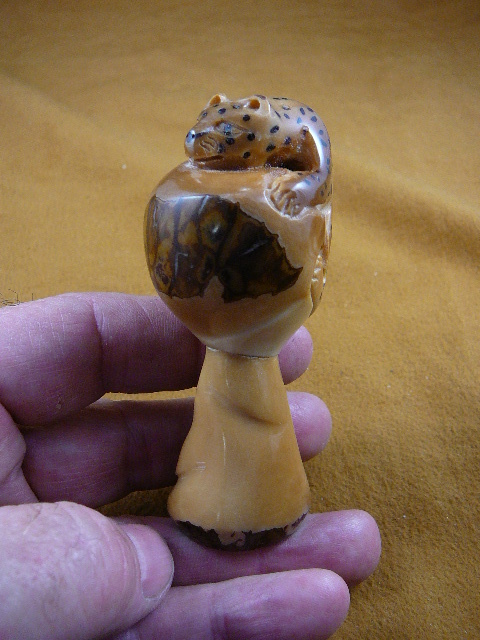 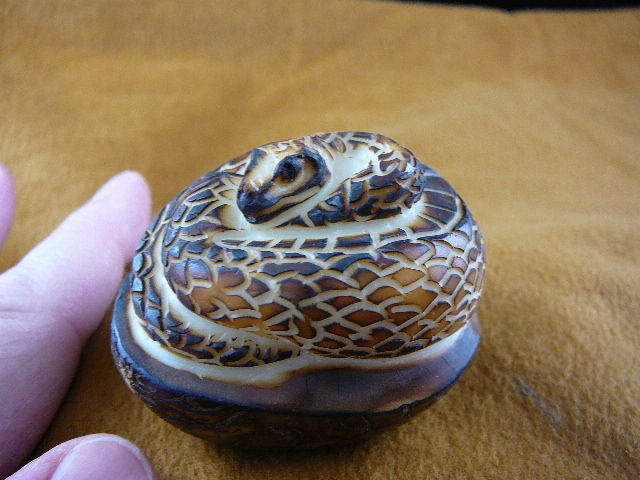 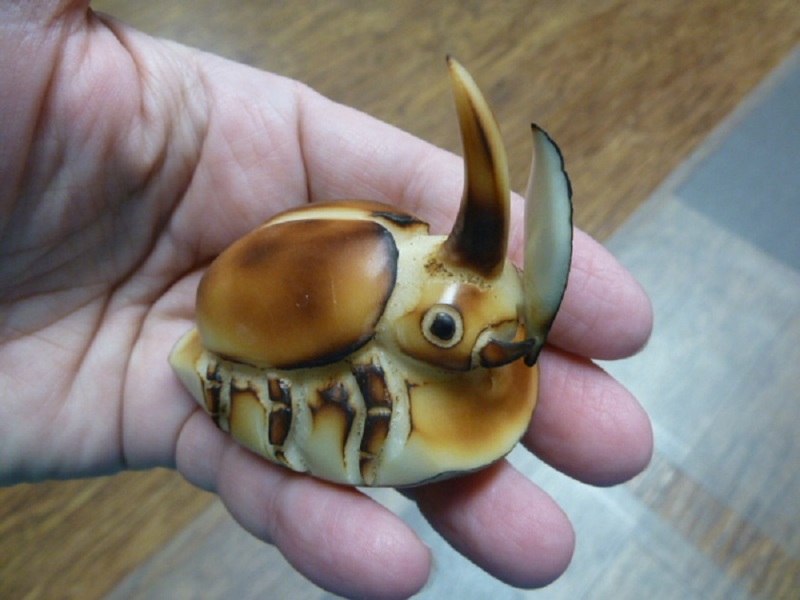 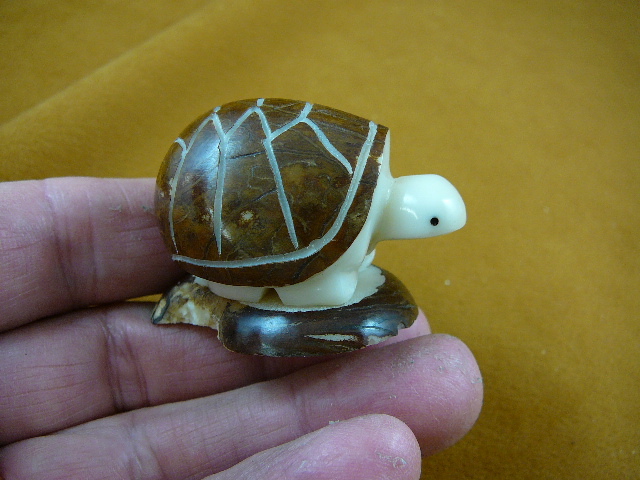 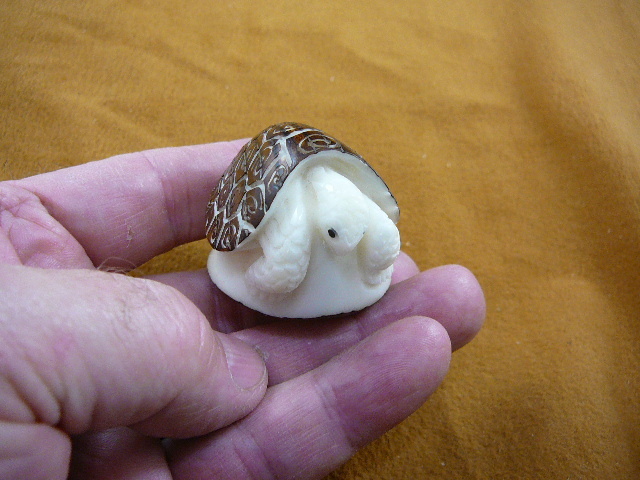 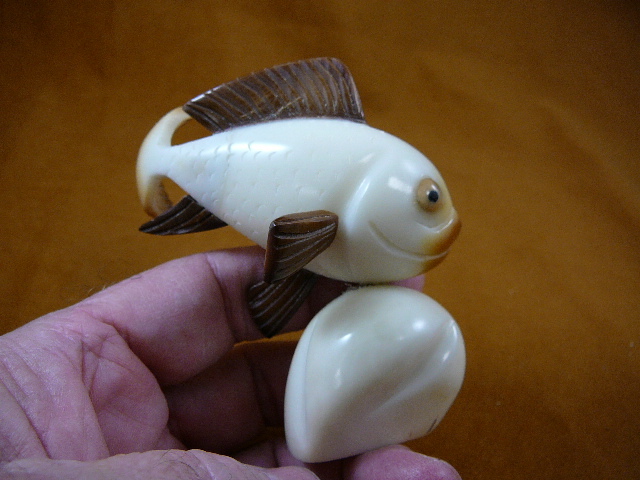 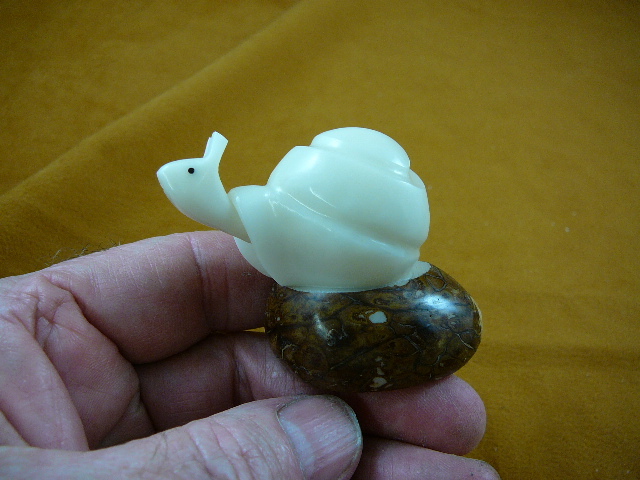 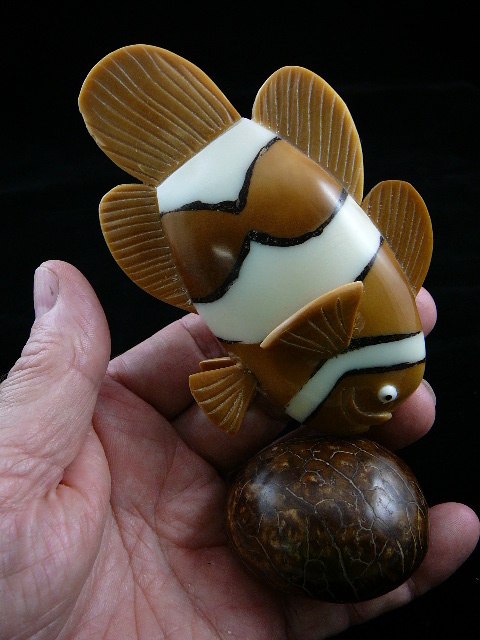 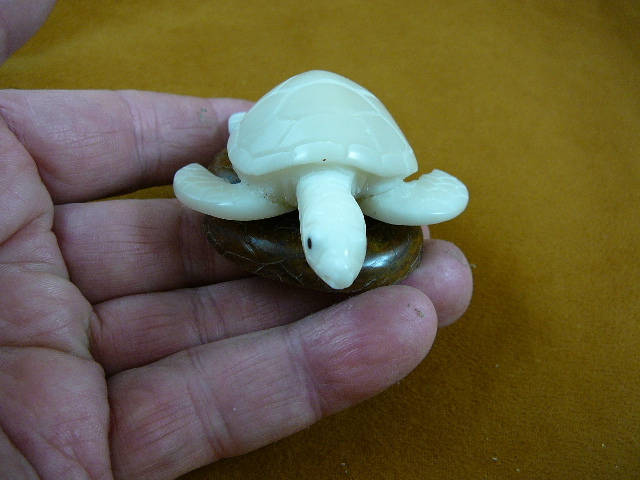 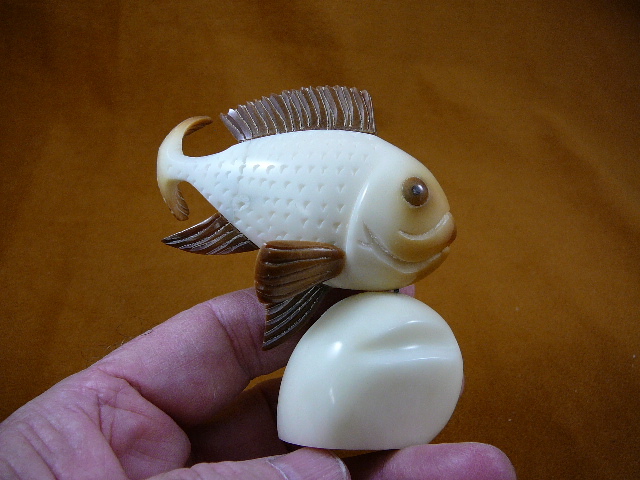 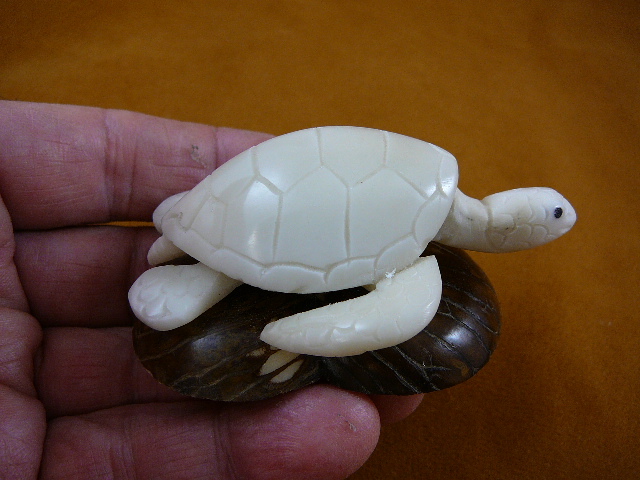 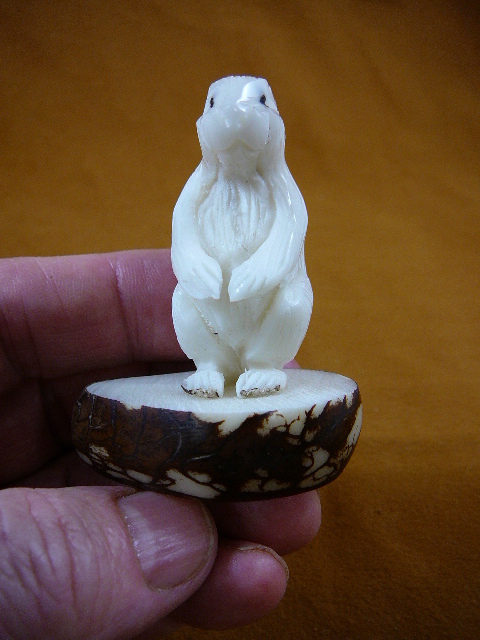 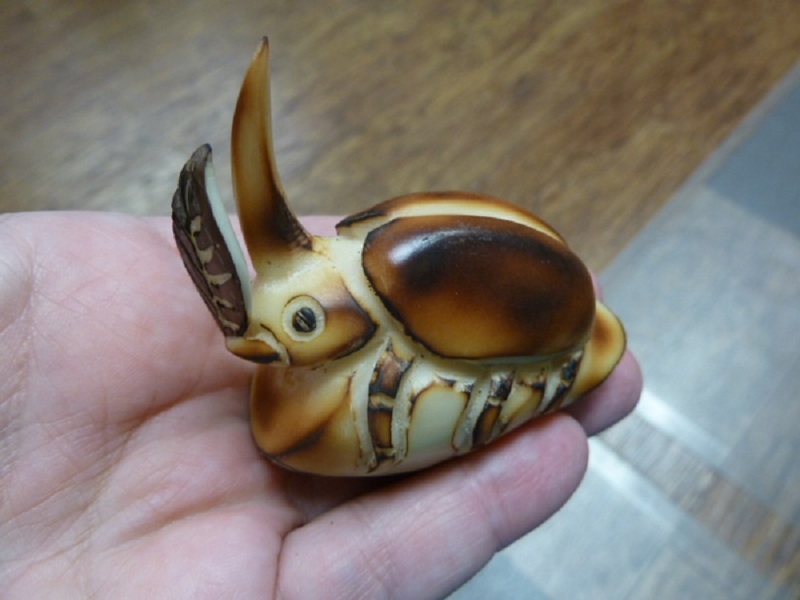 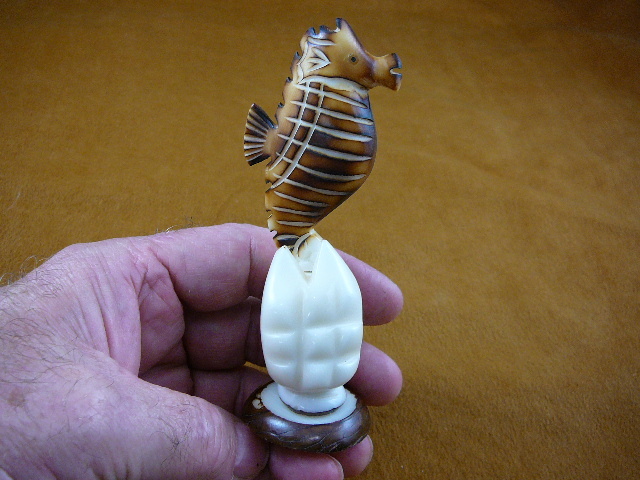 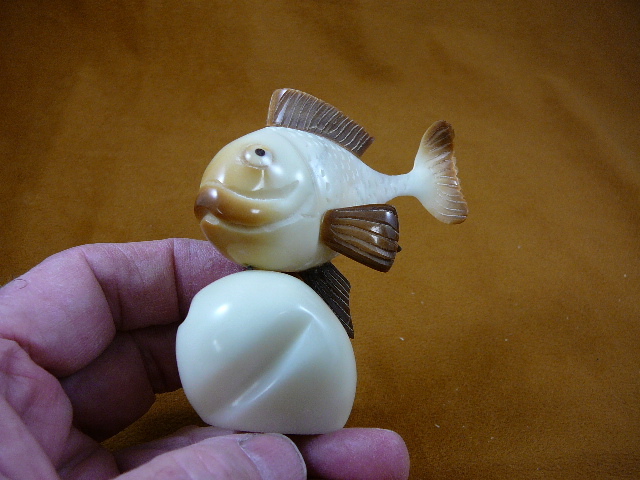 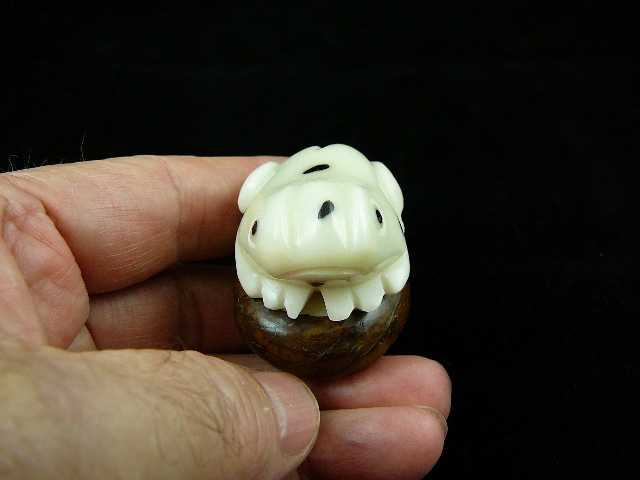 Spotted frog on tagua nut base is 1-11/16" long x 1-9/16" wide x 3" tall. 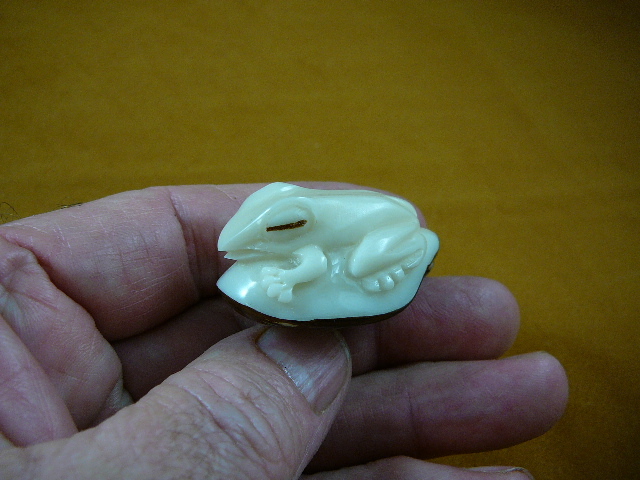 Spotted frog on tagua nut slice, 2-1/16" long x 1-3/4" wide x 1-3/8" tall. 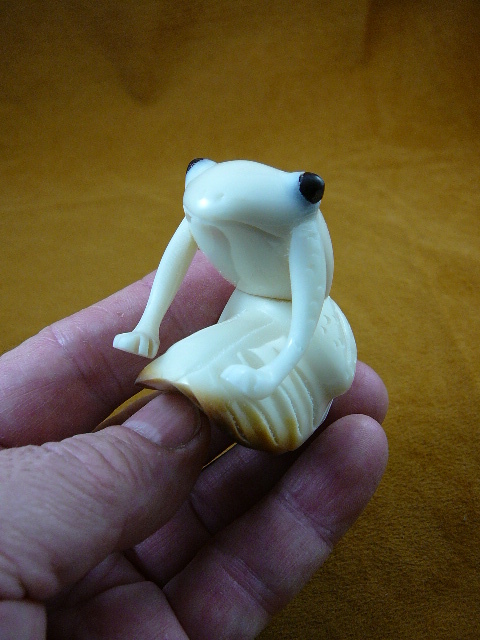 Frog meta- metamorphosis, frog life cycle (tadpole to frog) is 2-1/8" long x 1-11/16" wide x 1-7/16" tall. 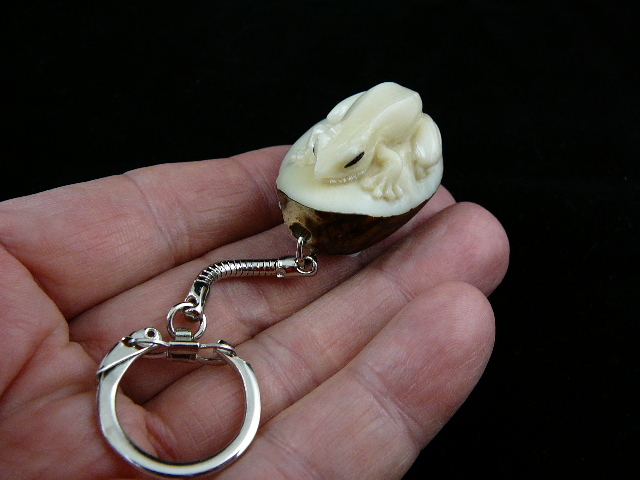 Frog keychain is 1-3/4" long x 1-3/16" wide x 3/4" tall. 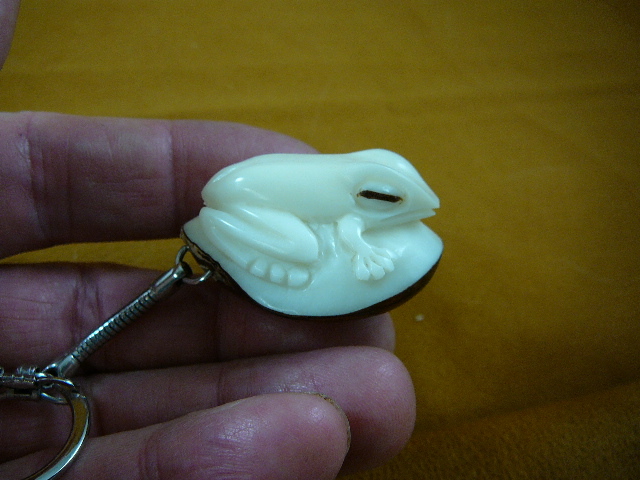 Frog keychain is 1-5/8" long x 1-3/16" wide x 15/16" tall. 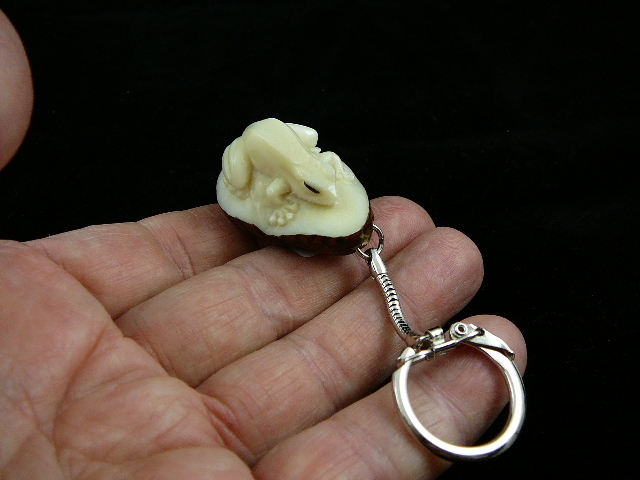 Frog keychain is 1-5/8" long x 1-1/8" wide x 7/8" tall. 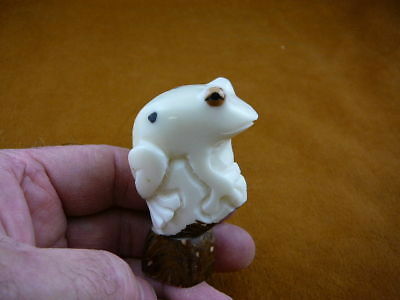 Tree frog is 2" long x 1-5/16" wide x 1-15/16" tall. 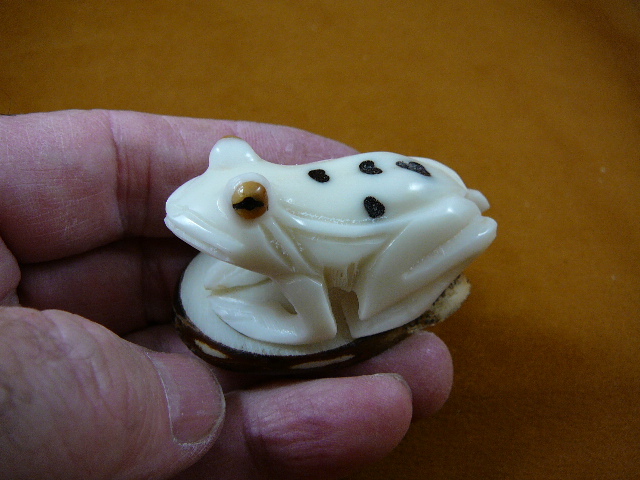 Spotted frog is 2" long x 1-3/8" wide x 1-1/4" tall. 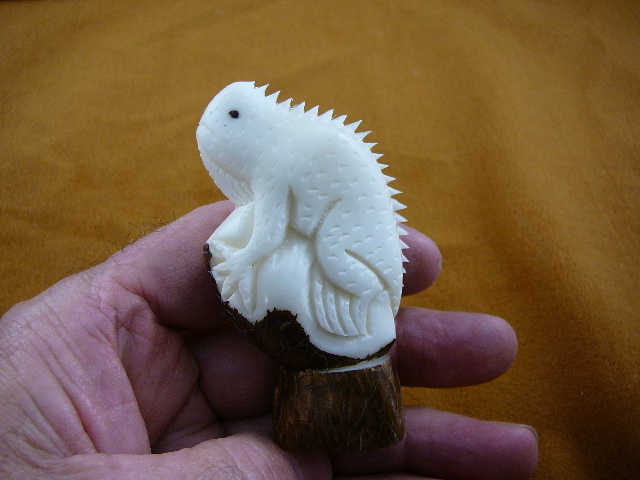 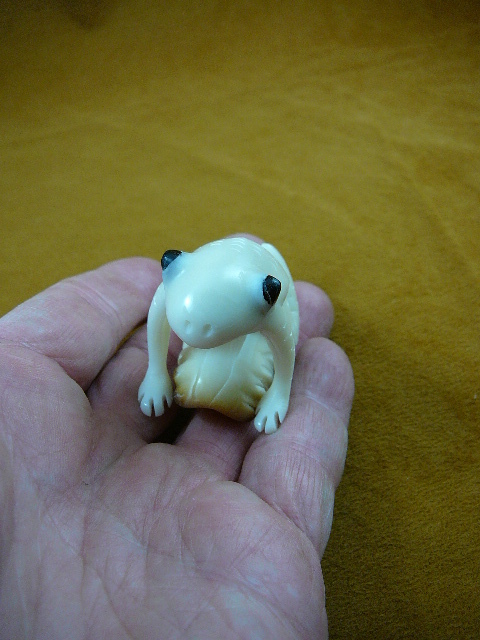 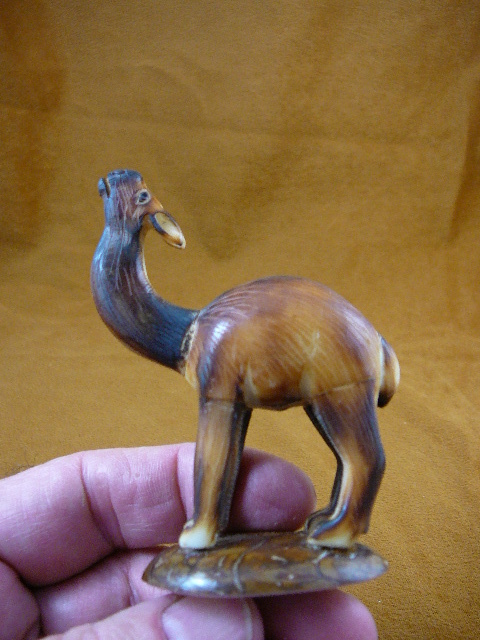 bullfrog is 2" long x 1-1/2" wide x 1-5/8" tall. 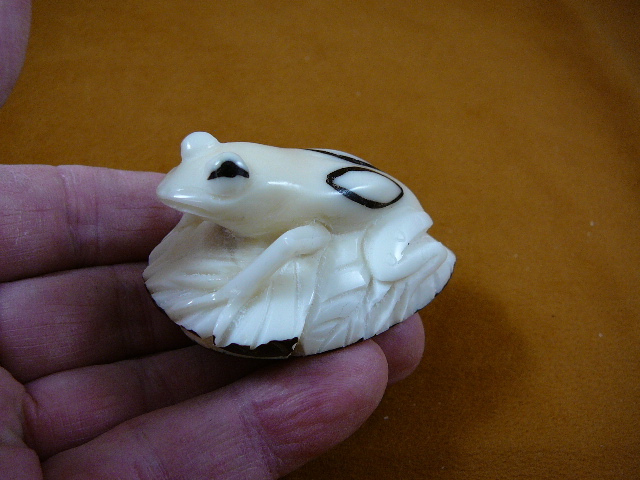 Red-eyed tree frog is 2-7/8" long x 2-3/8" wide x 1-1/2" tall. 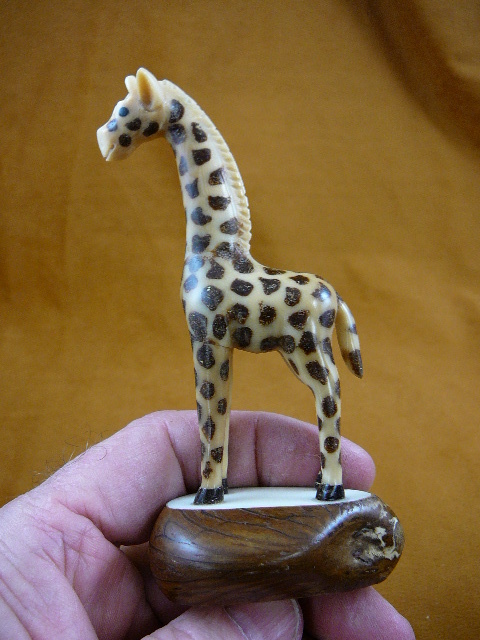 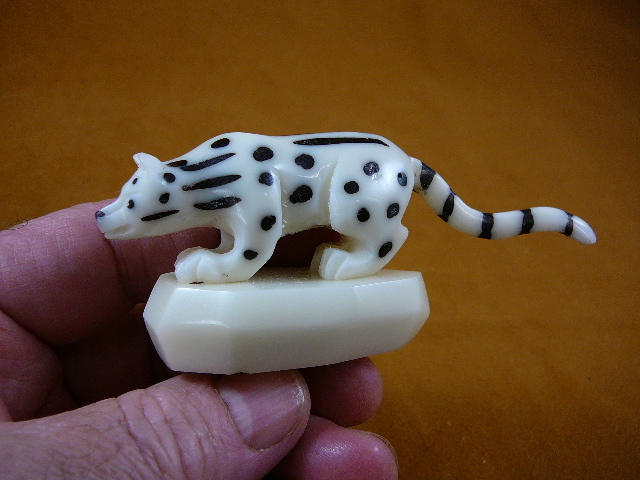 Detailed leopard is 3-3/4" long x 1" wide x 1-5/8" tall. 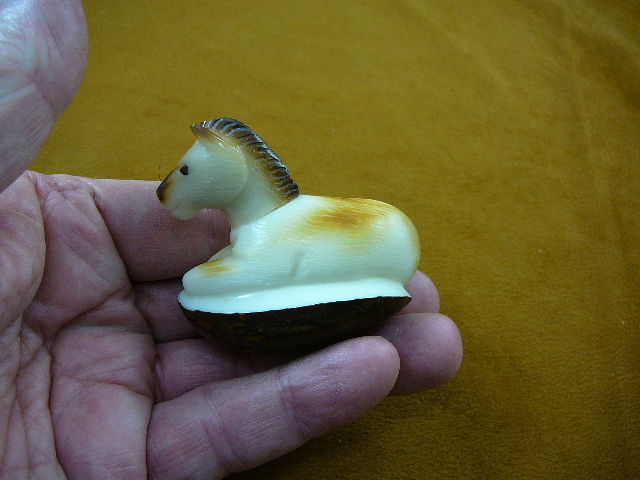 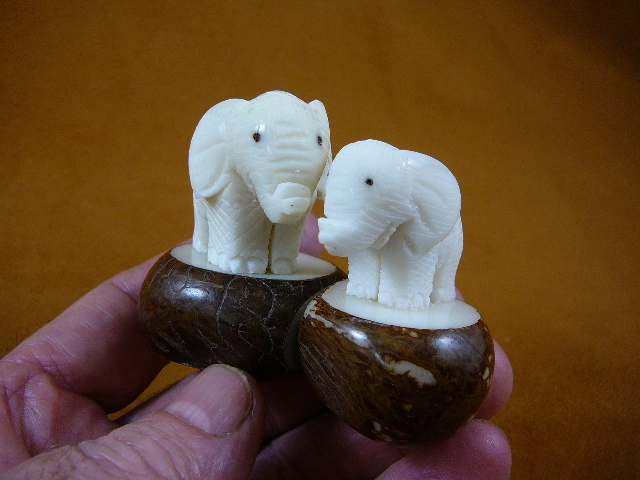 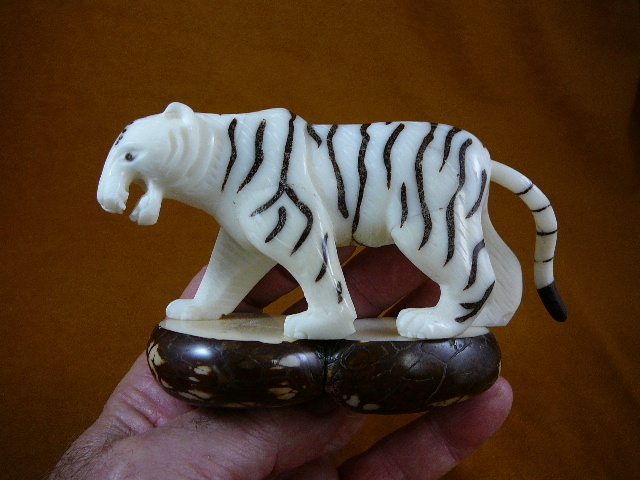 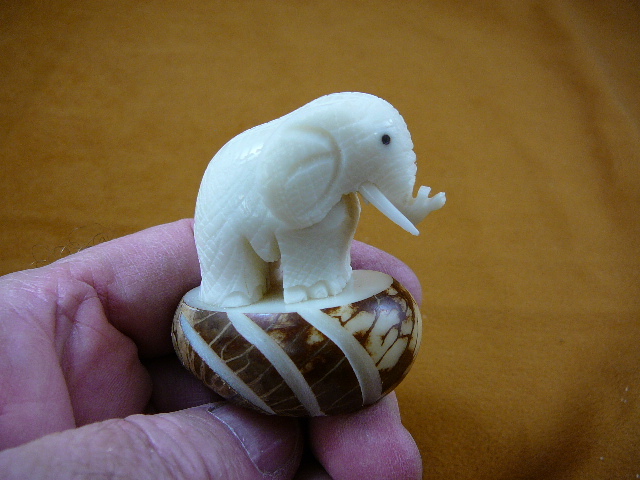 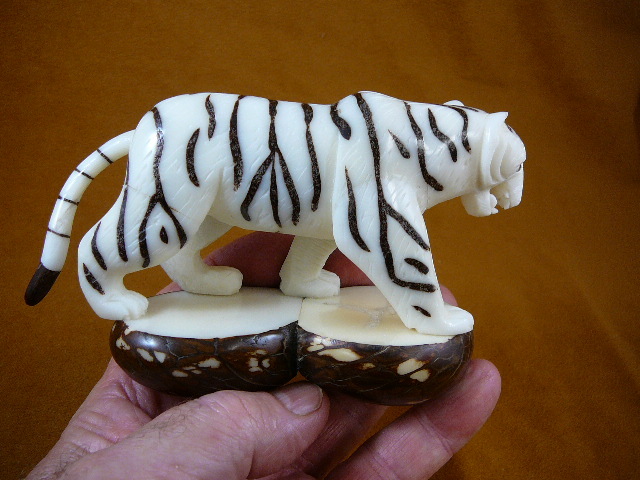 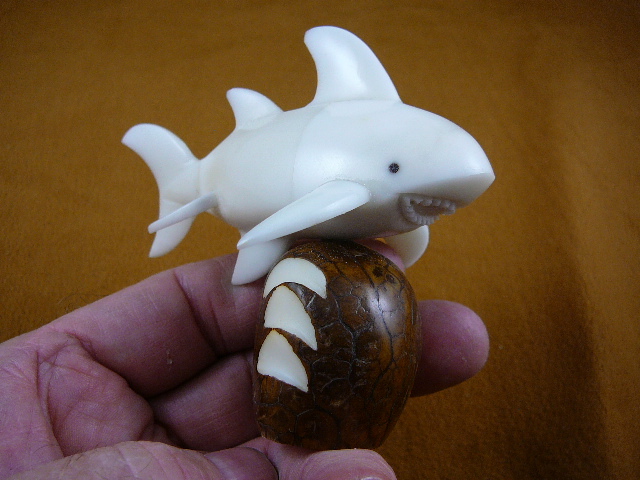 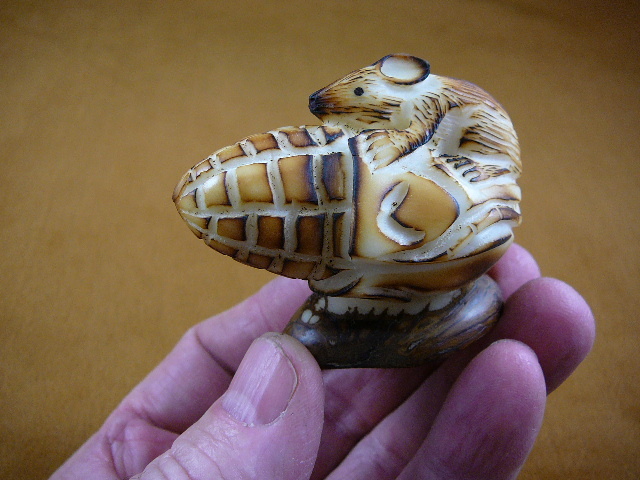 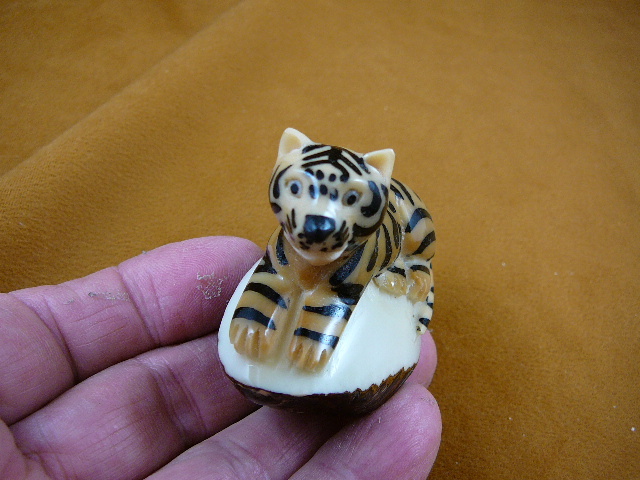 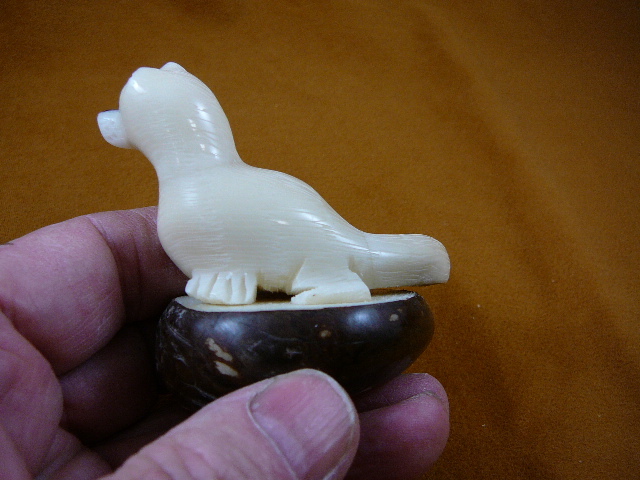 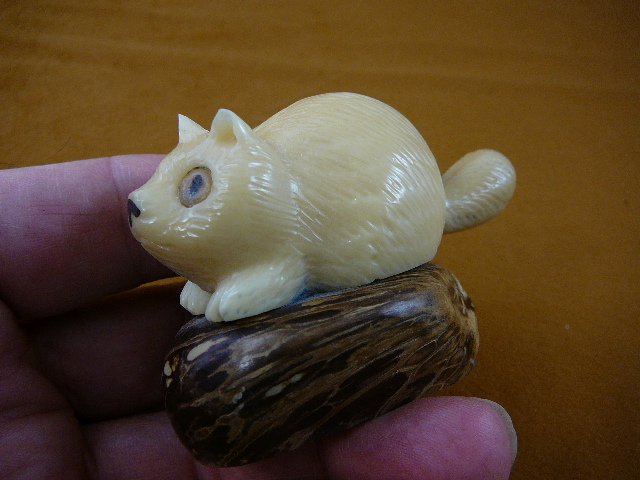 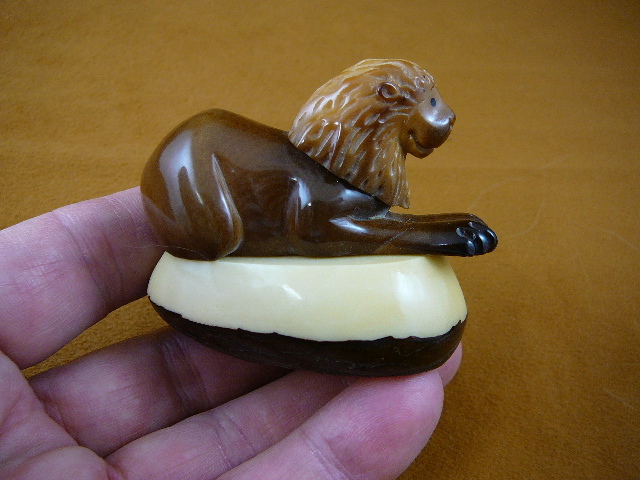 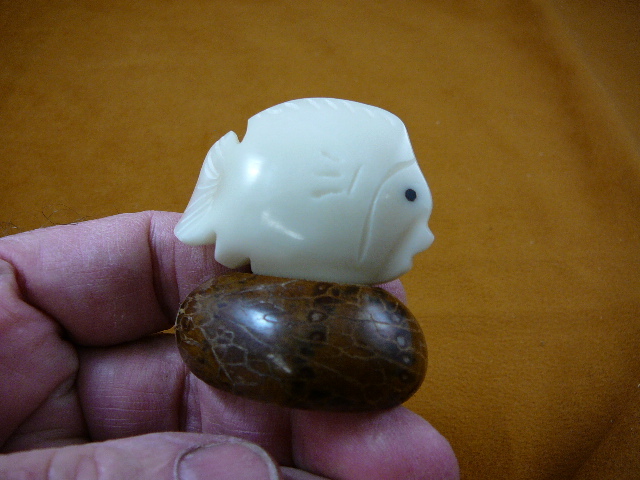 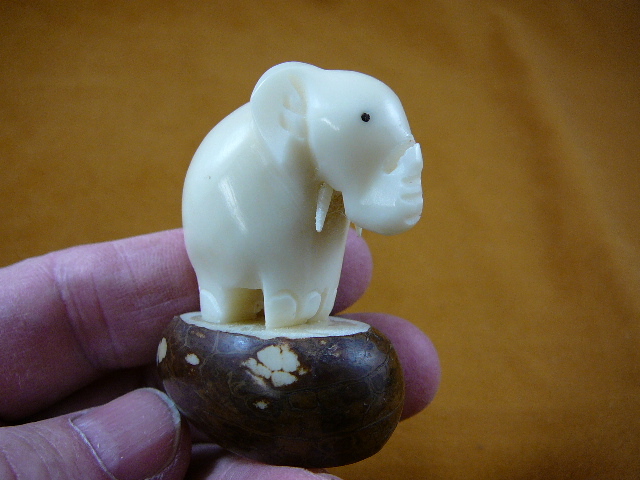 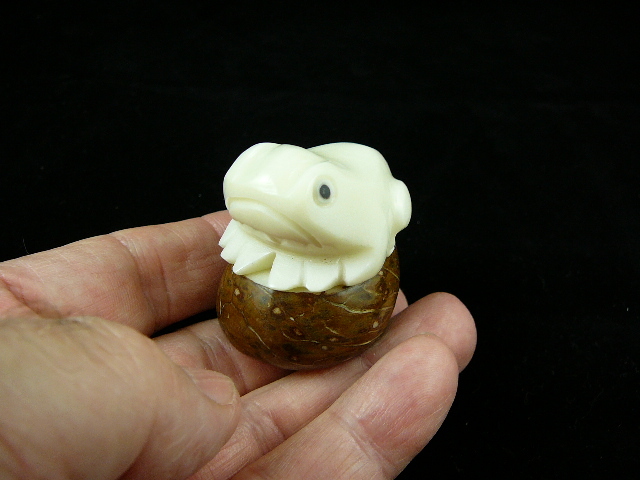 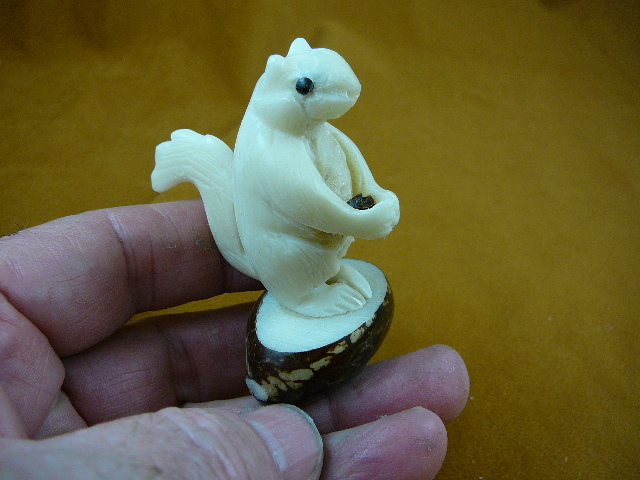 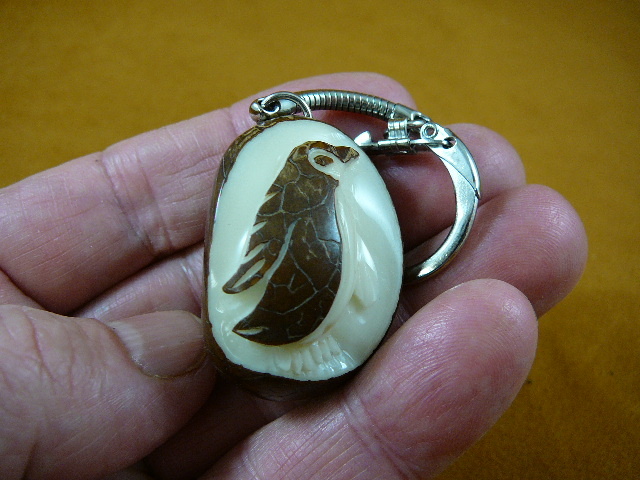 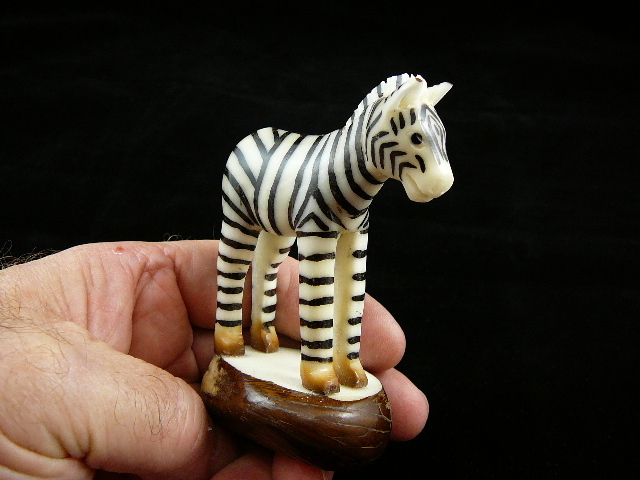 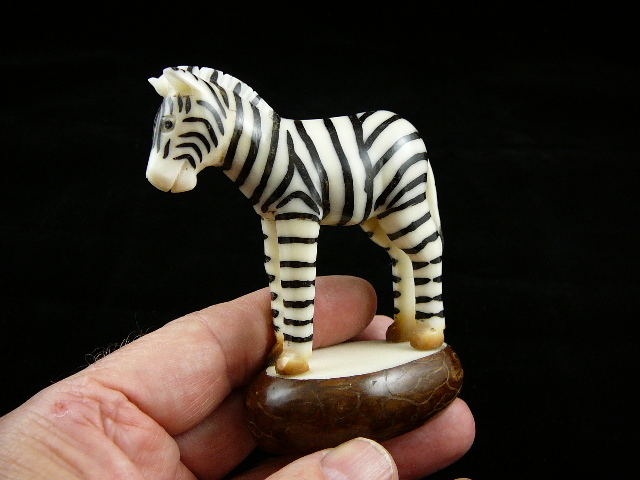 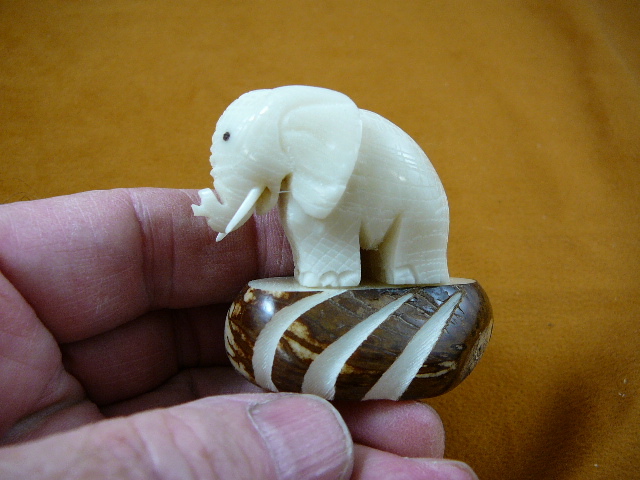 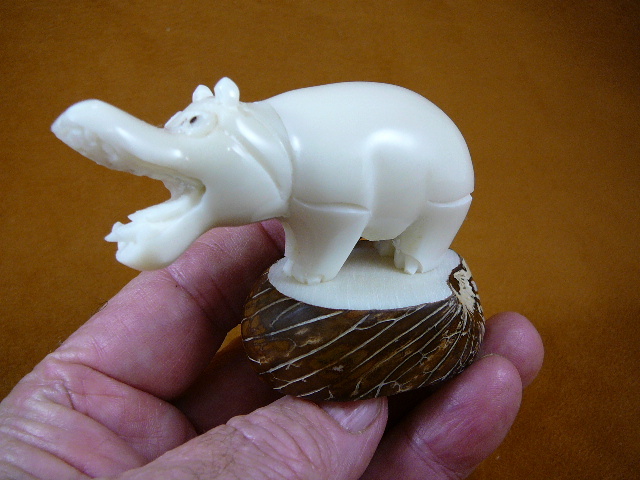 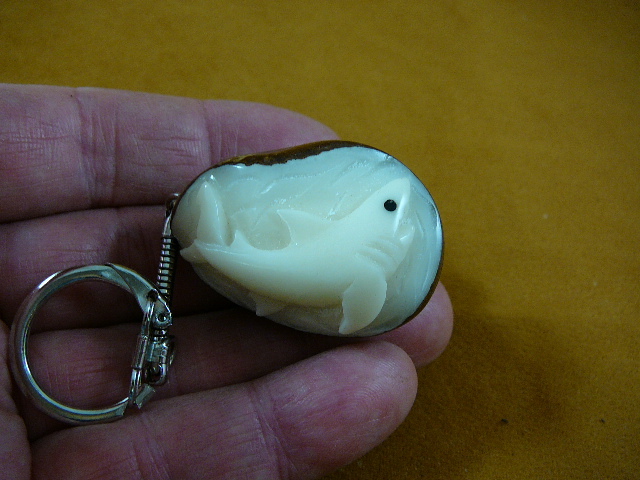 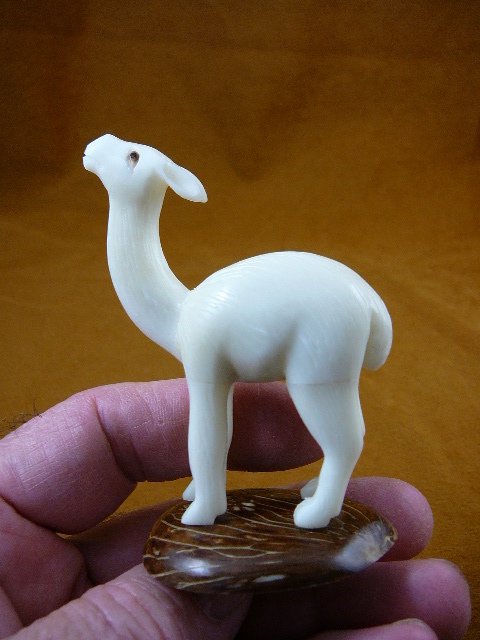 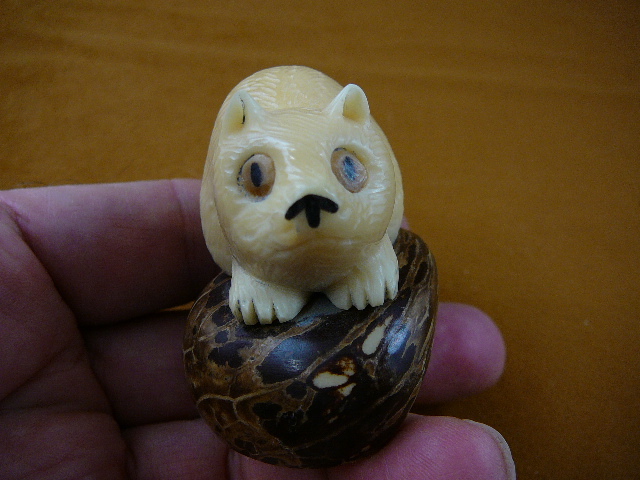 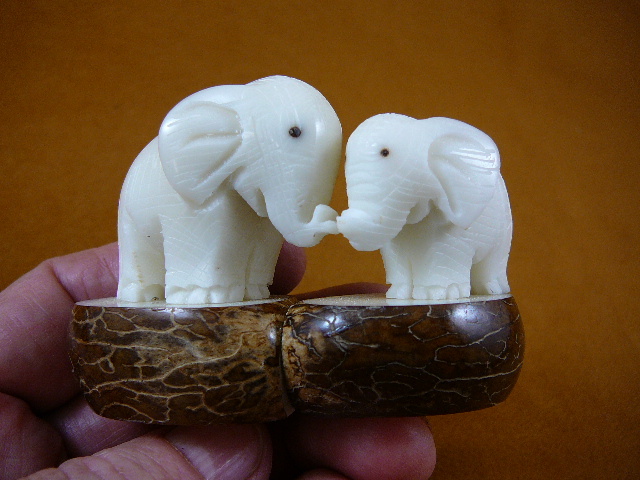 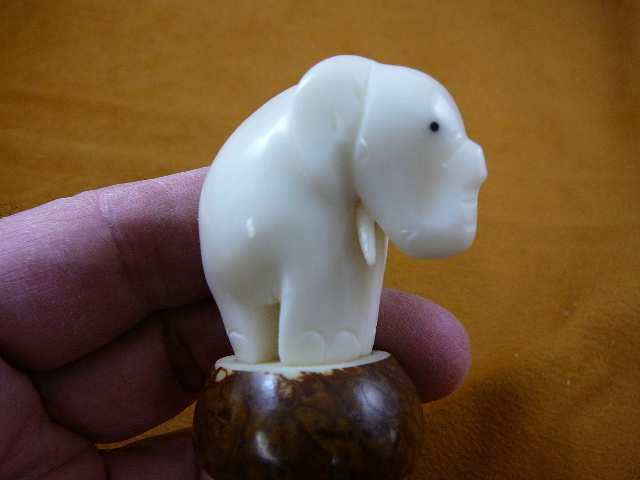 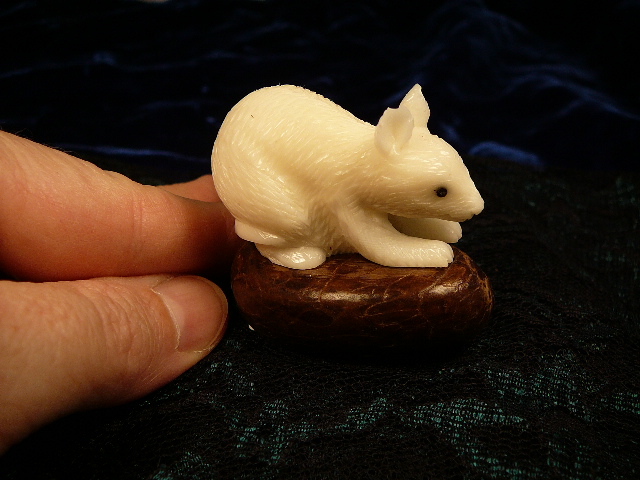 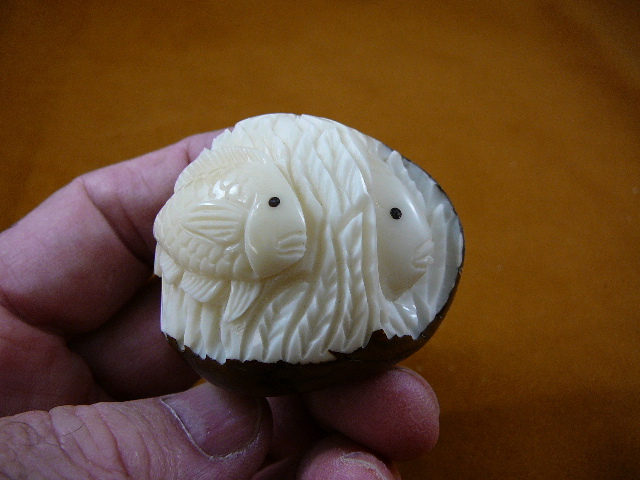 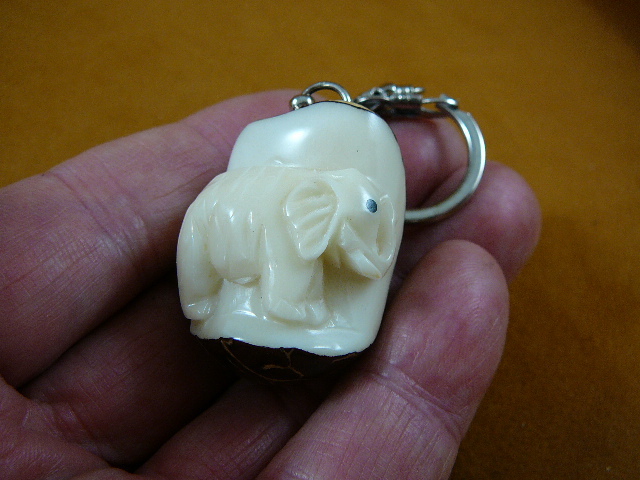 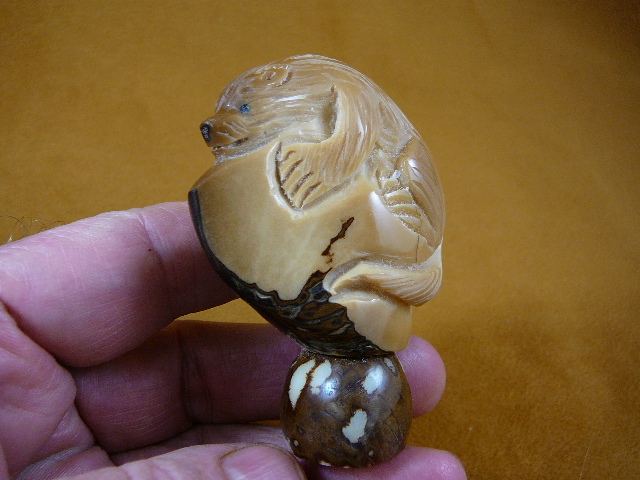 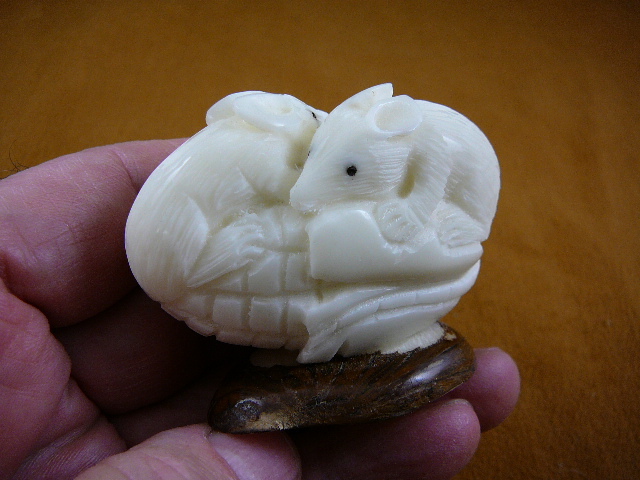 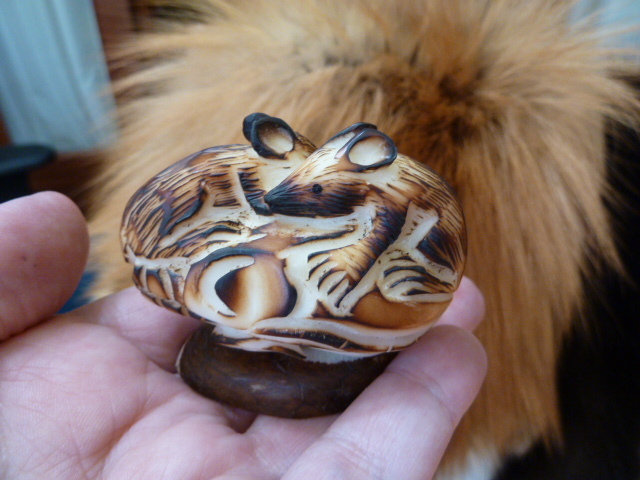 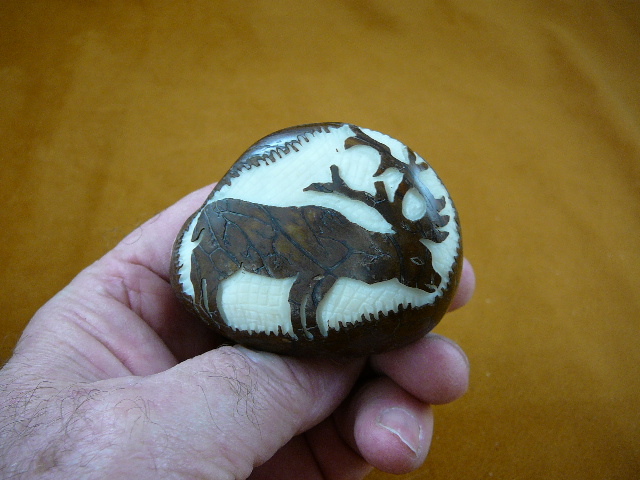 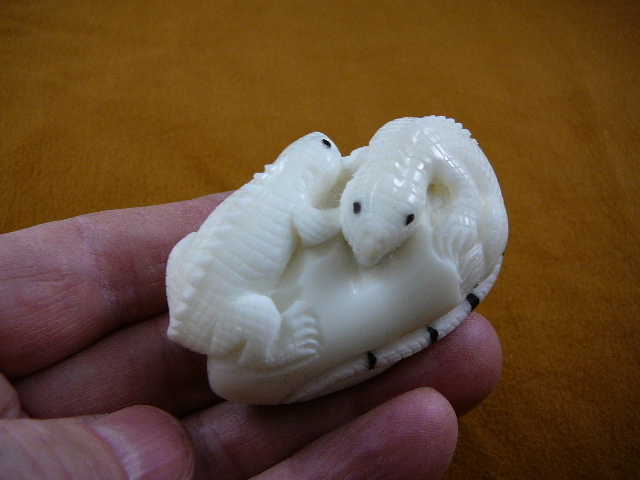 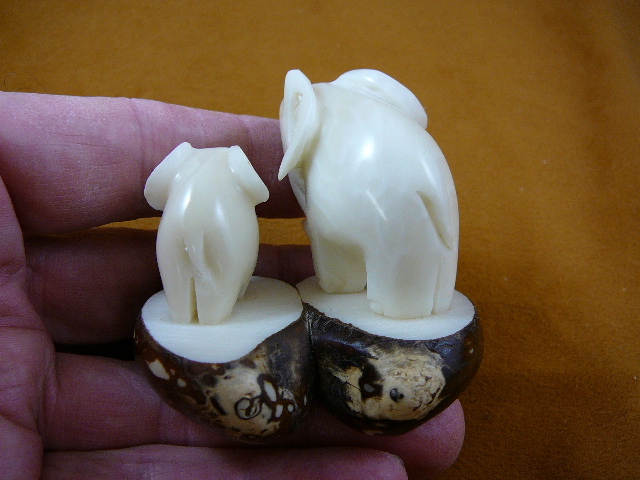 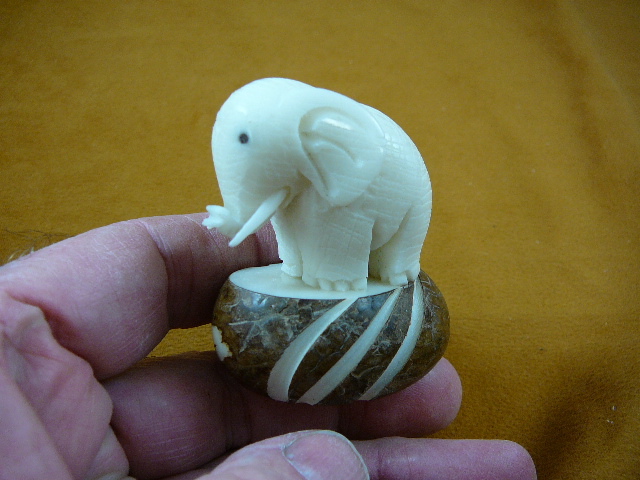 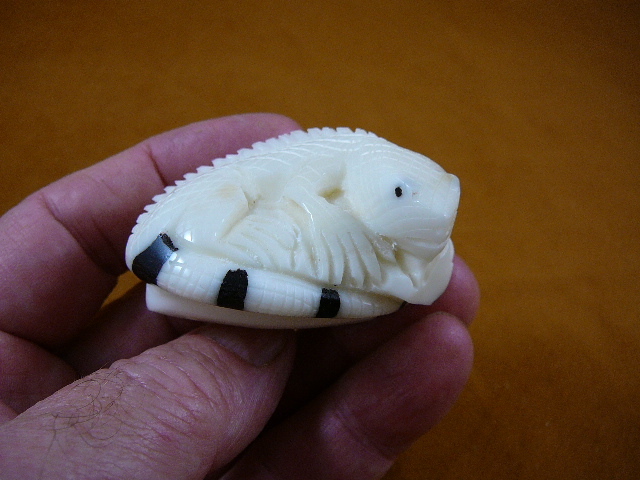 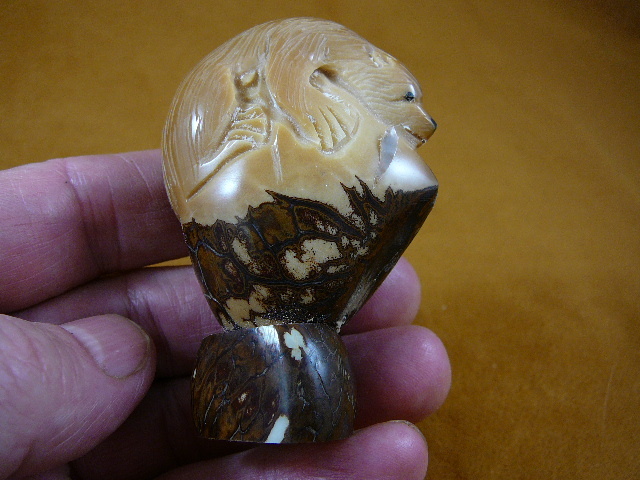 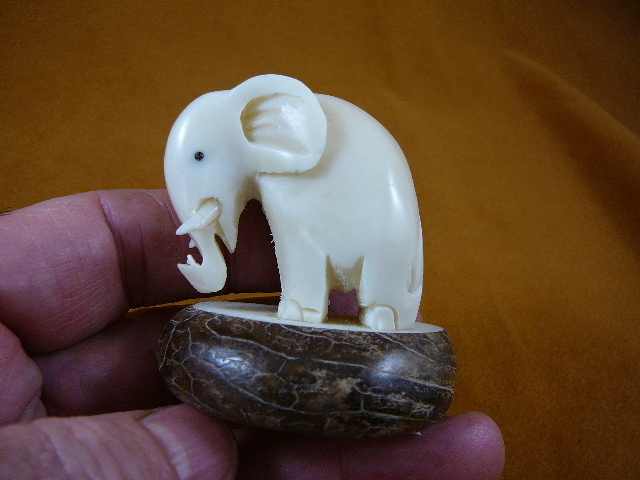 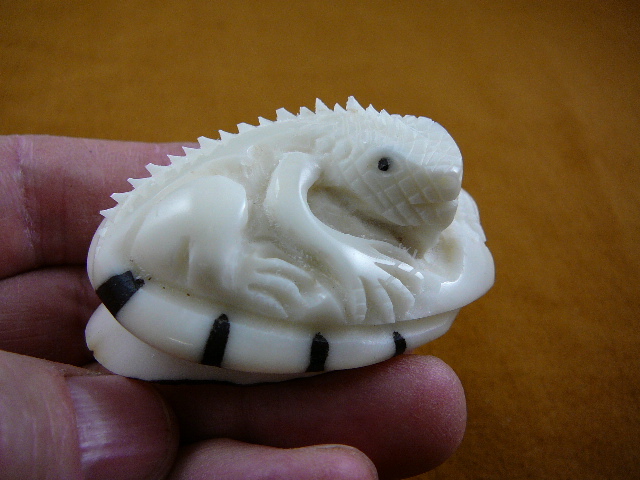 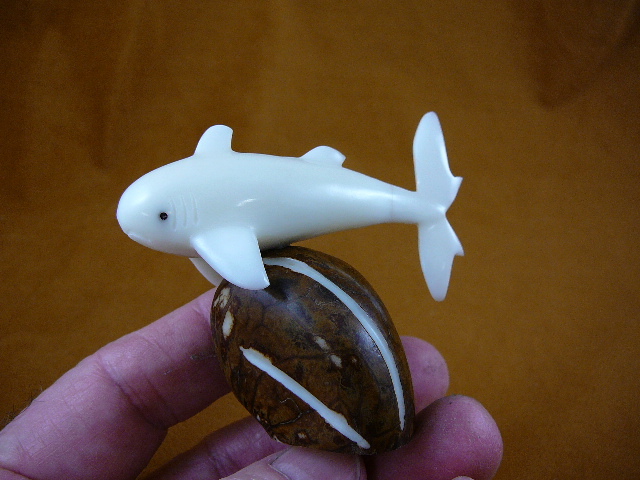 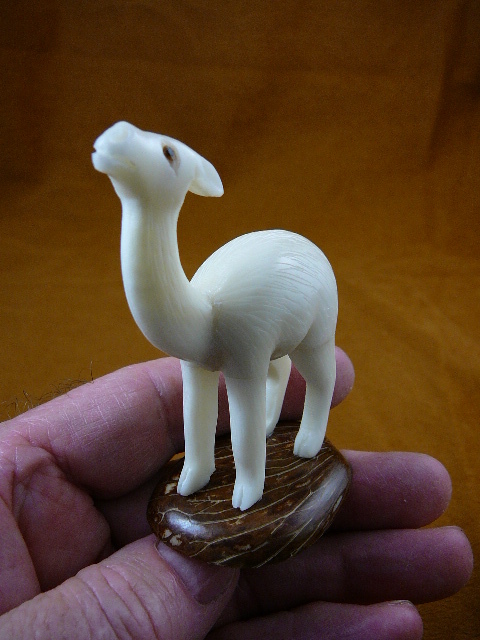 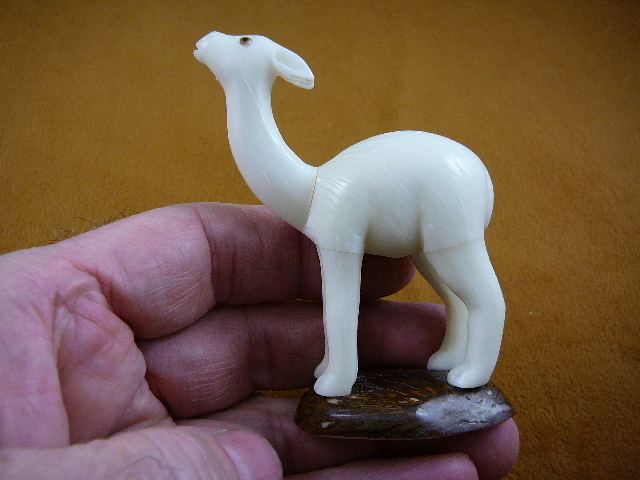 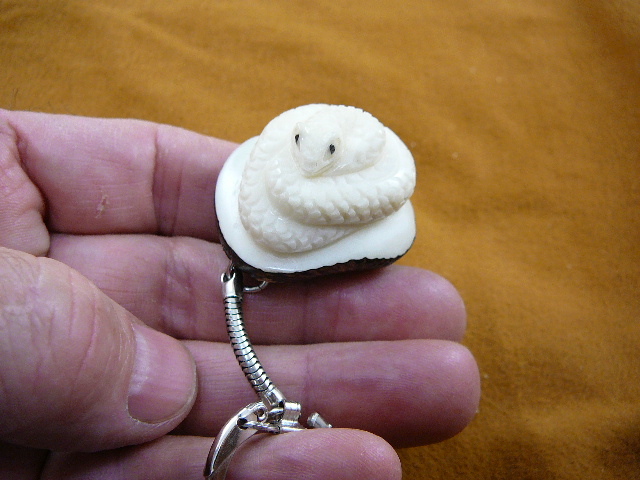 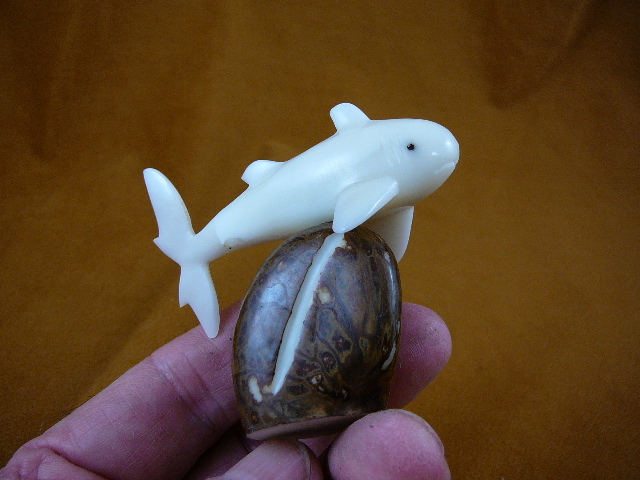 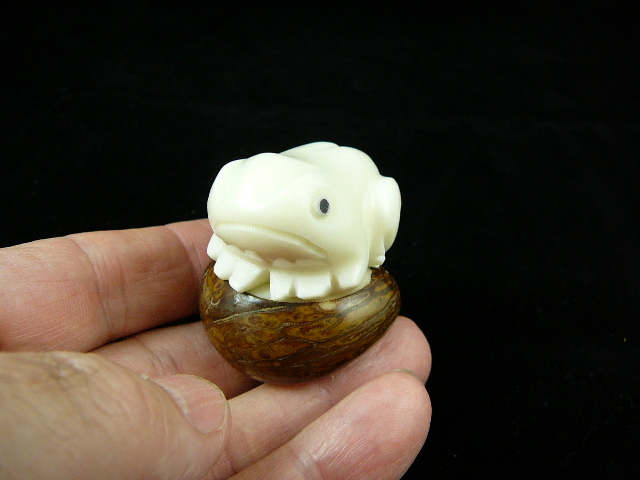 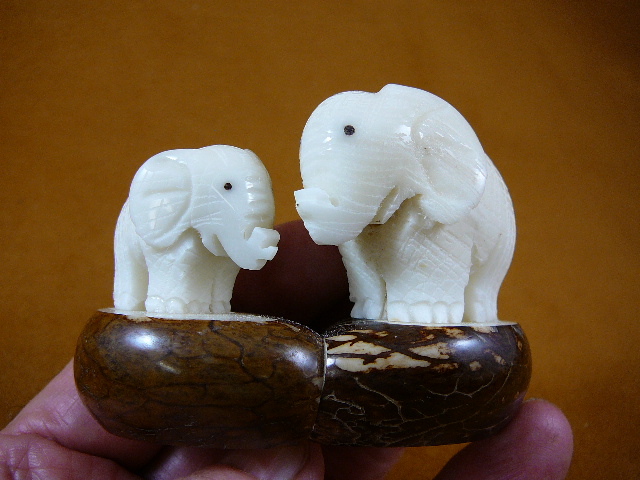 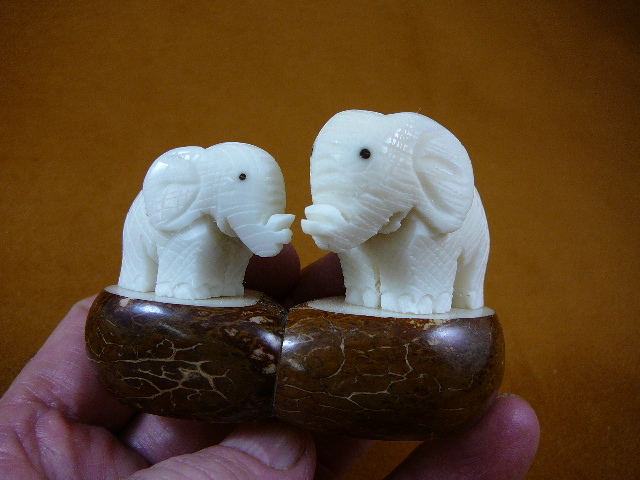 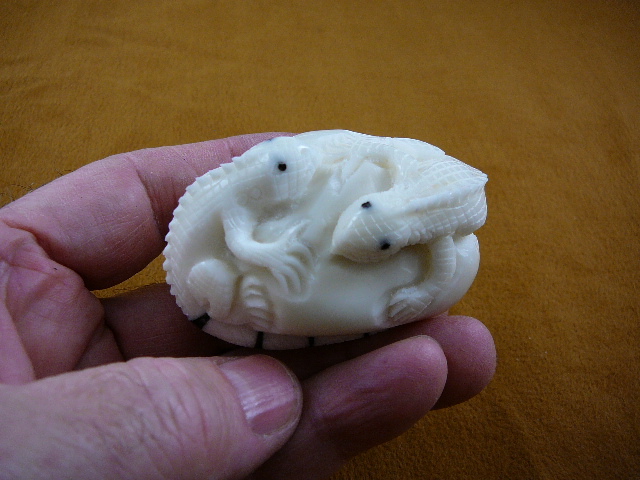 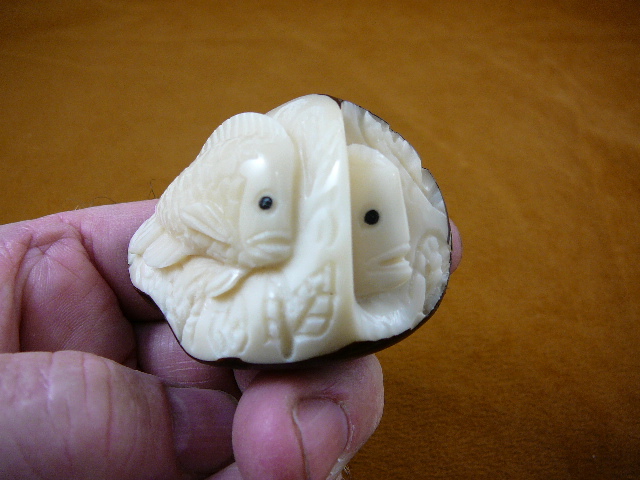 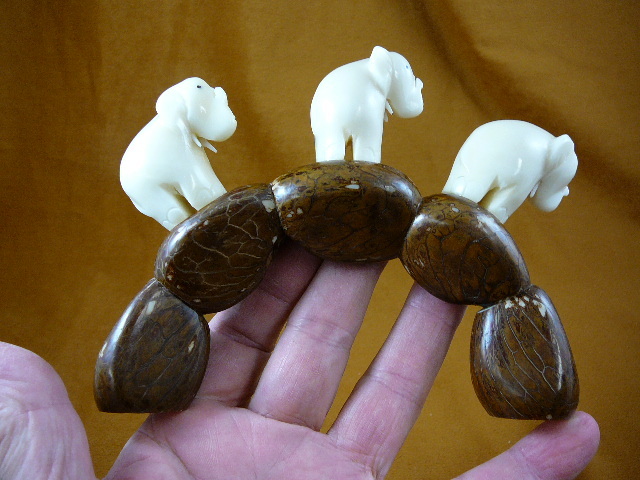 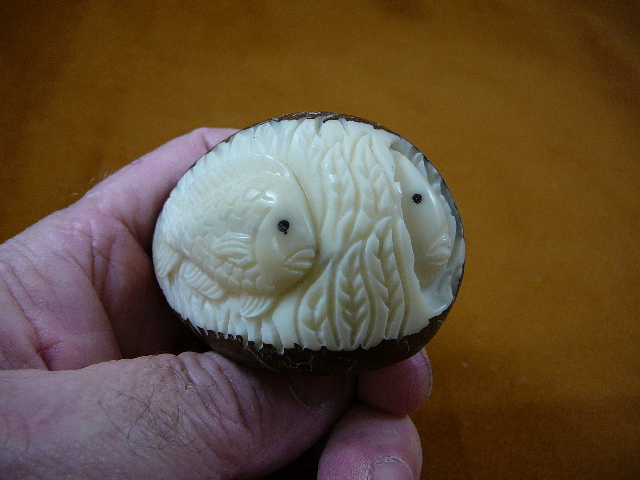 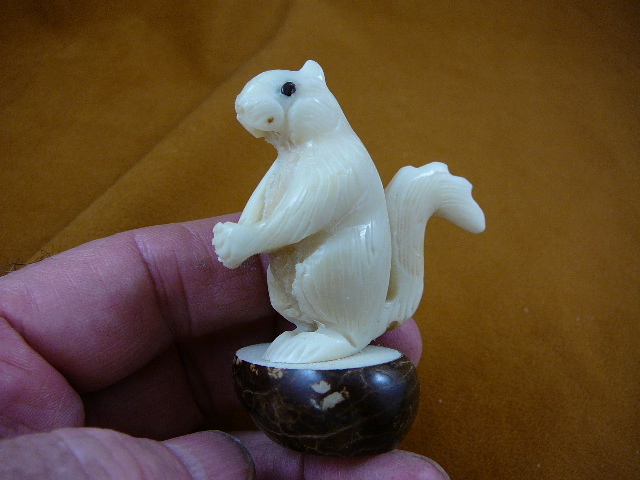 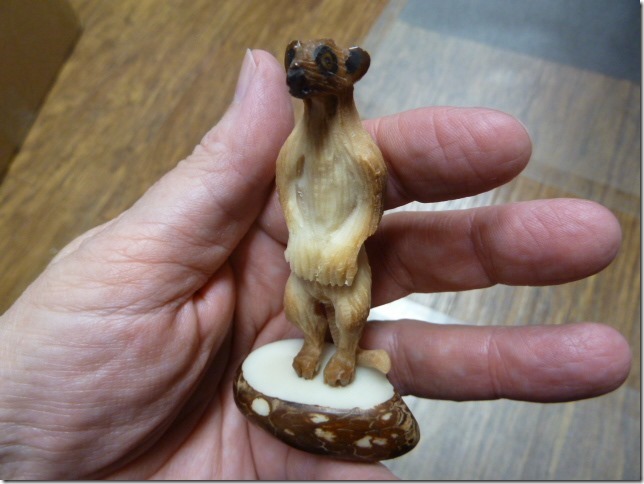 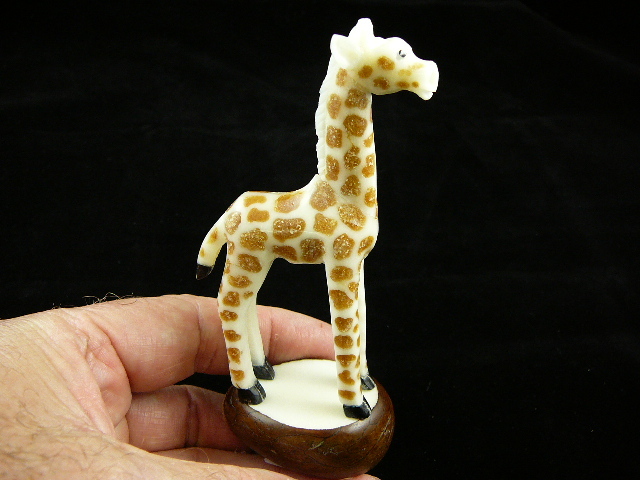 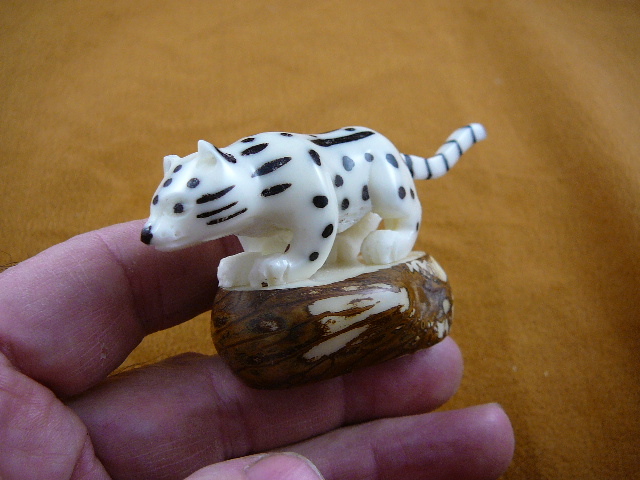 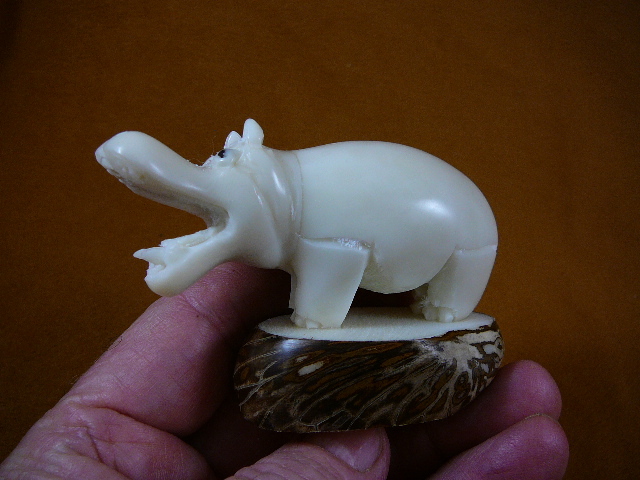 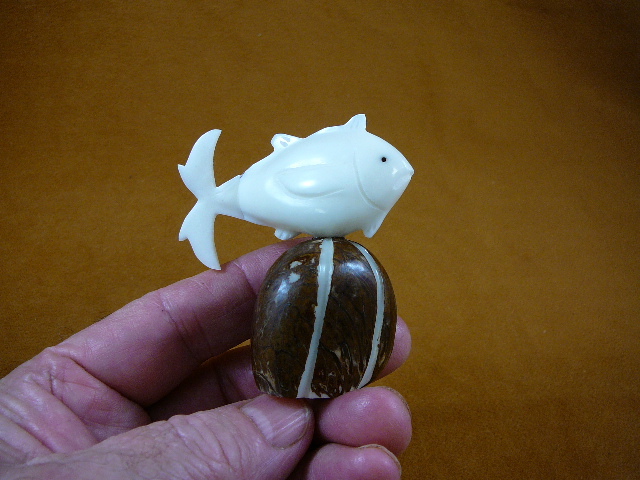 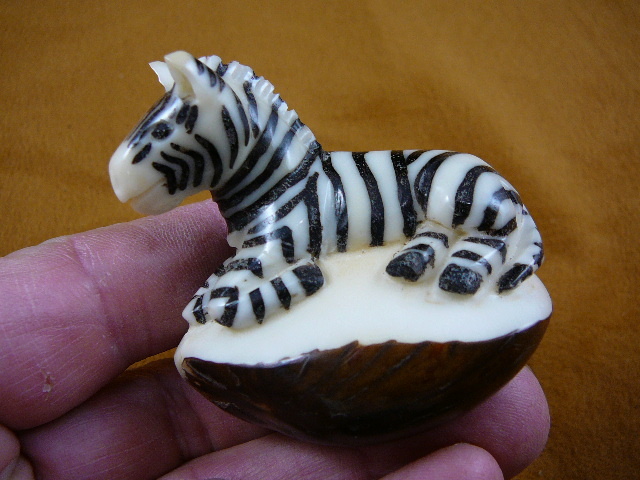 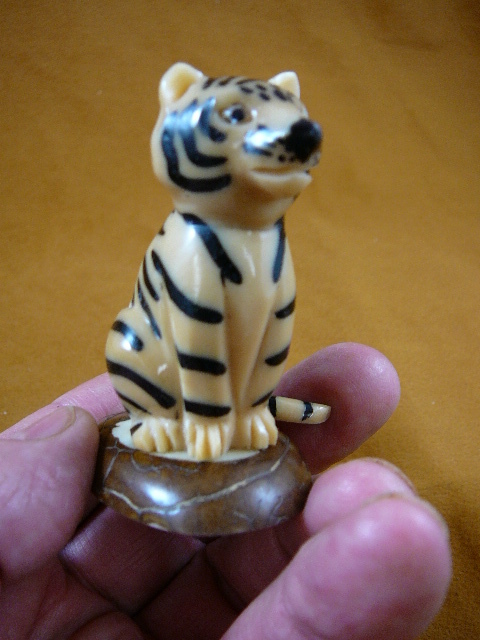 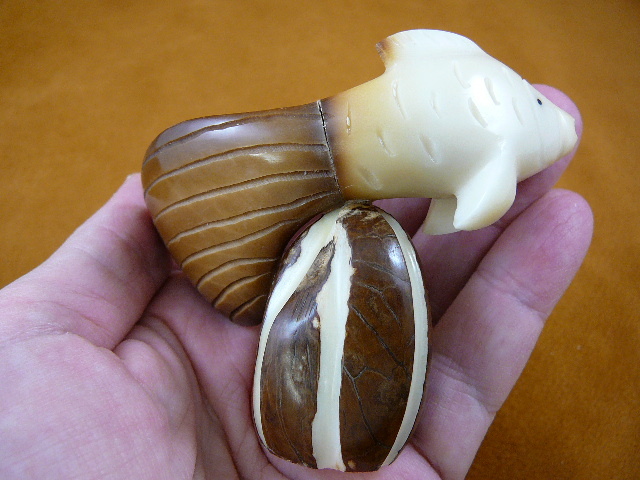 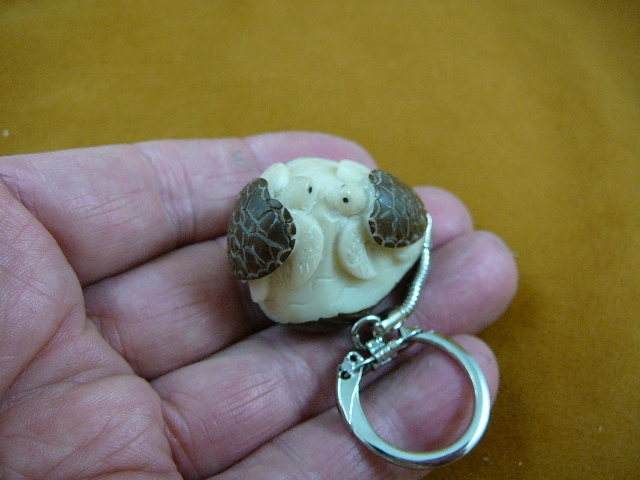 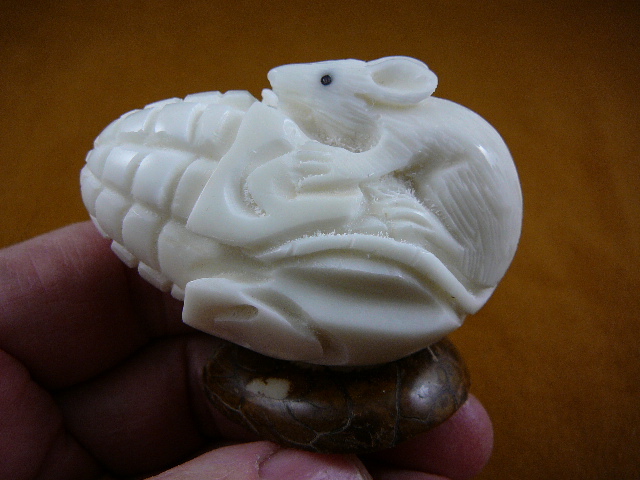 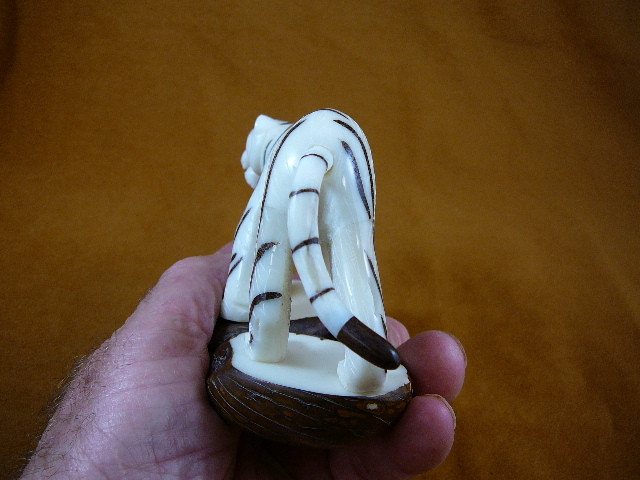 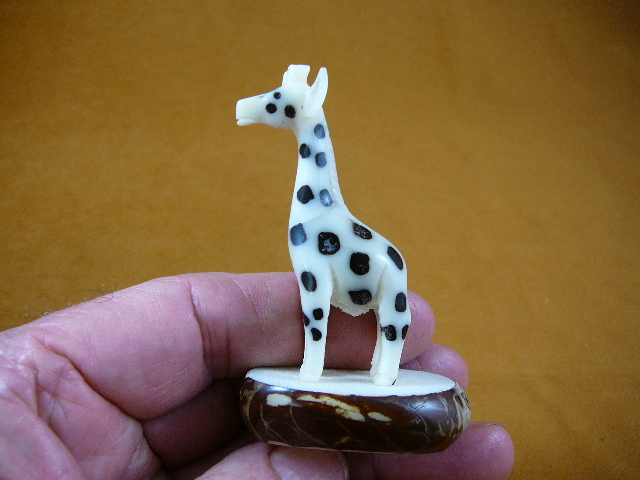 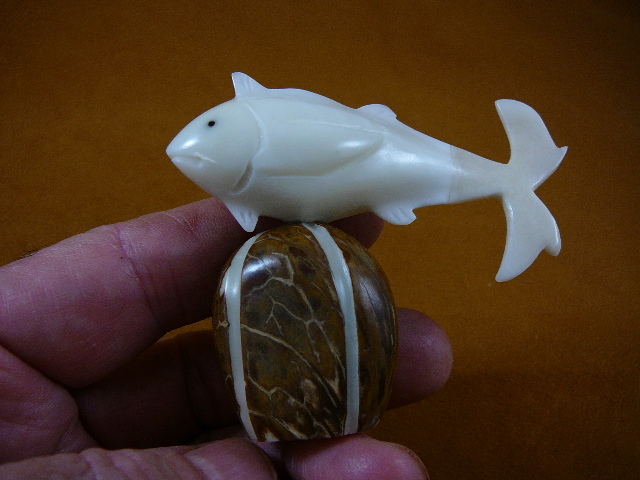 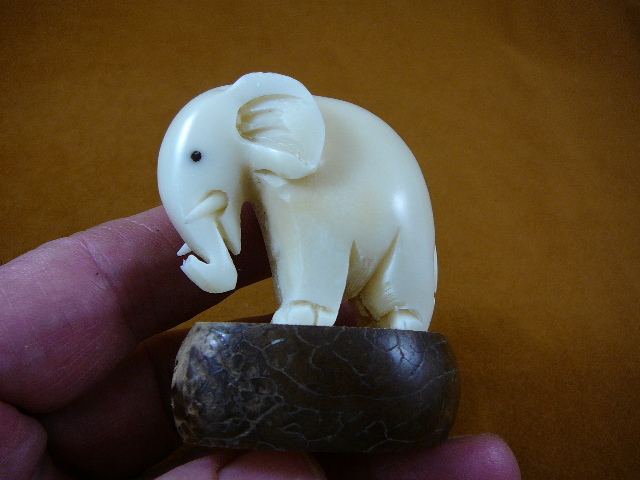 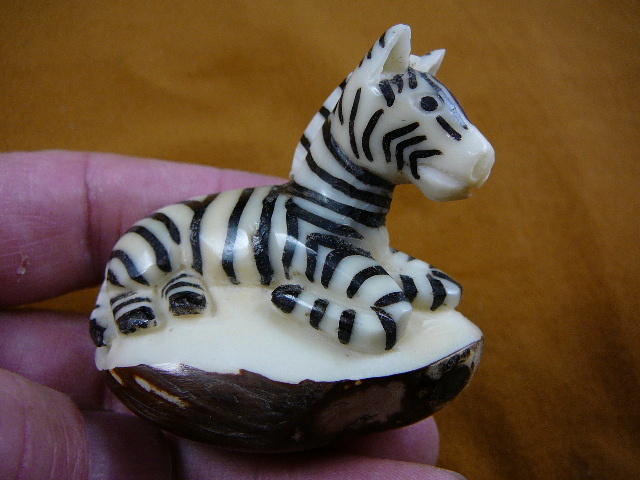 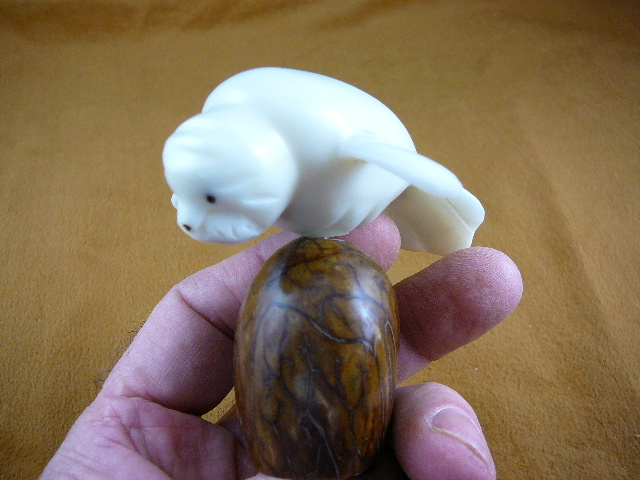 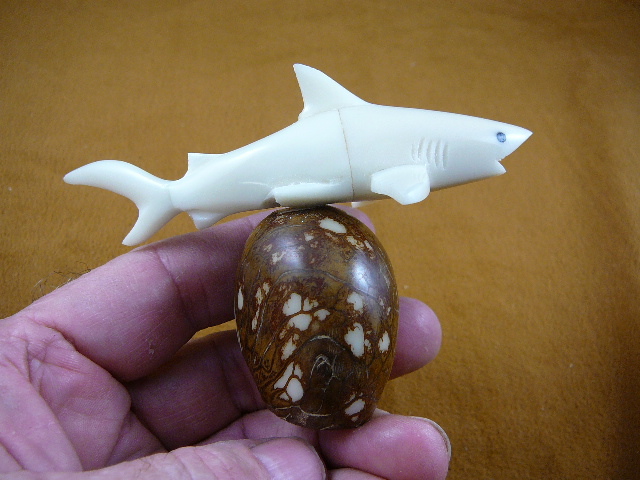 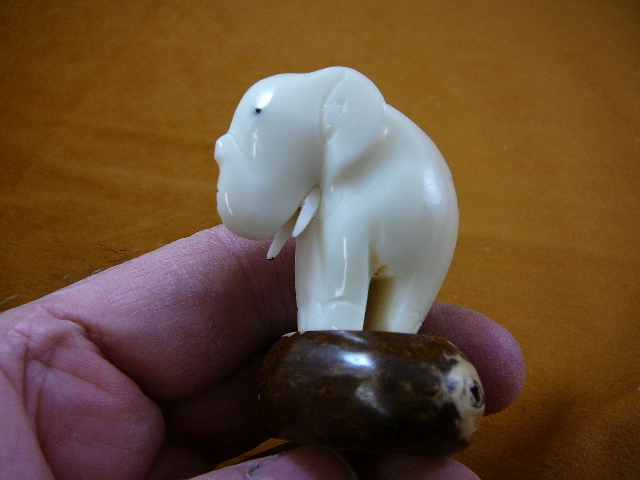 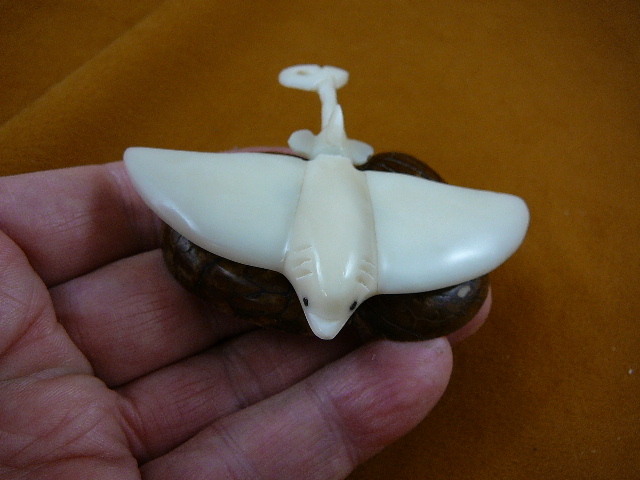 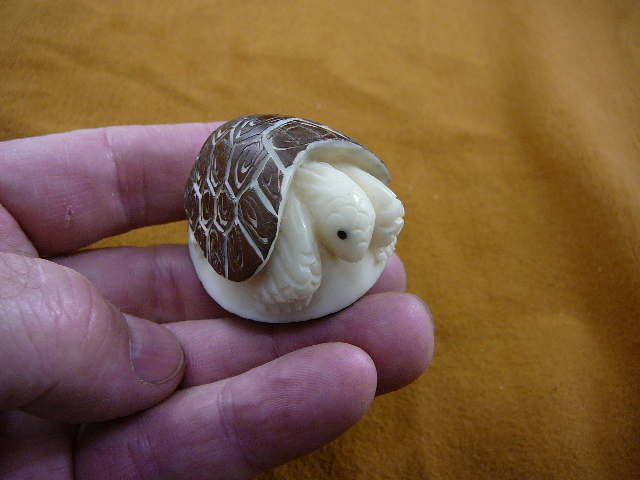 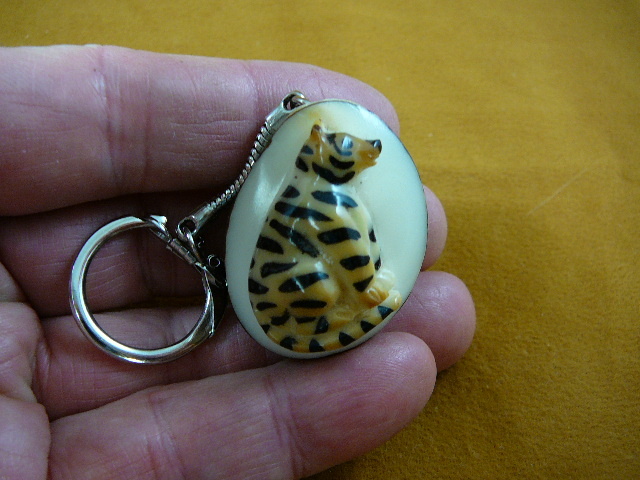 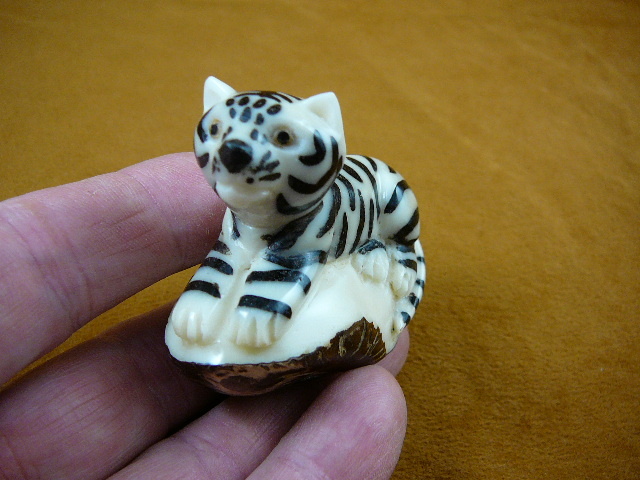 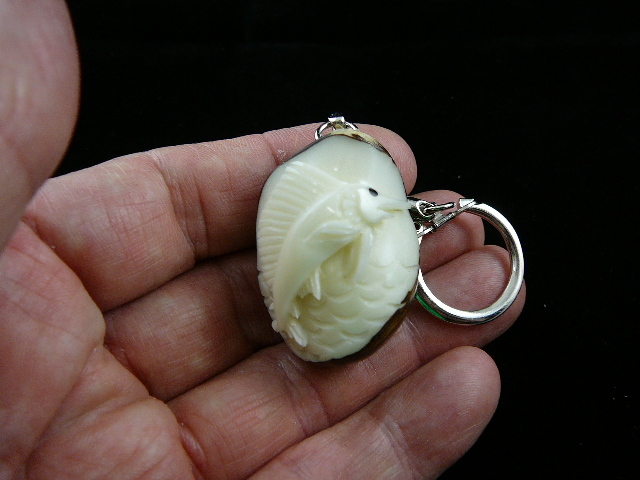 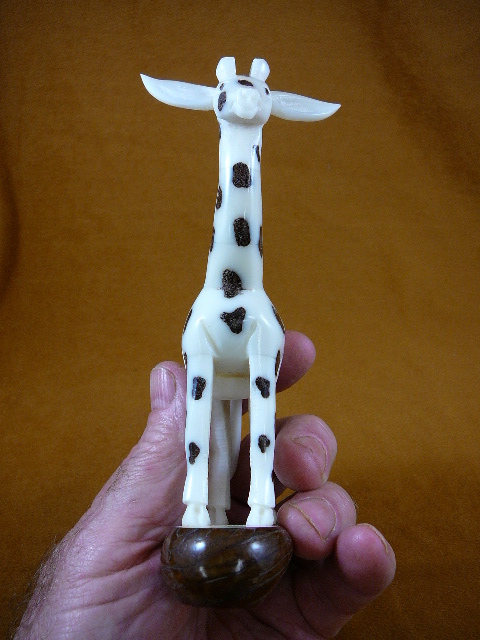 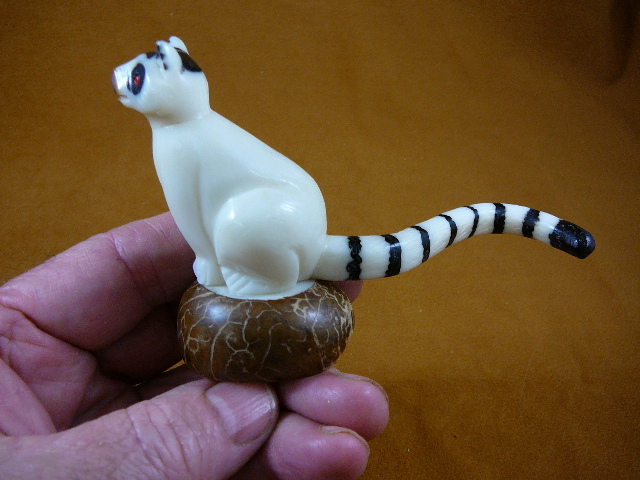 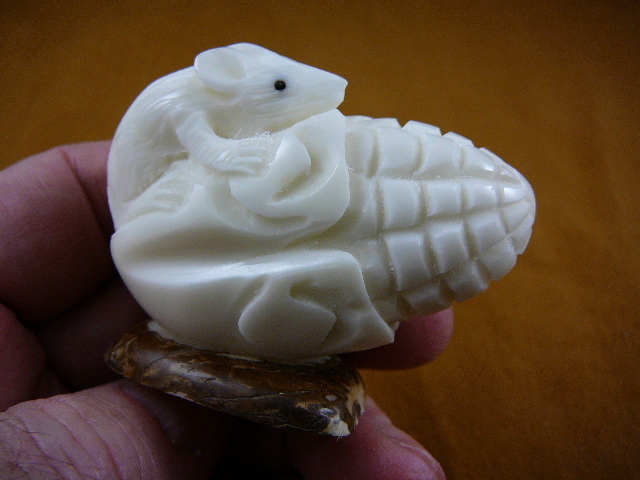 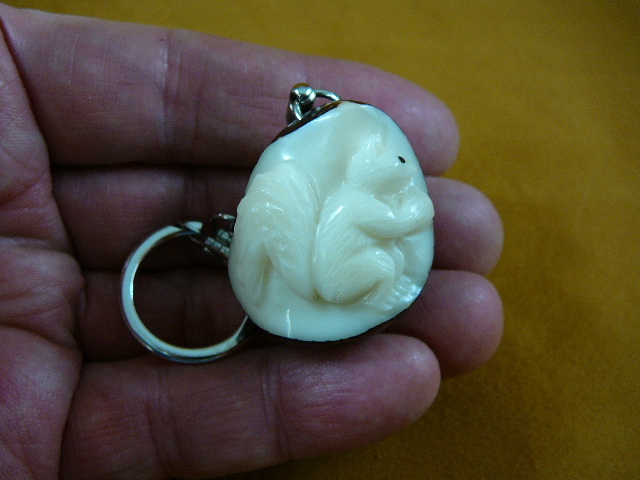 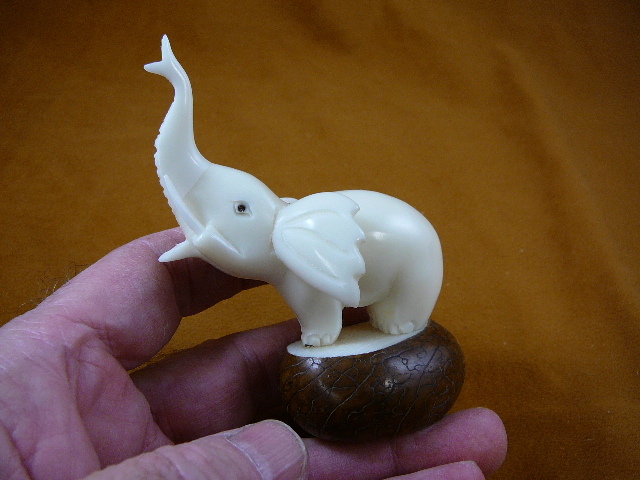 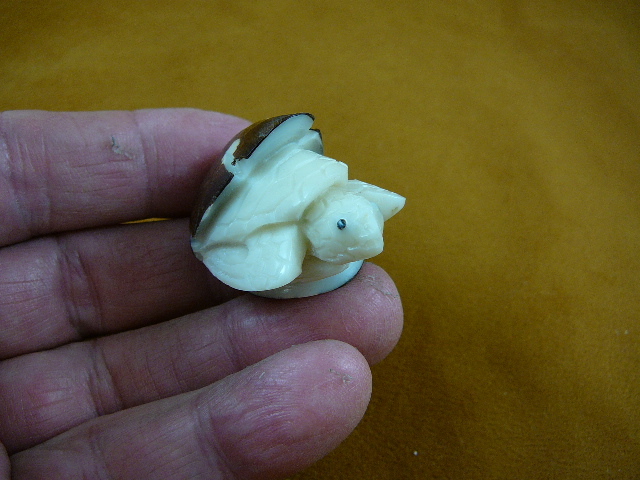 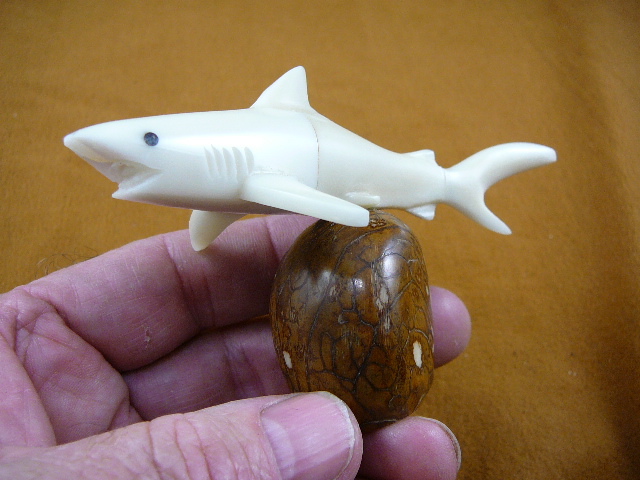 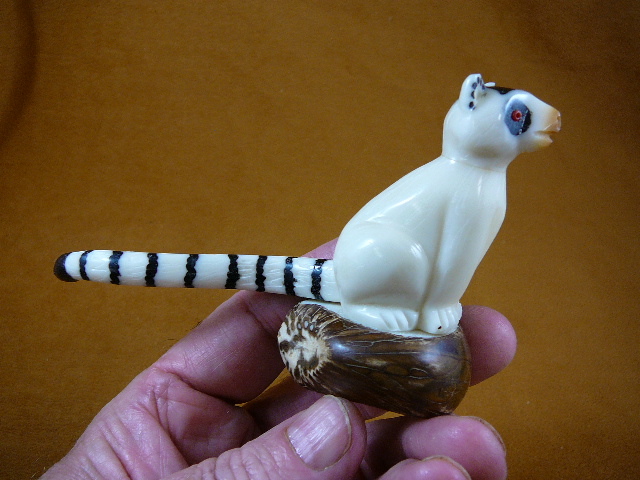 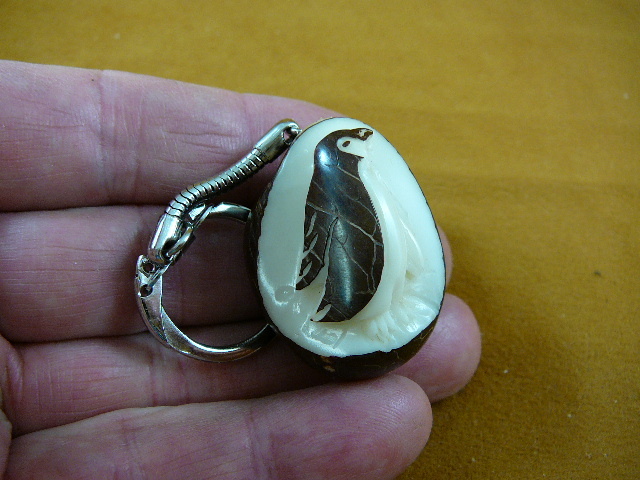 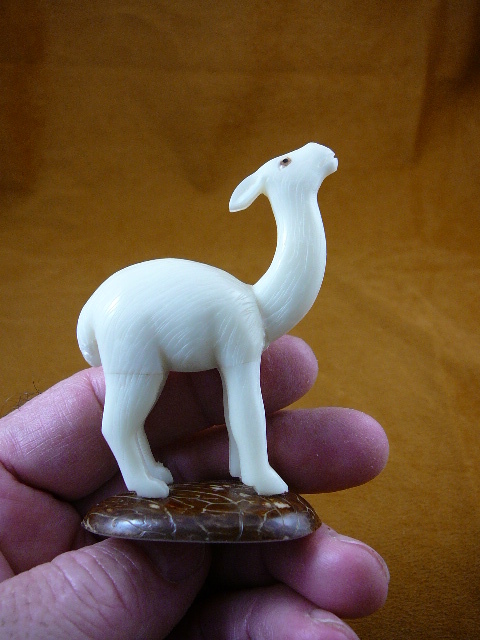 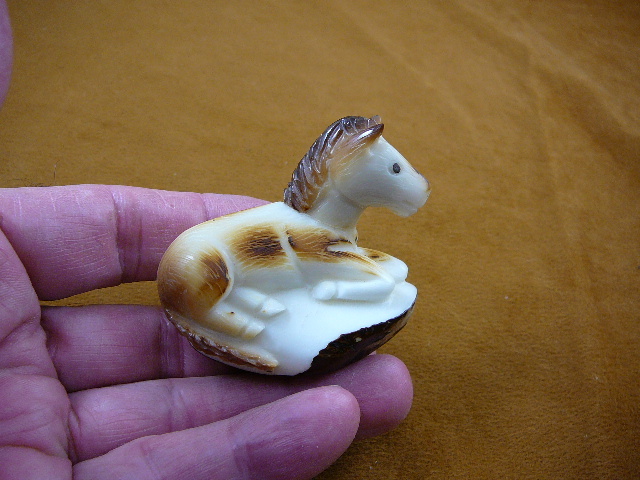 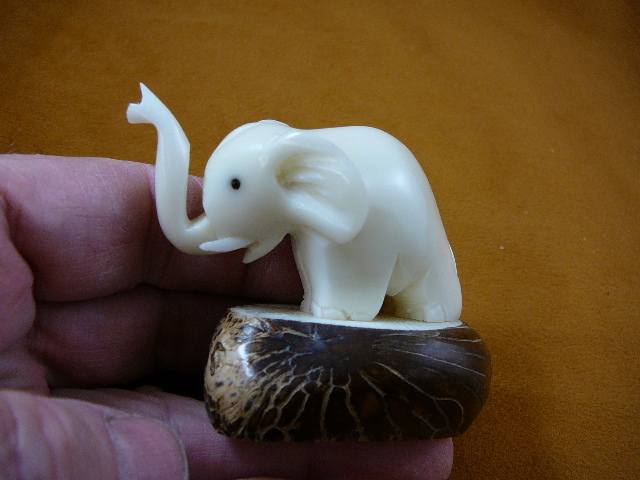 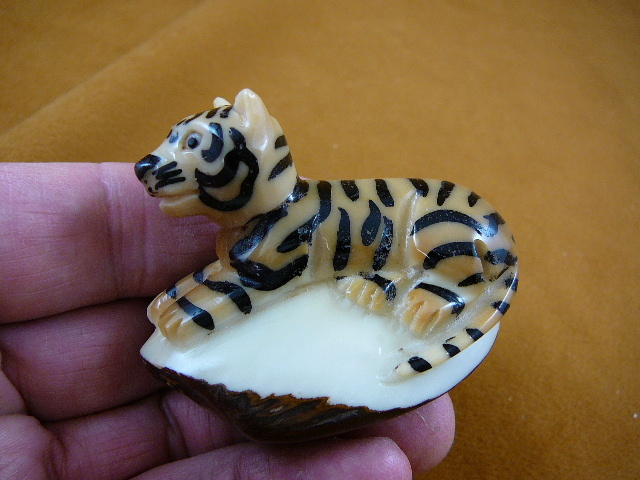 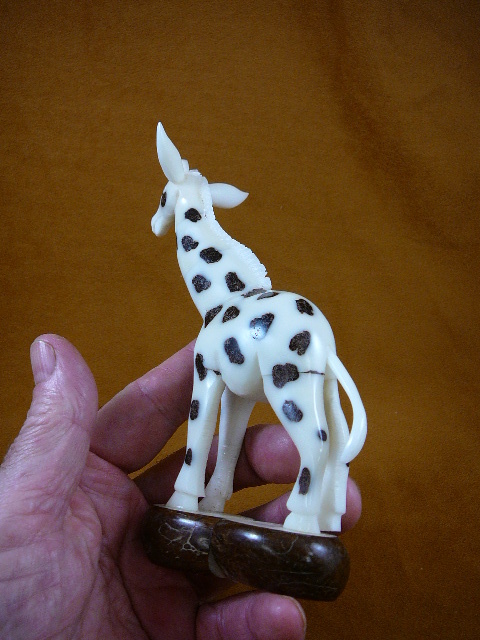 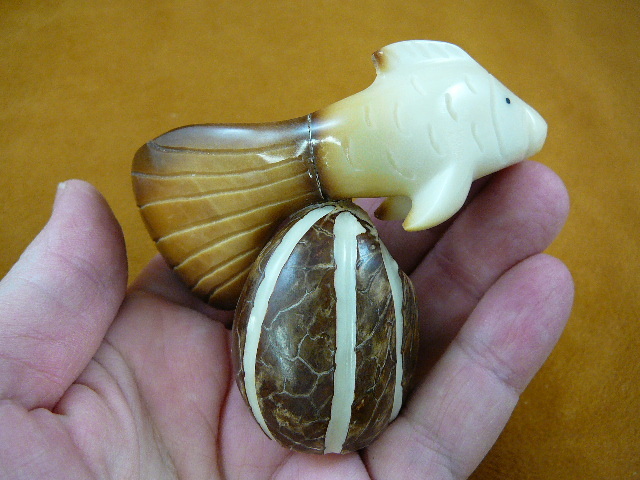 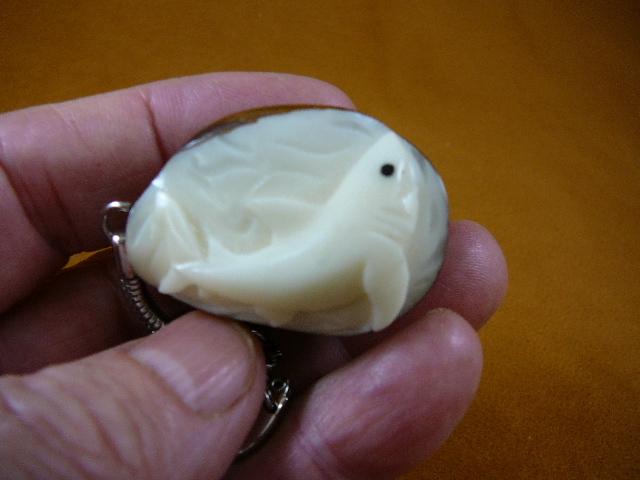 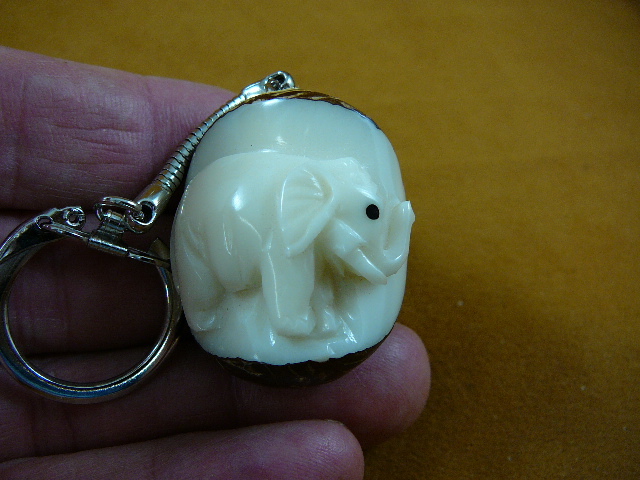 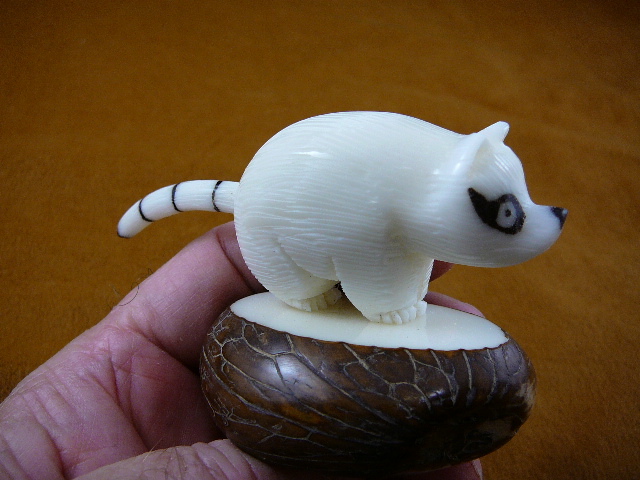 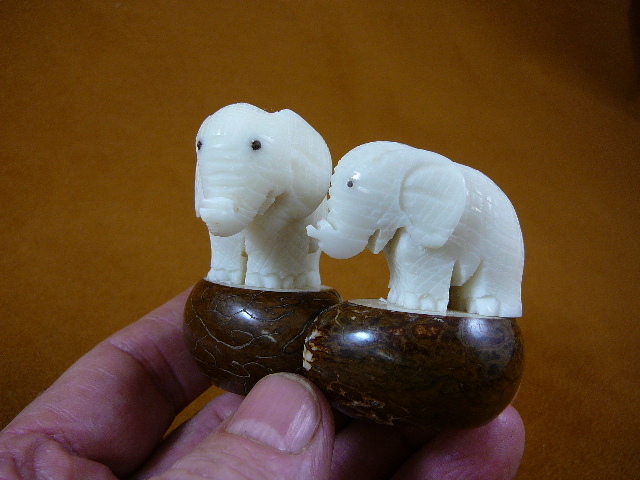 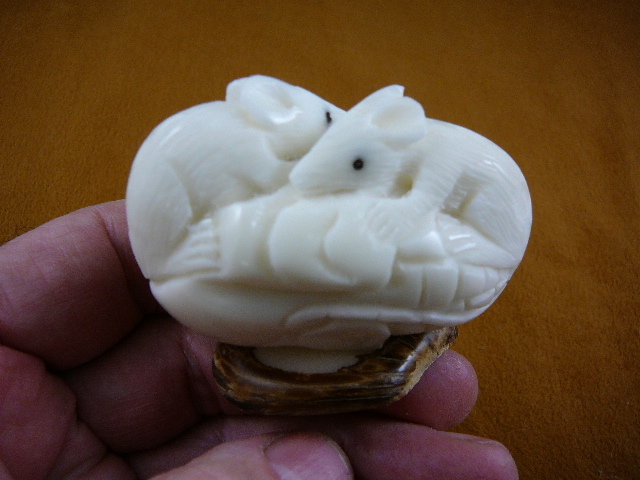 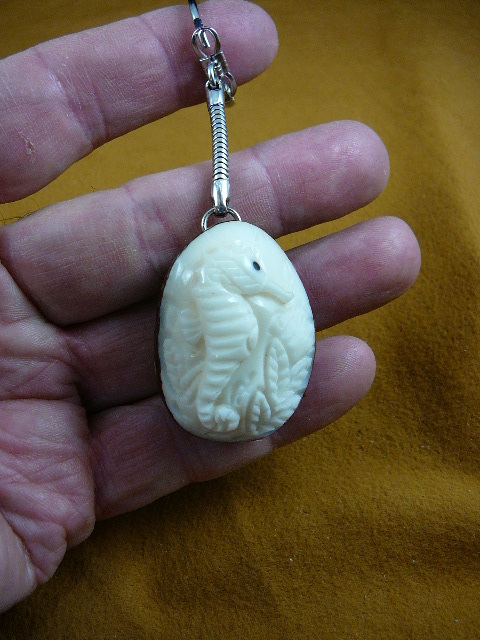 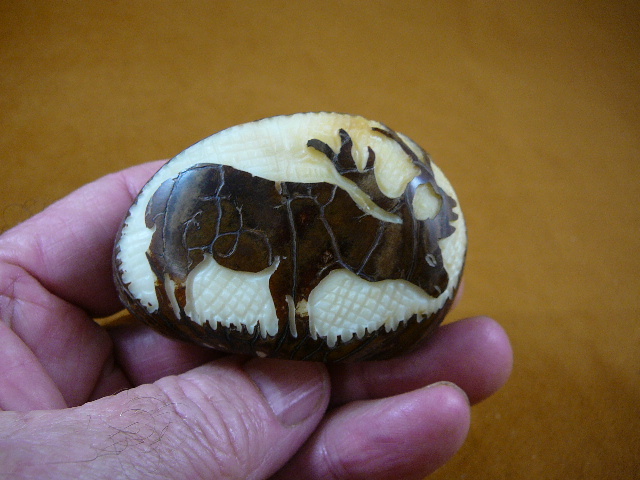 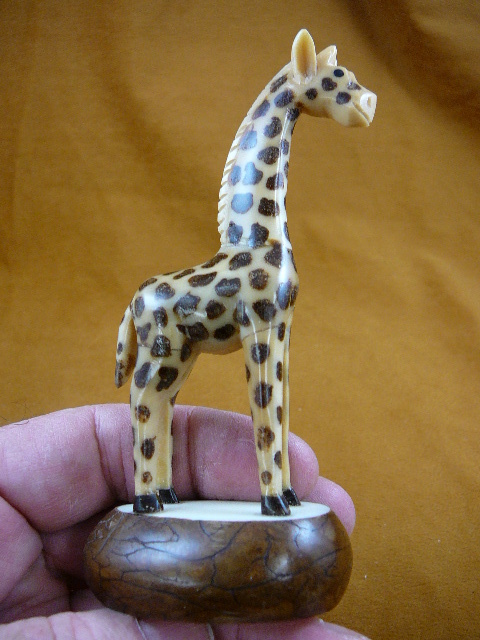 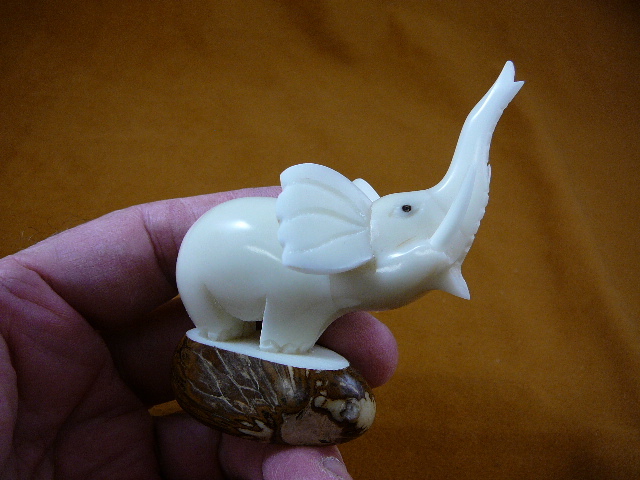 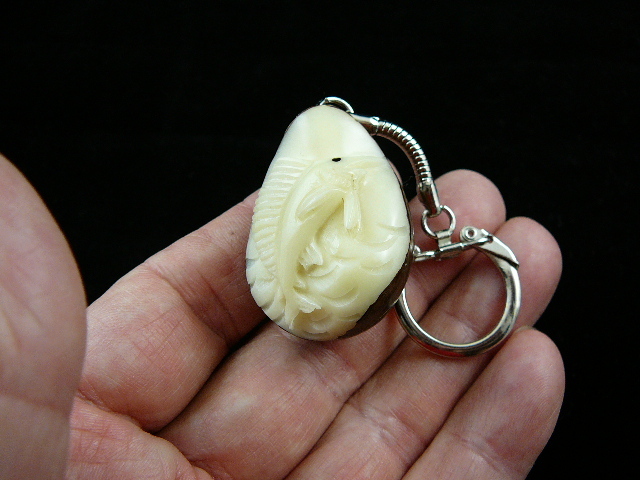 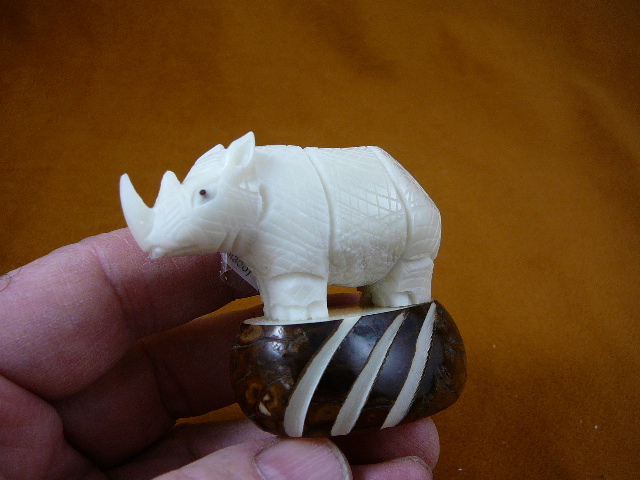 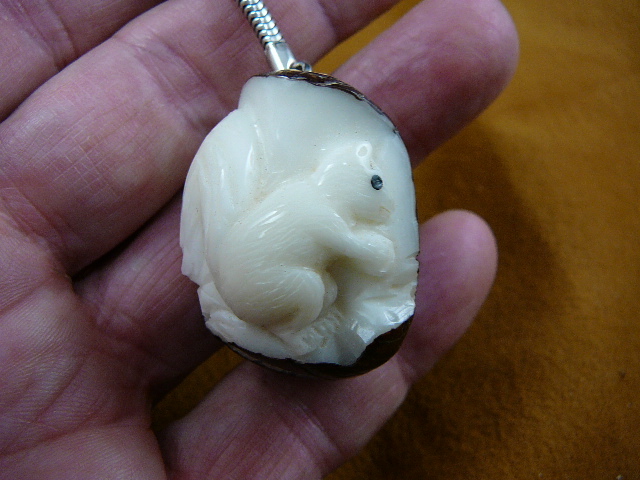 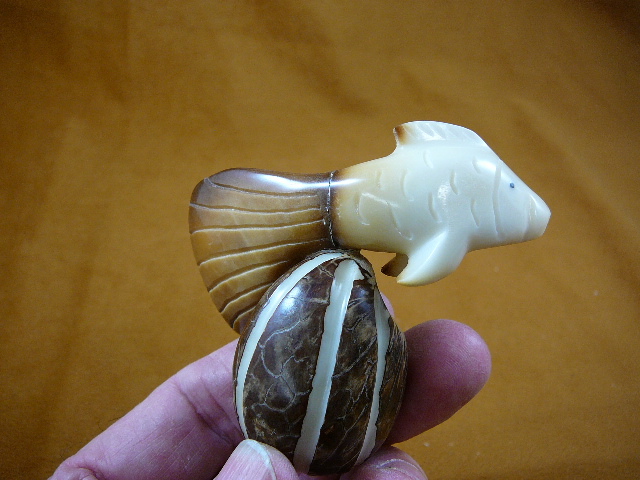 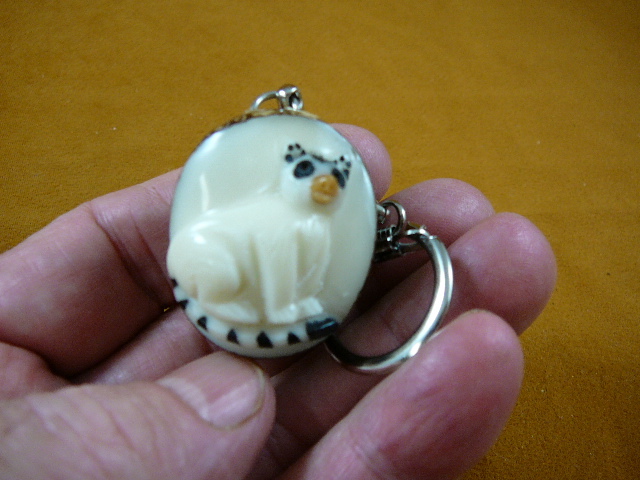 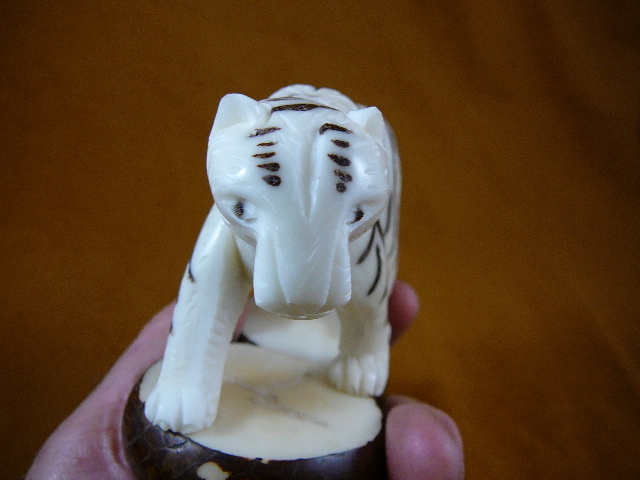 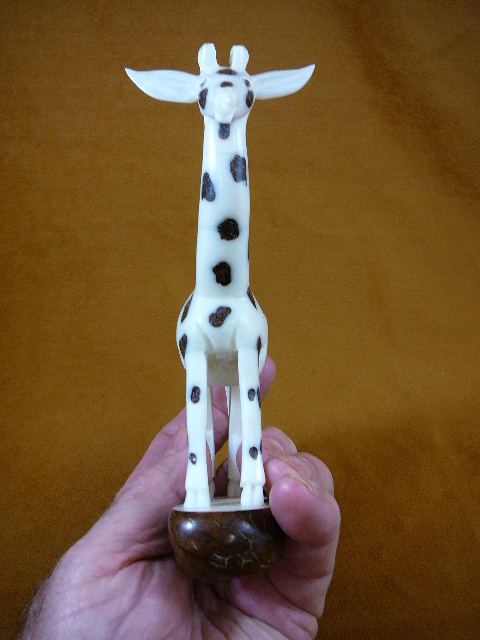 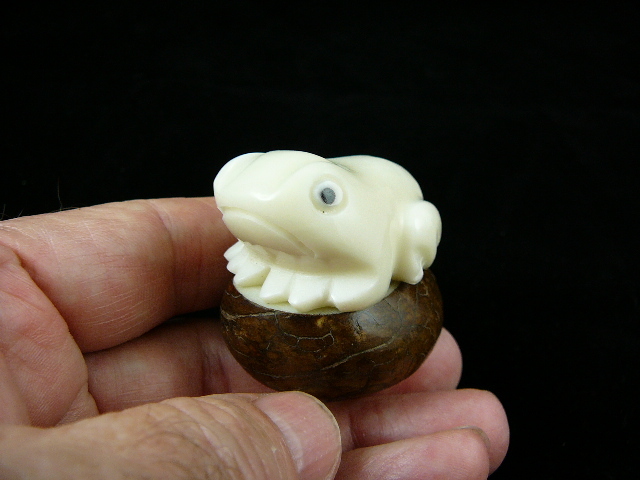 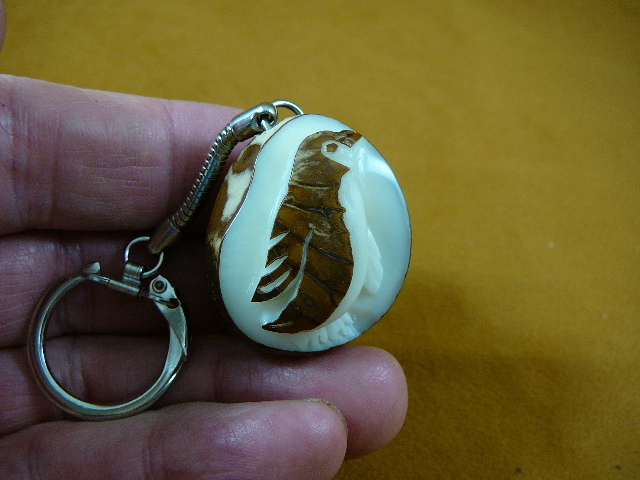 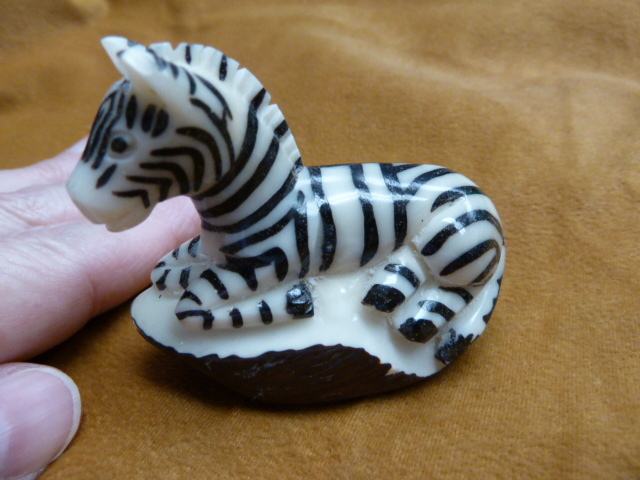 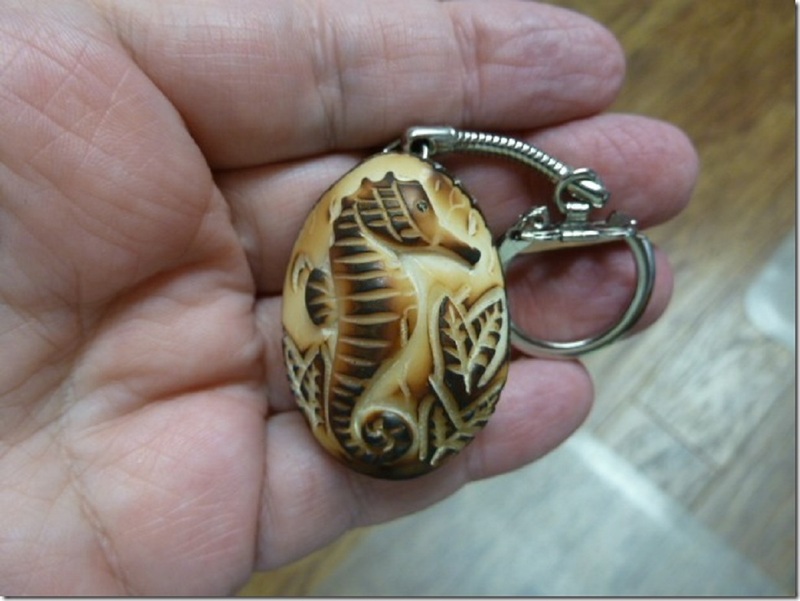 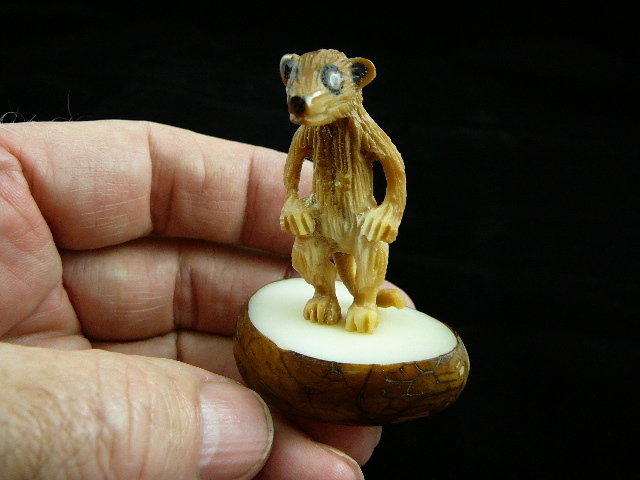 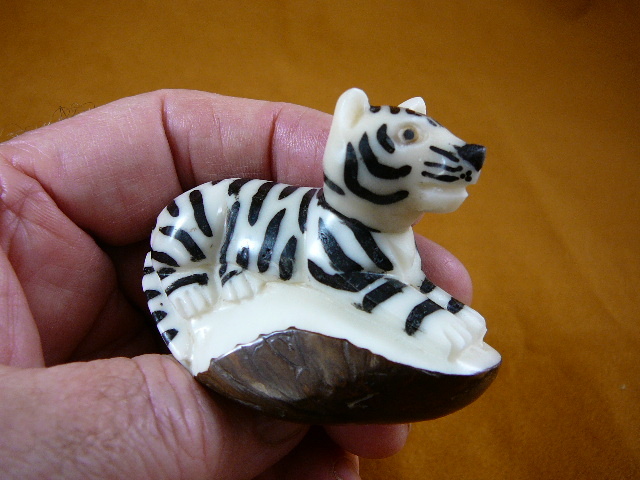 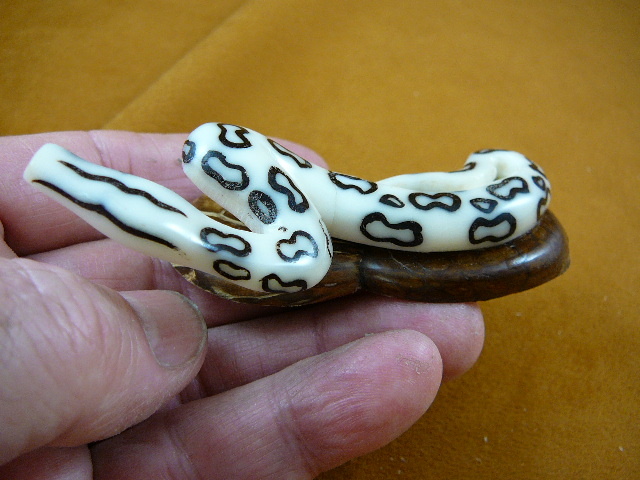 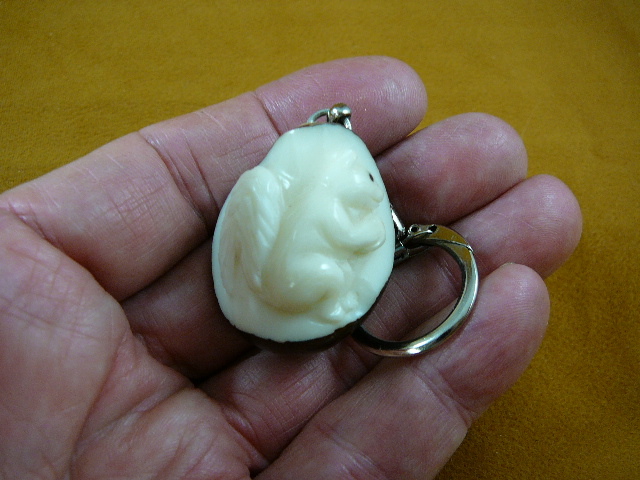 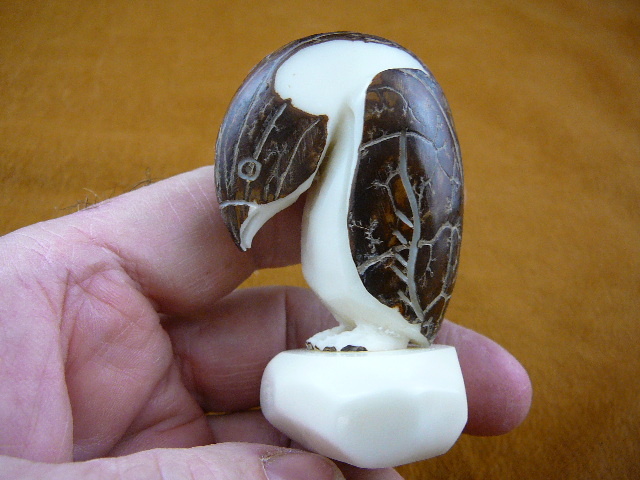 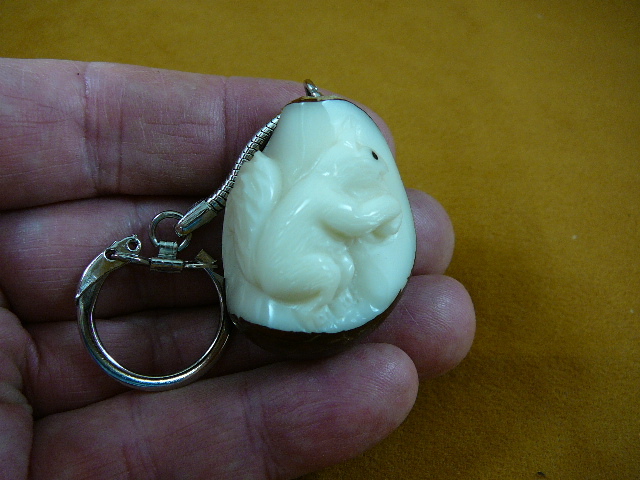 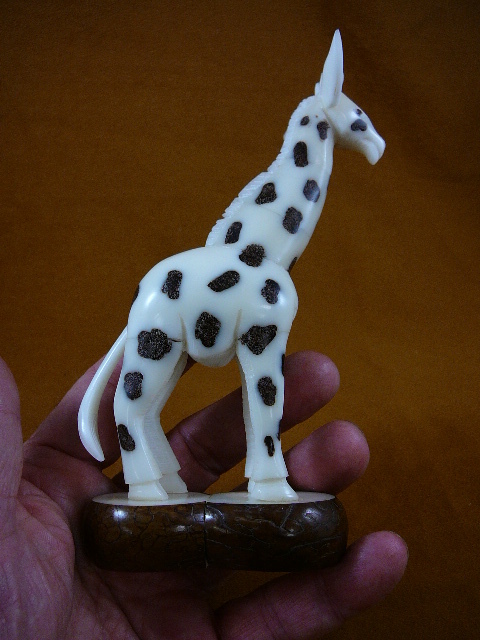 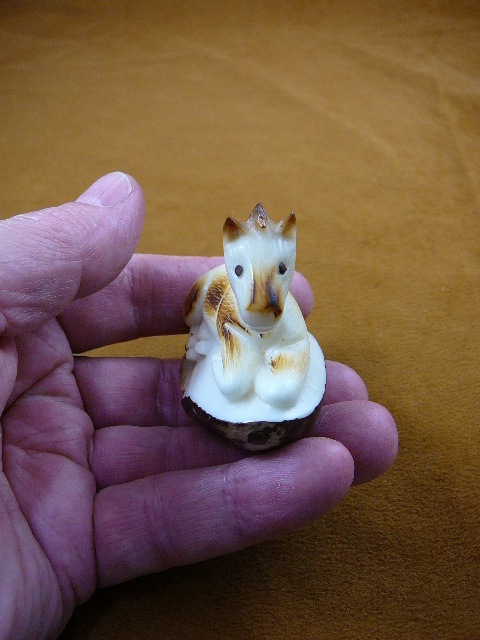 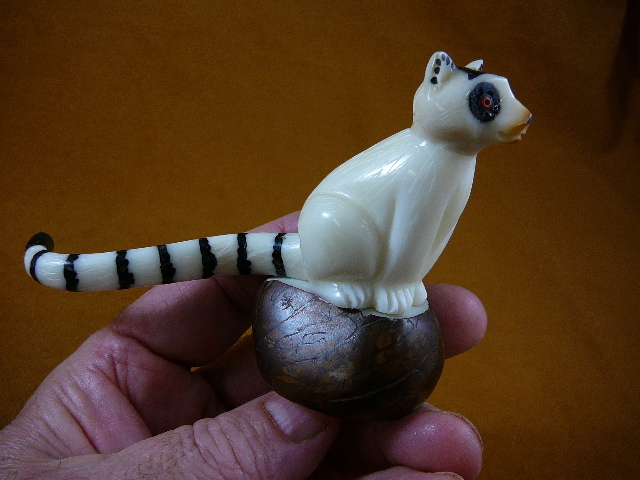 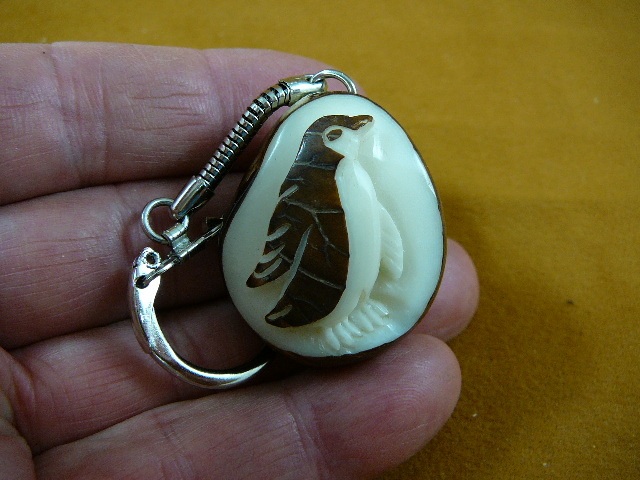 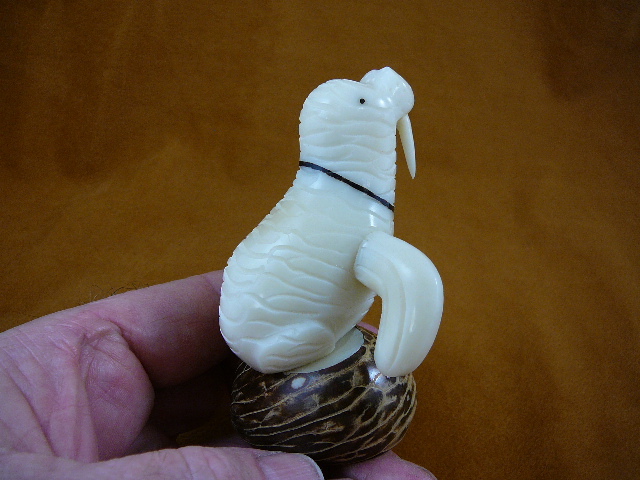 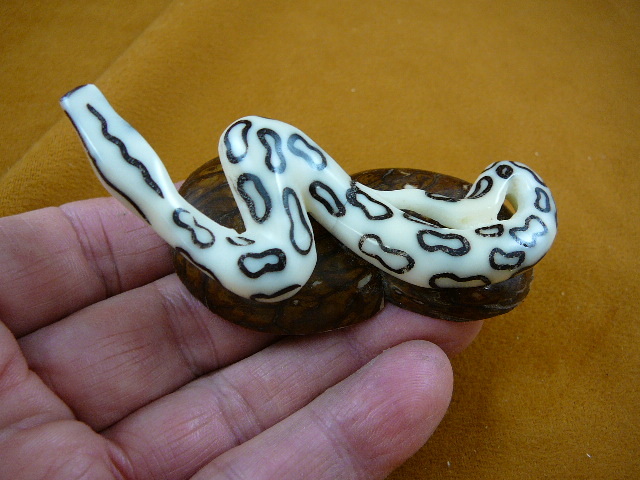 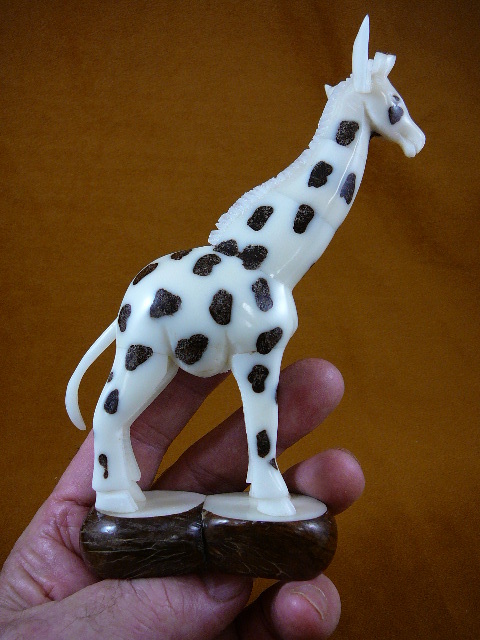 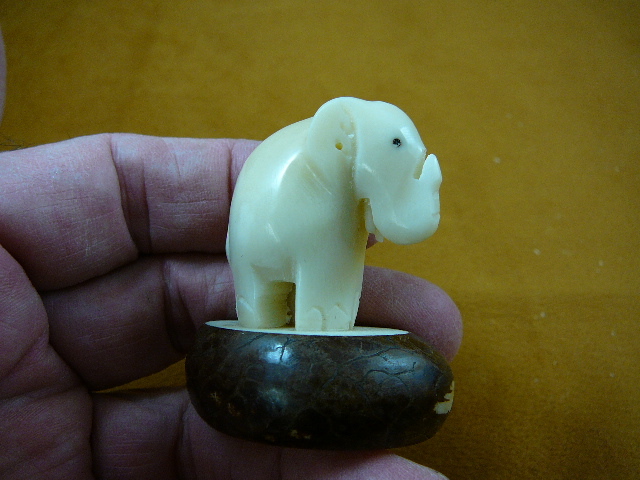 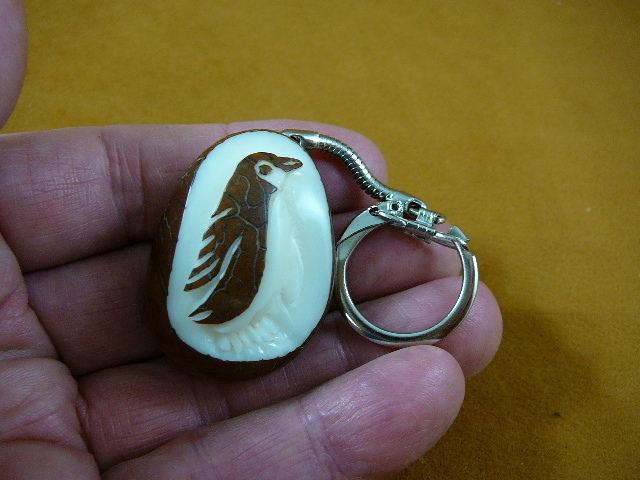 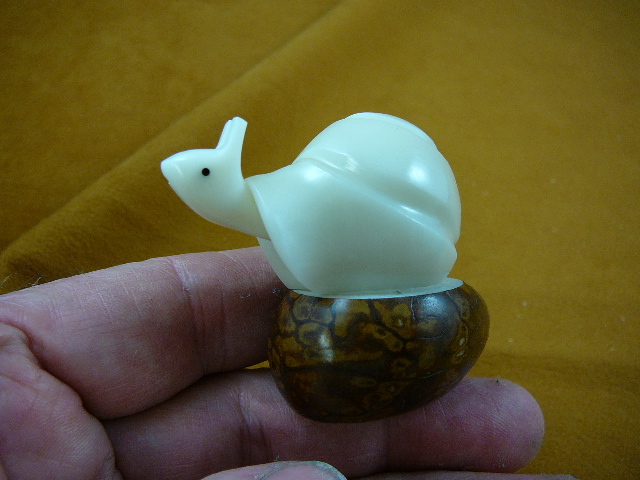 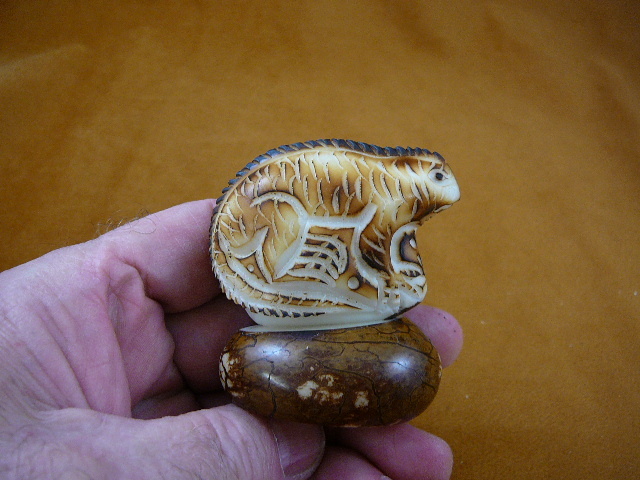 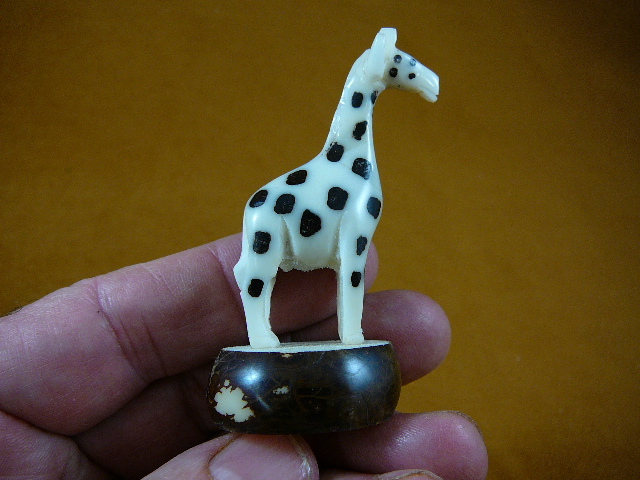 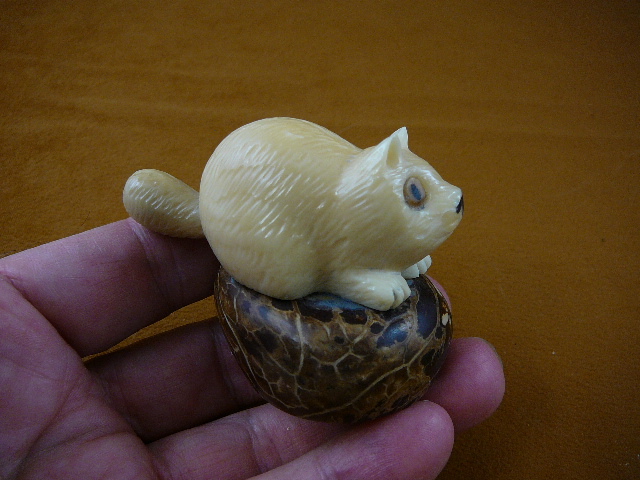 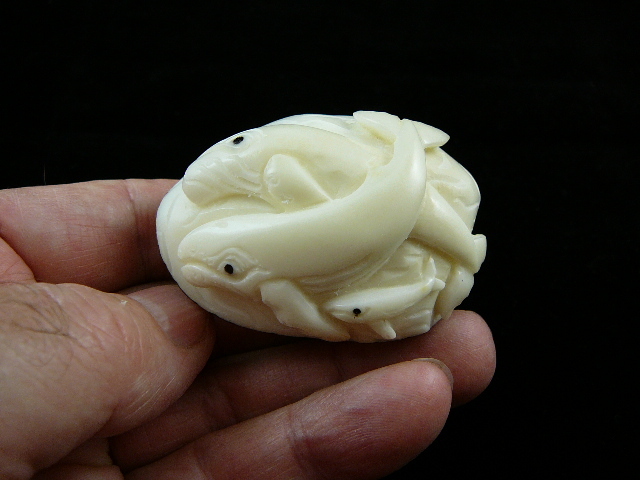 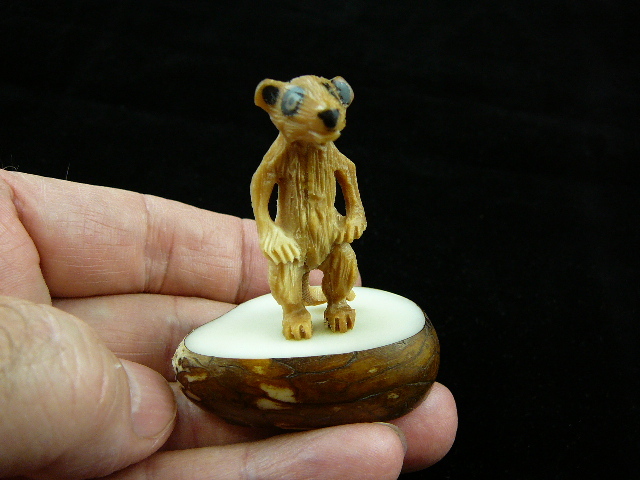 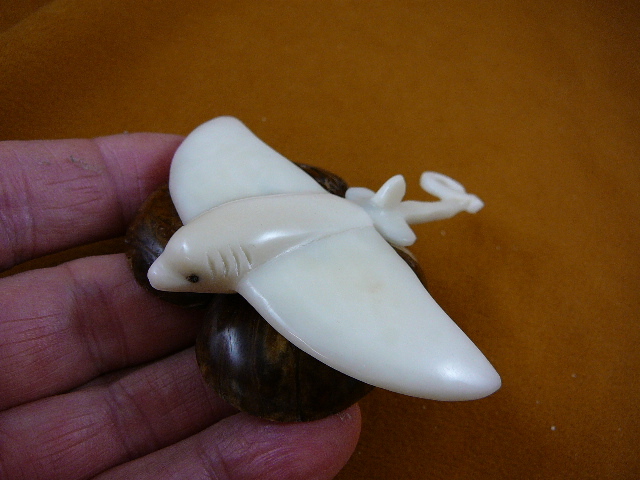 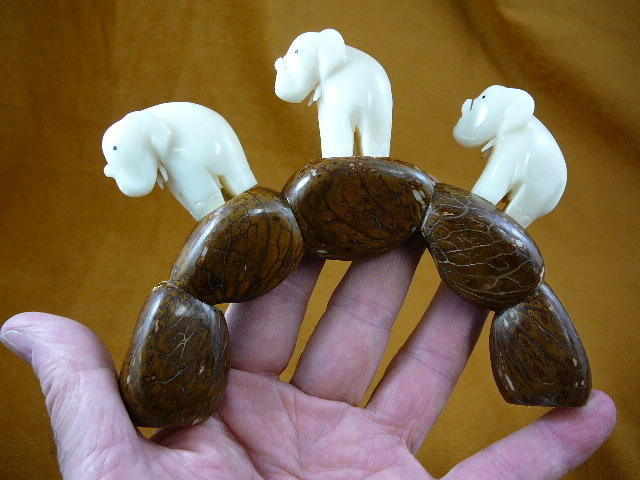 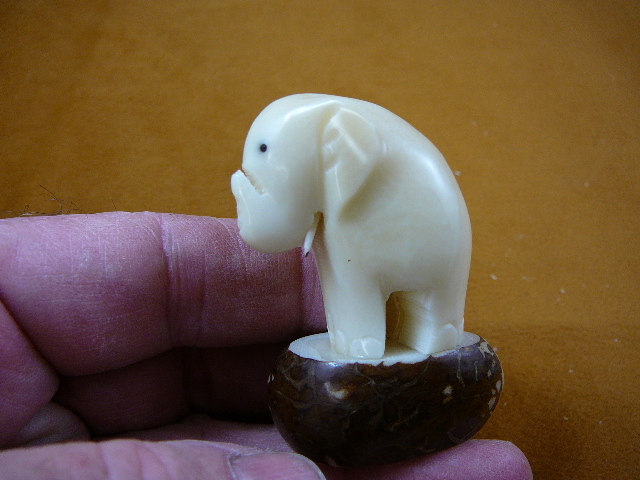 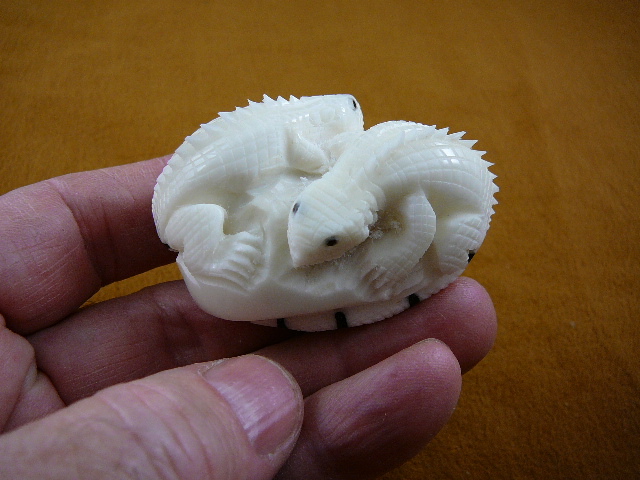 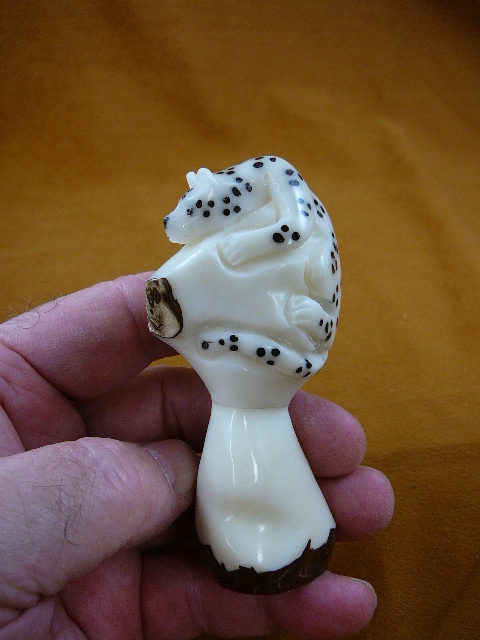 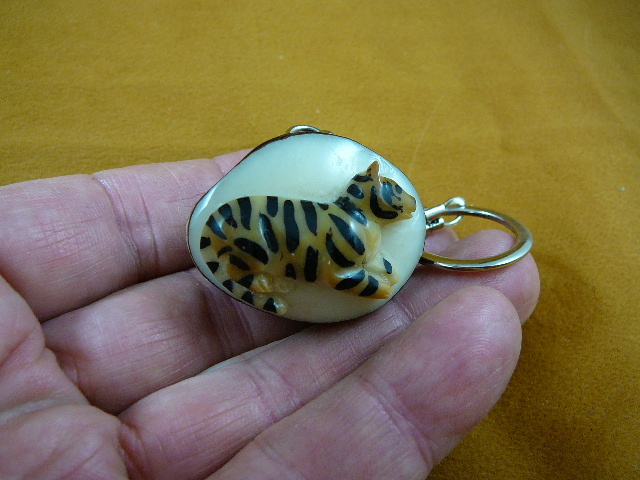 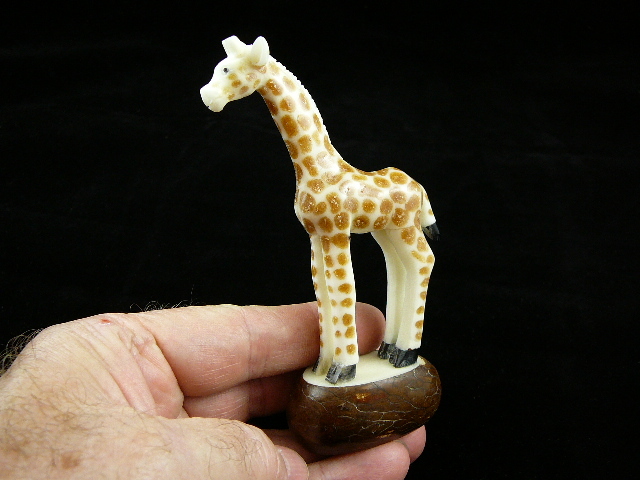 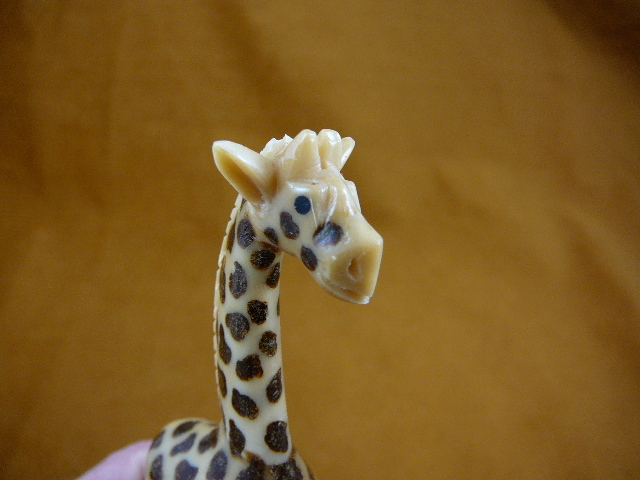 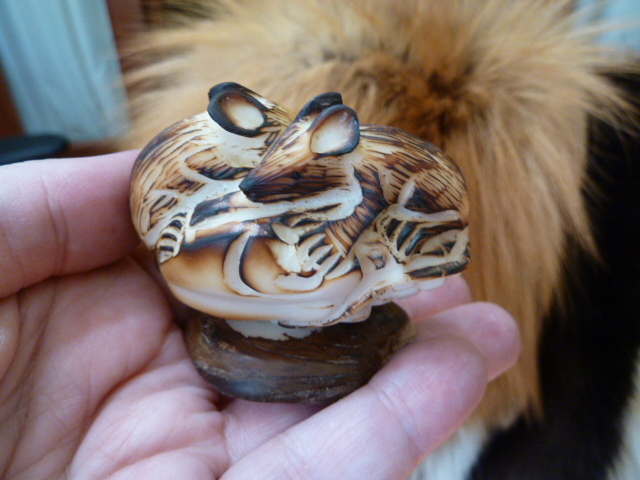 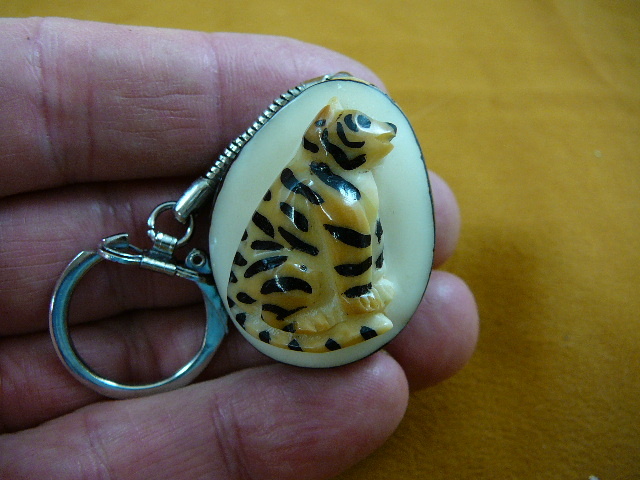 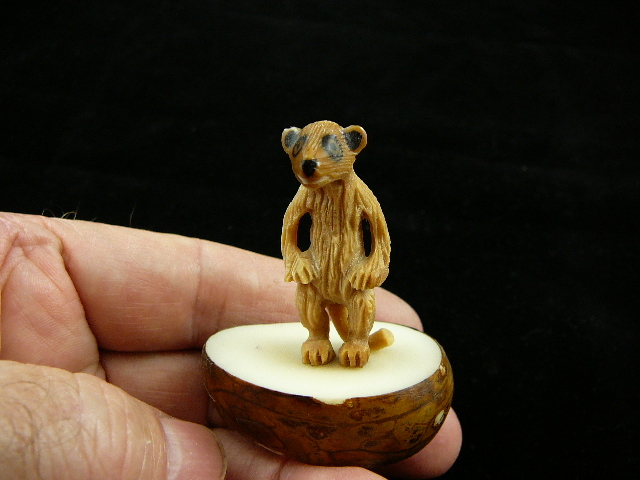 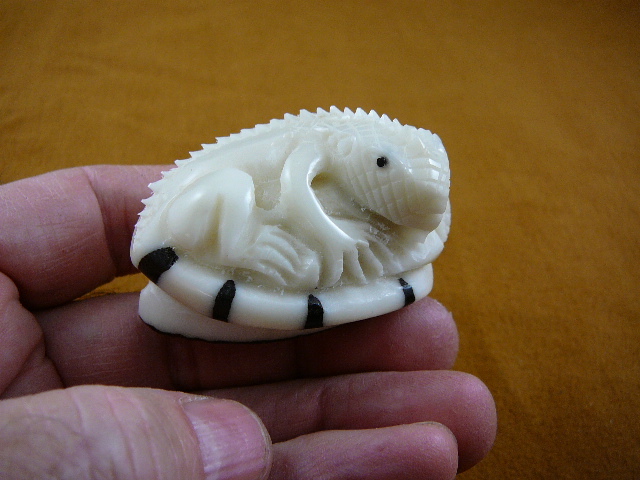 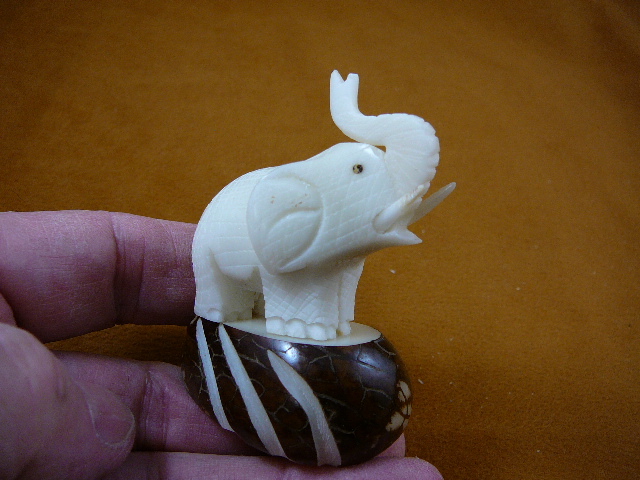 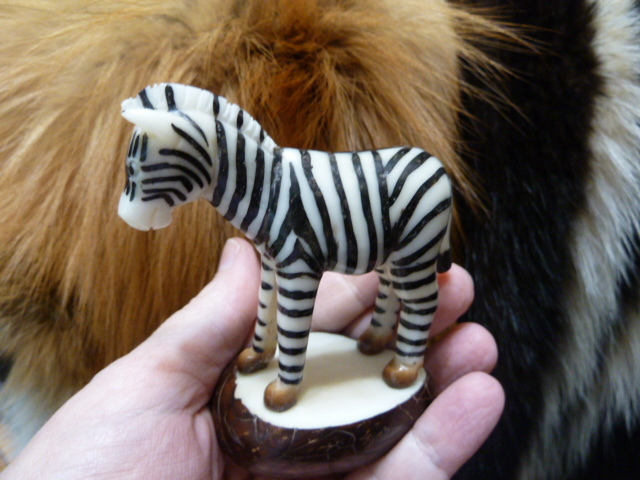 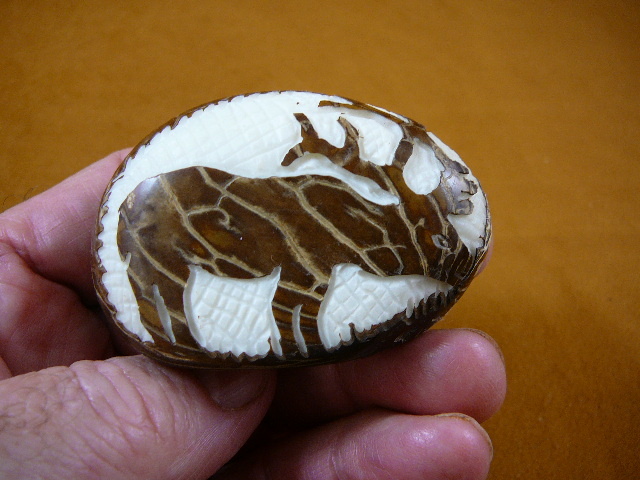 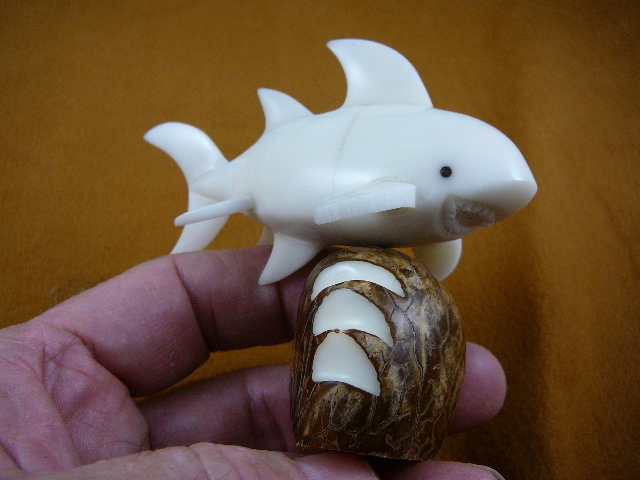 Detailed snow leopard on tagua nut base, 3-5/8" long x 1-1/4" wide x 1-3/4" tall. 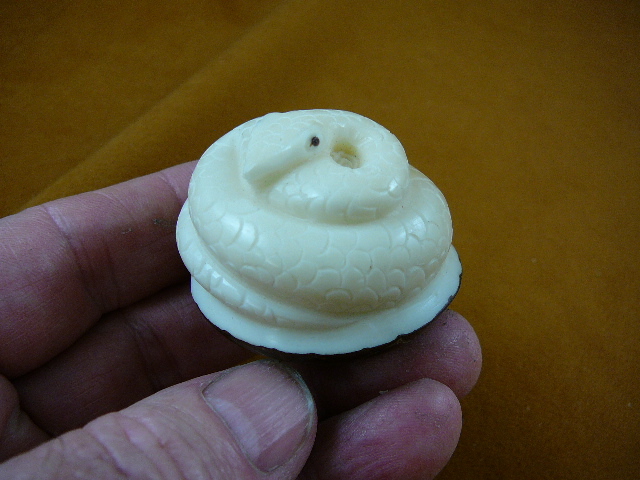 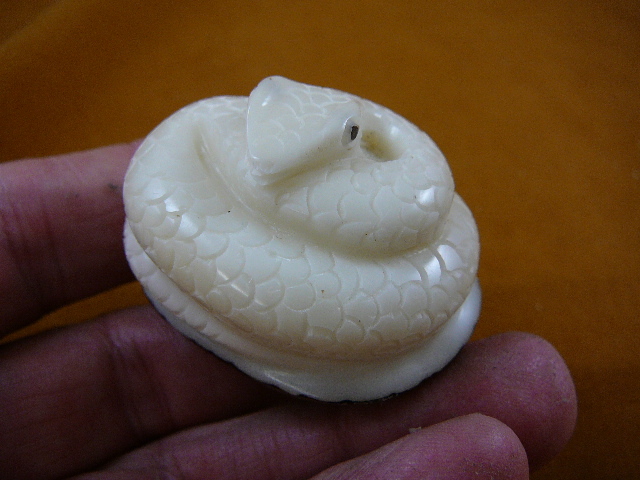 Detailed Coiled snake is 2-1/4"deep x 2" wide x 1-1/2" tall. 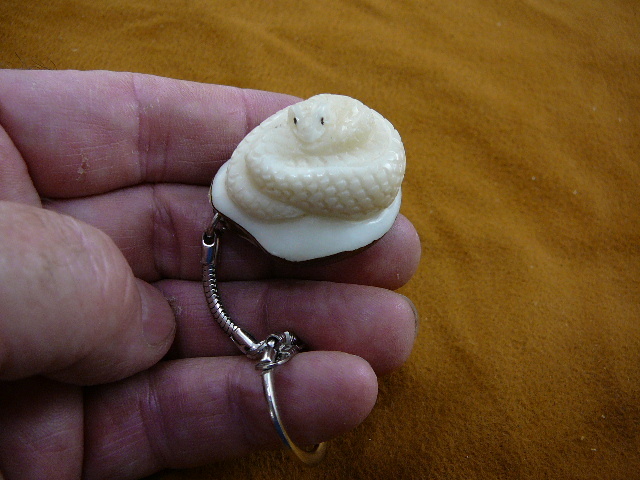 Coiled snake keychain, about 1-1/2" wide. 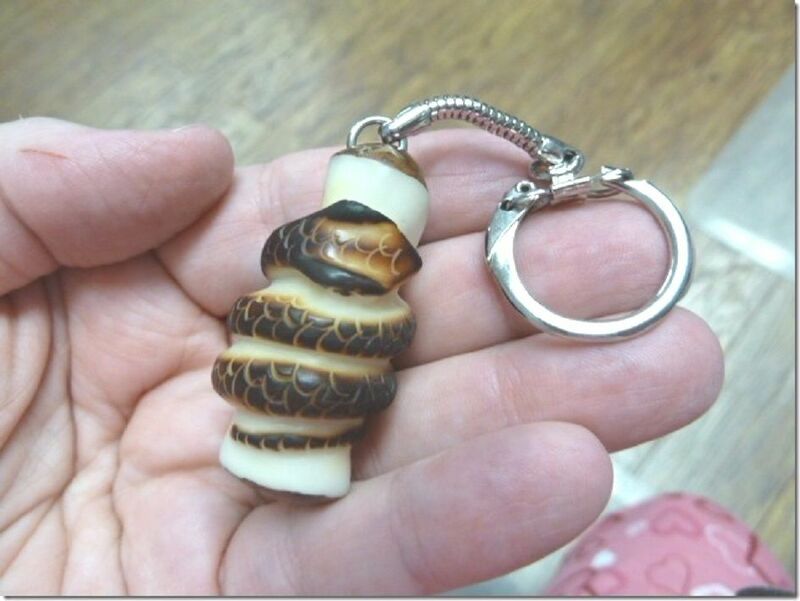 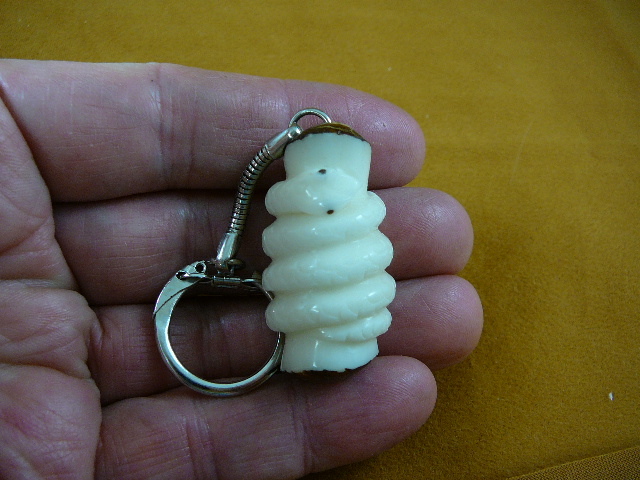 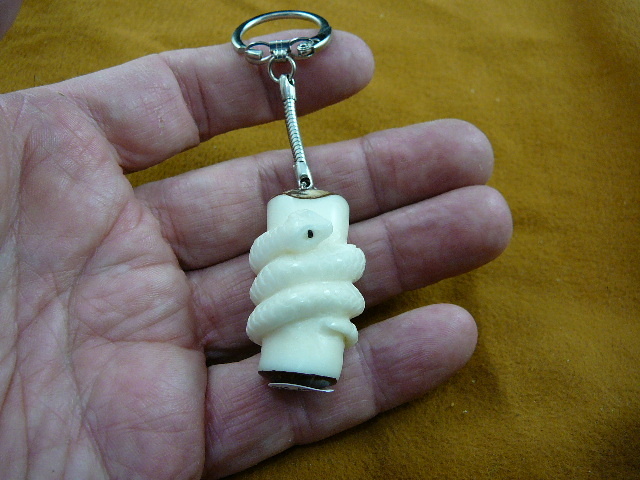 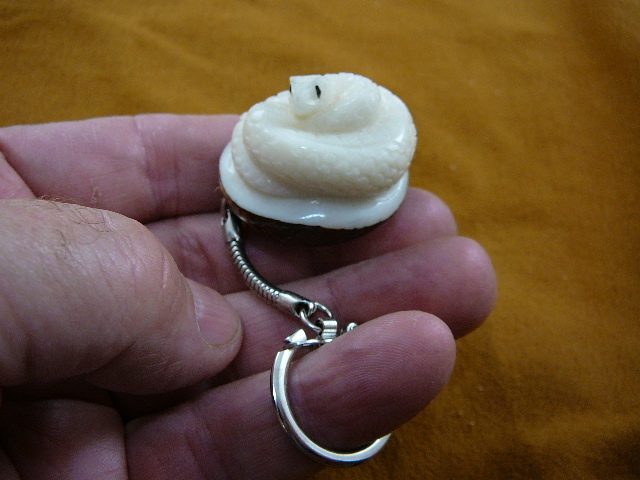 Coiled snake keychain, nut is 1" long x 7/8" wide x 1-3/4" tall. 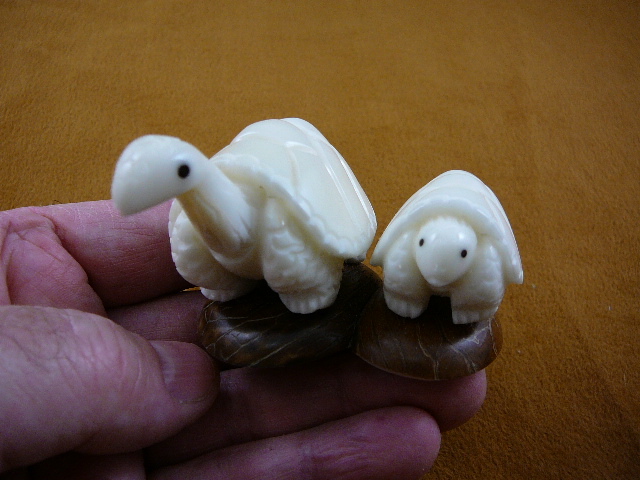 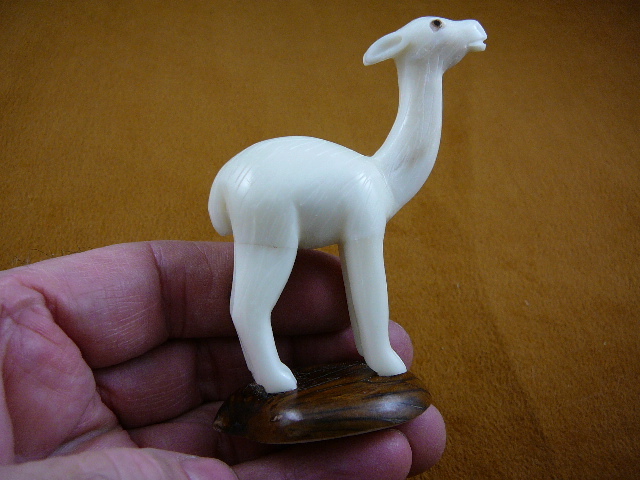 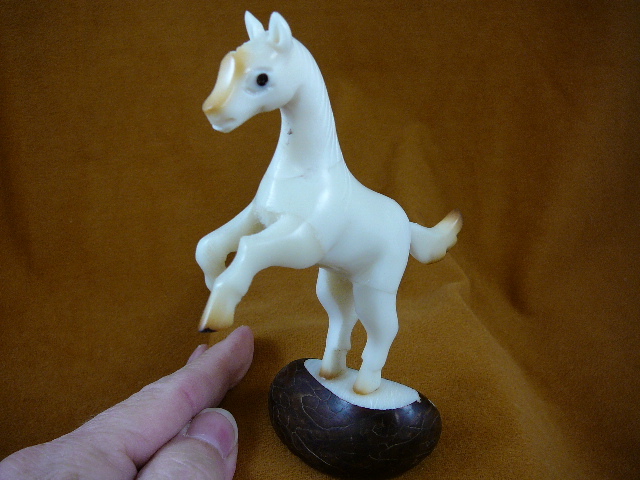 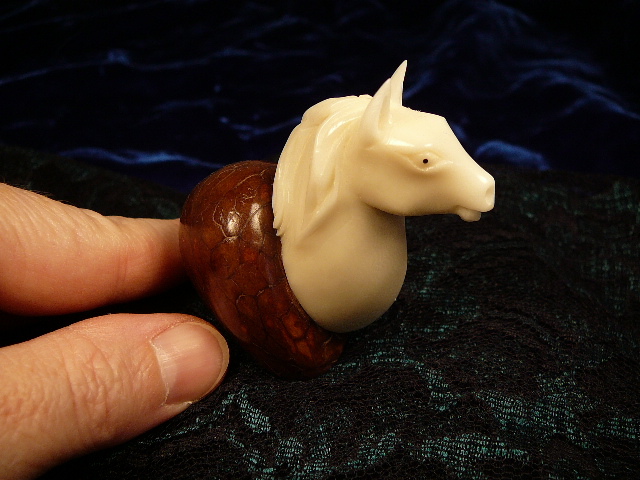 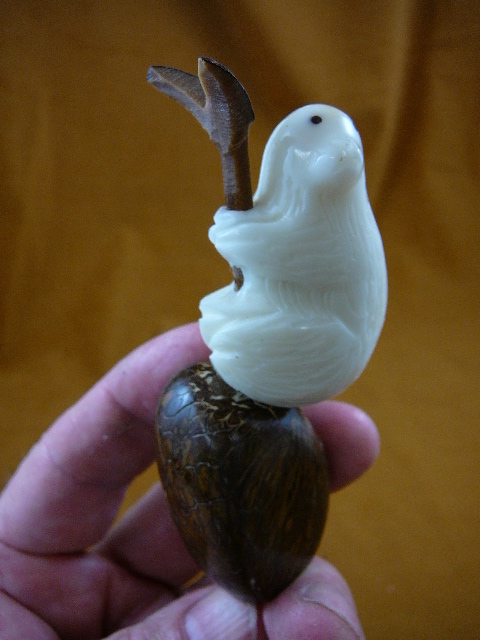 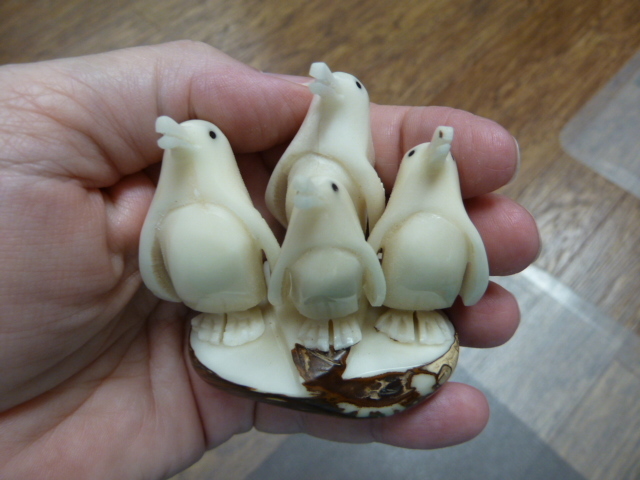 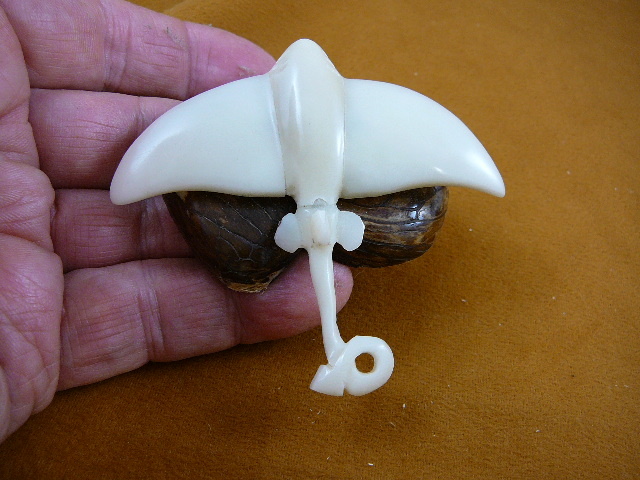 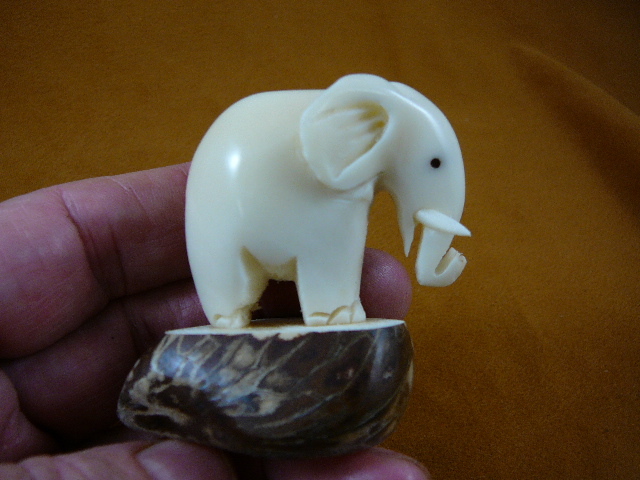 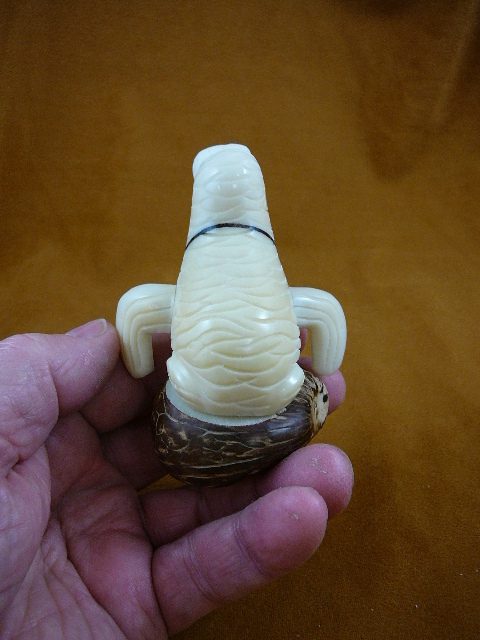 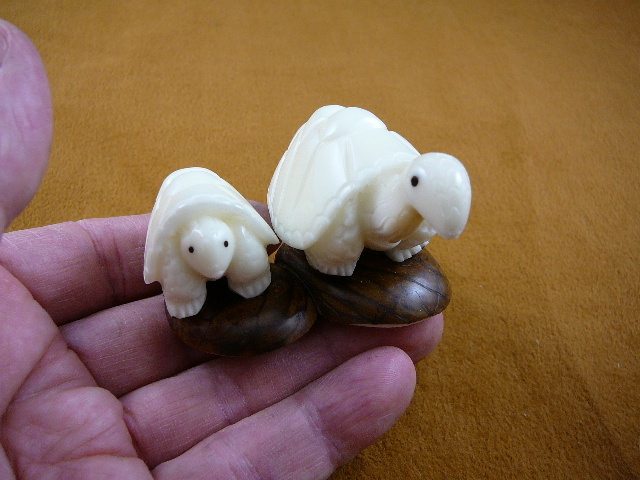 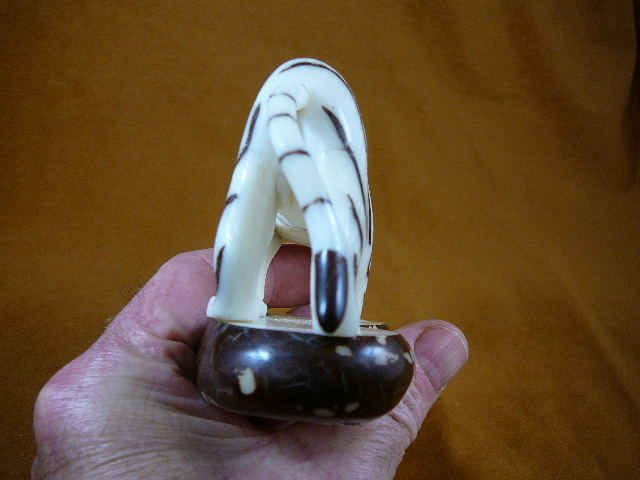 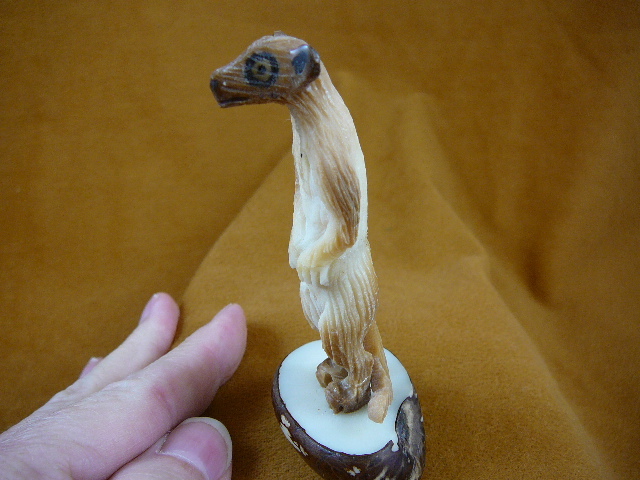 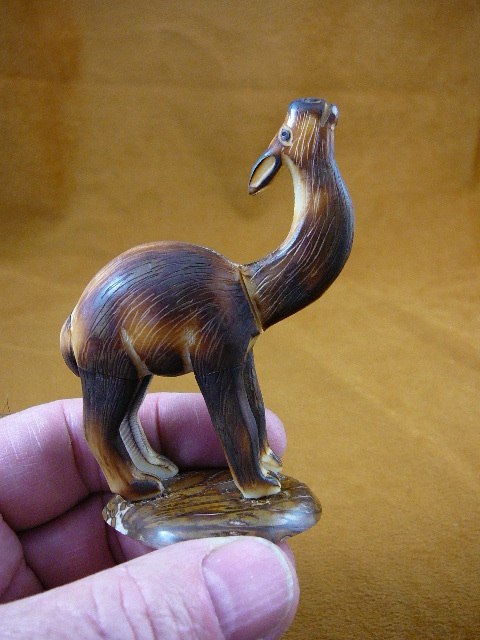 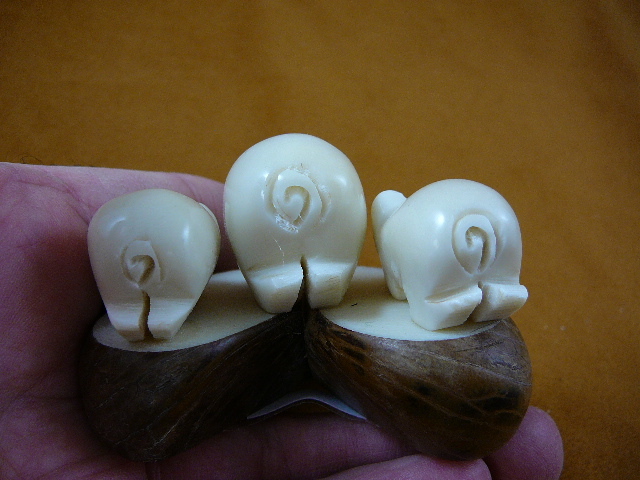 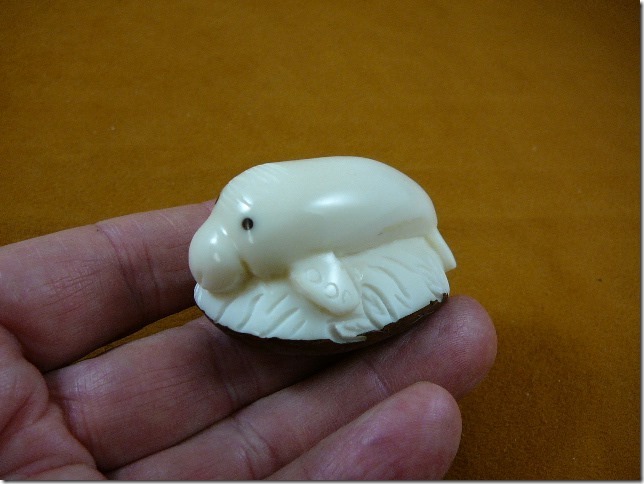 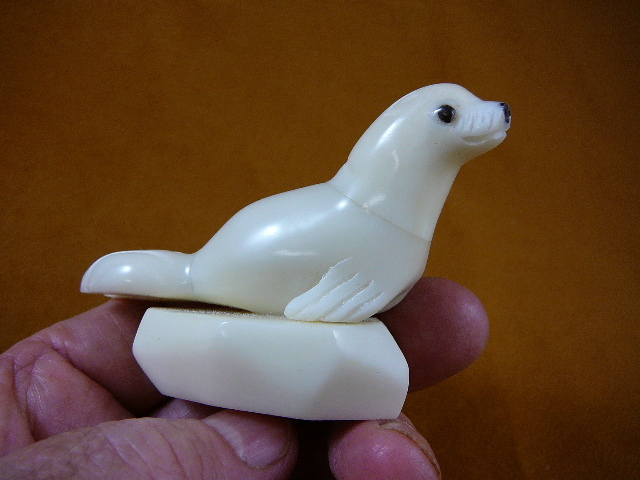 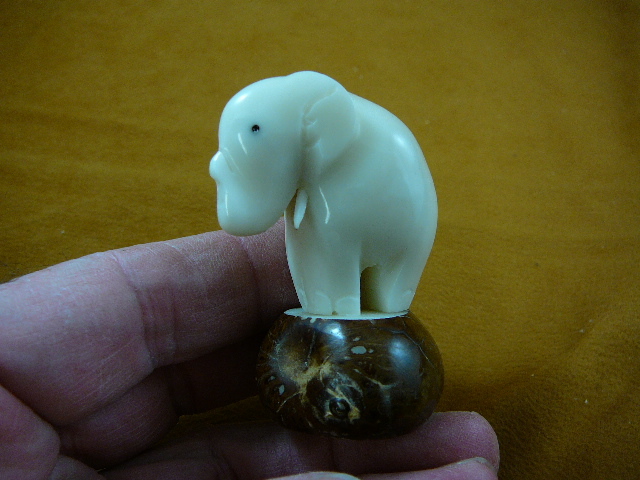 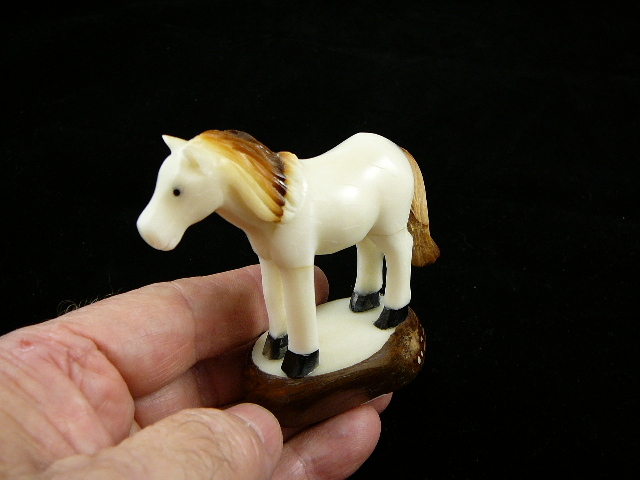 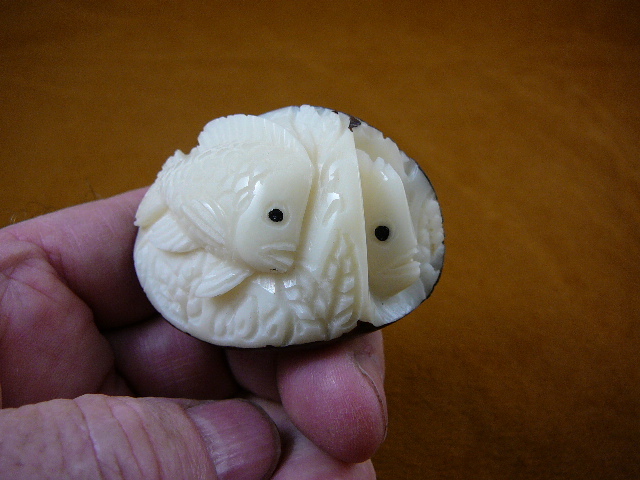 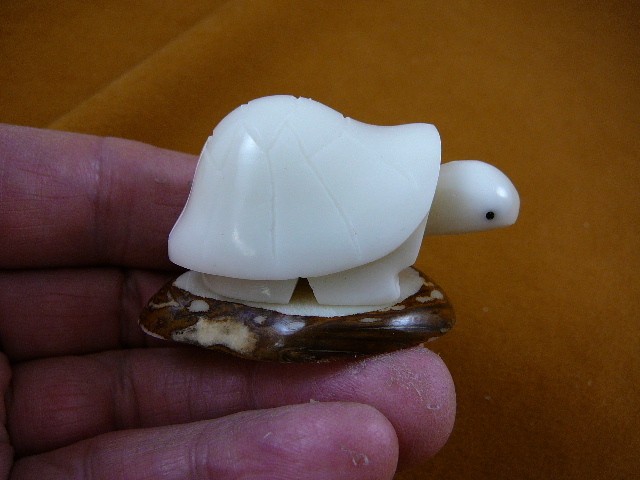 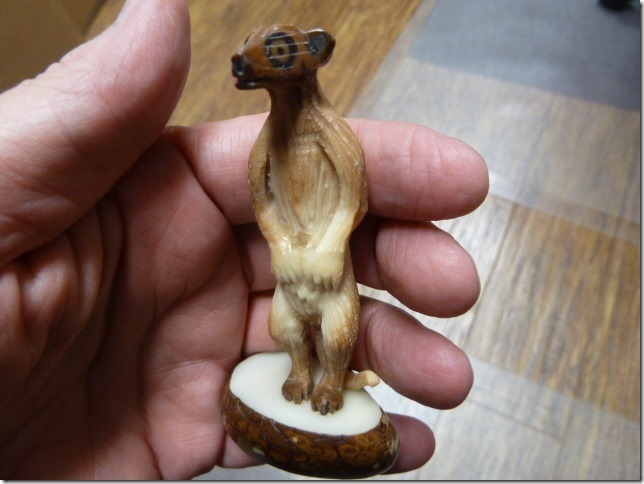 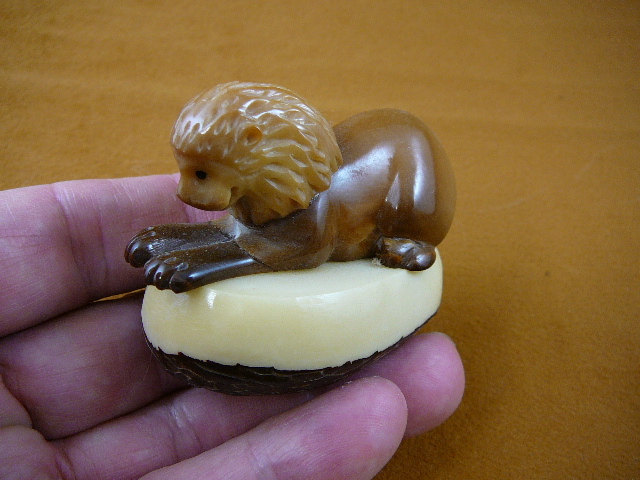 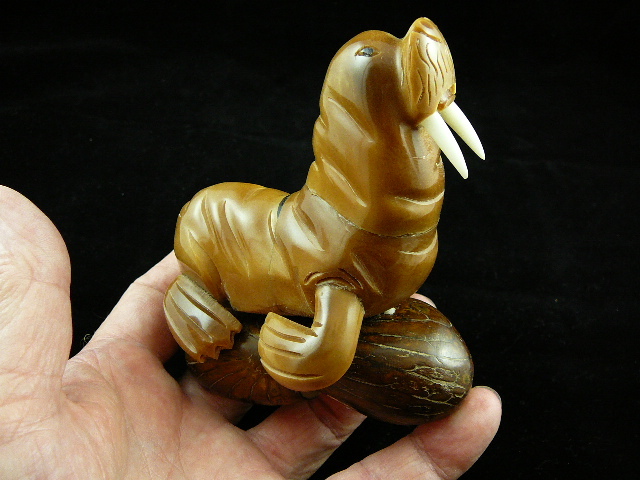 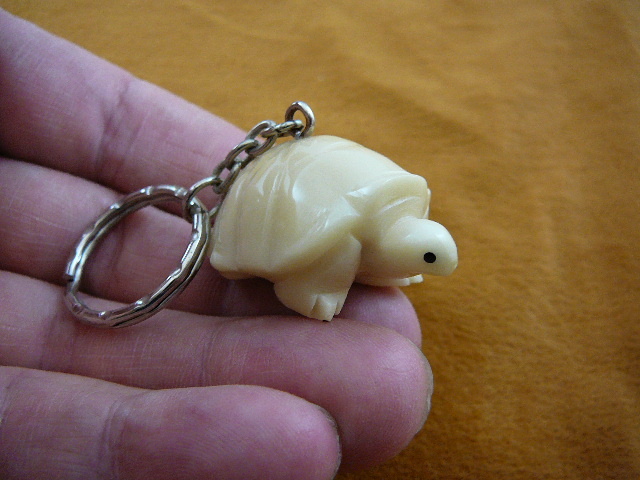 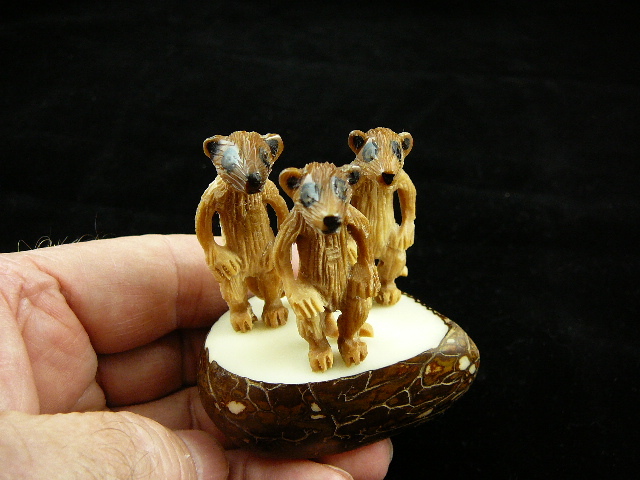 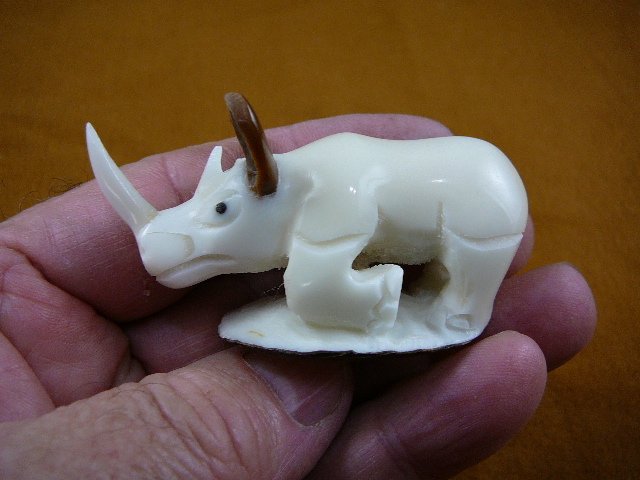 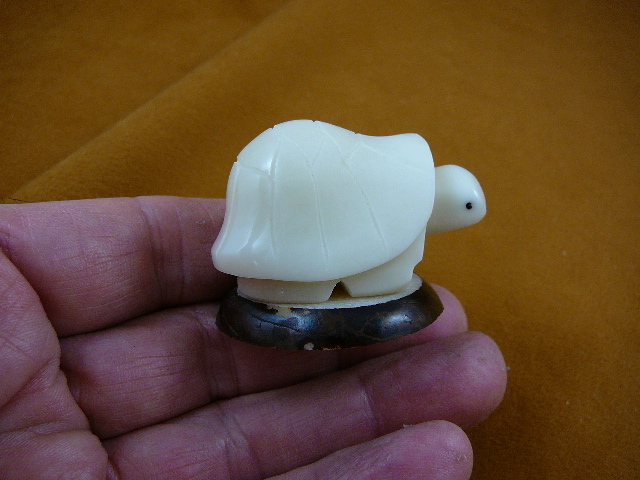 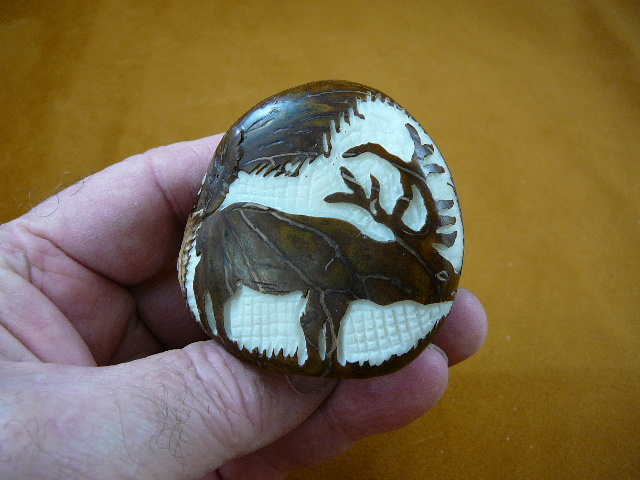 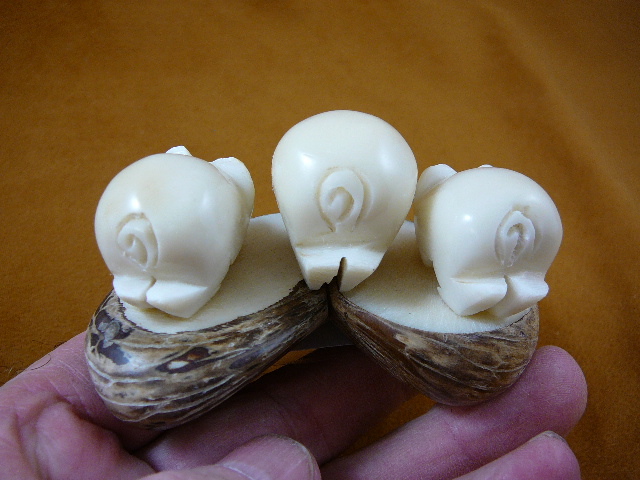 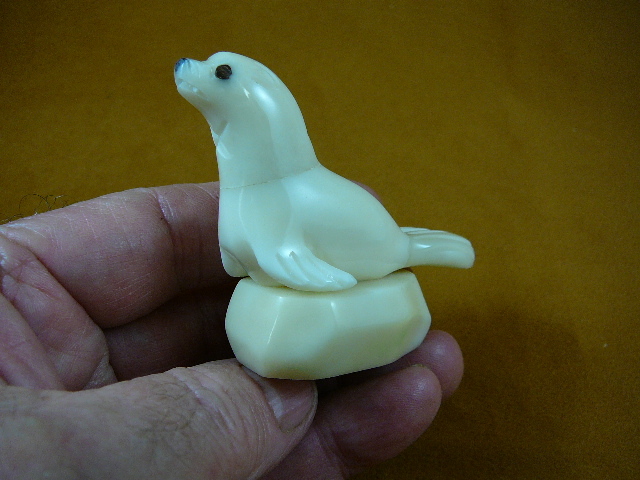 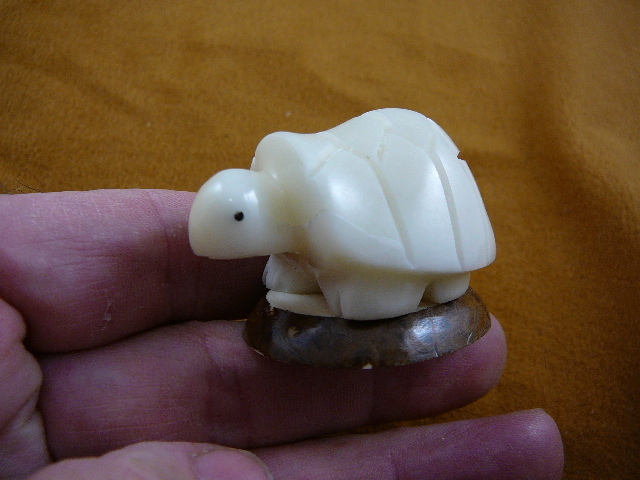 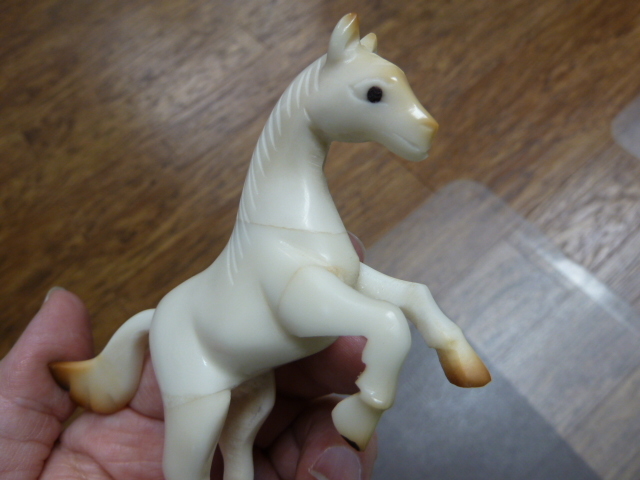 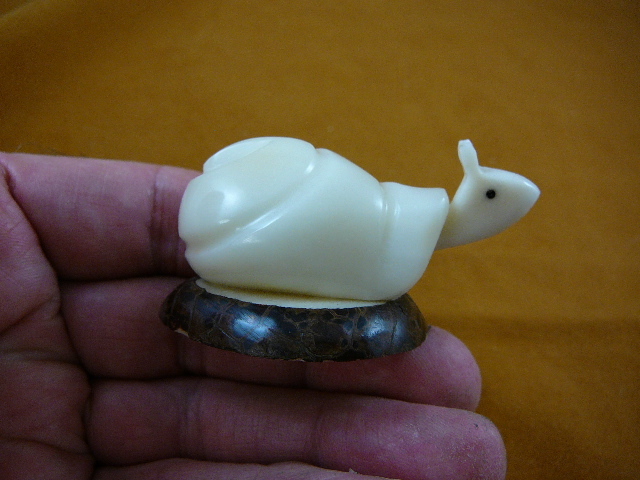 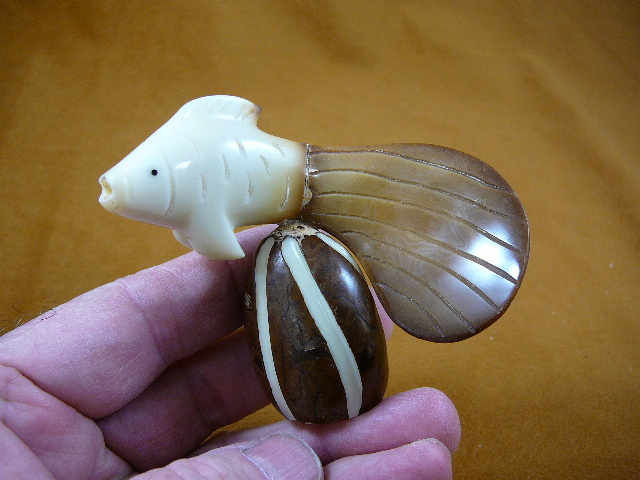 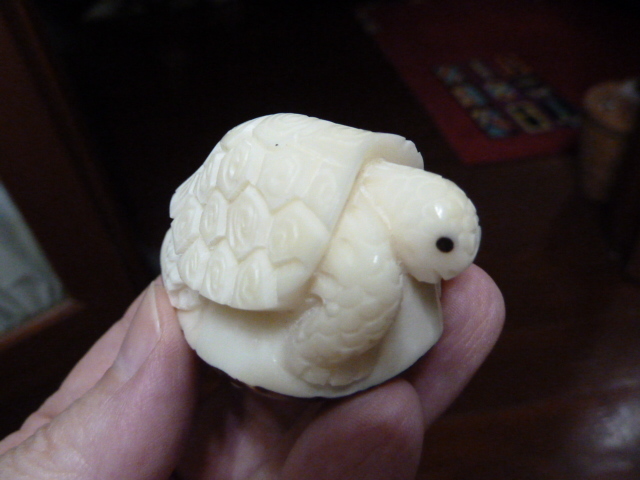 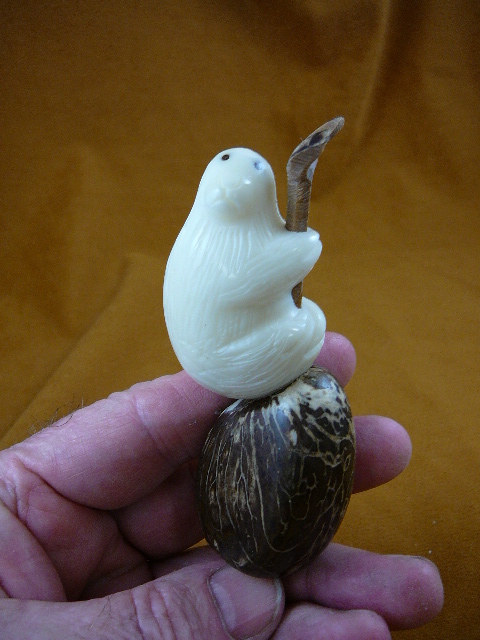 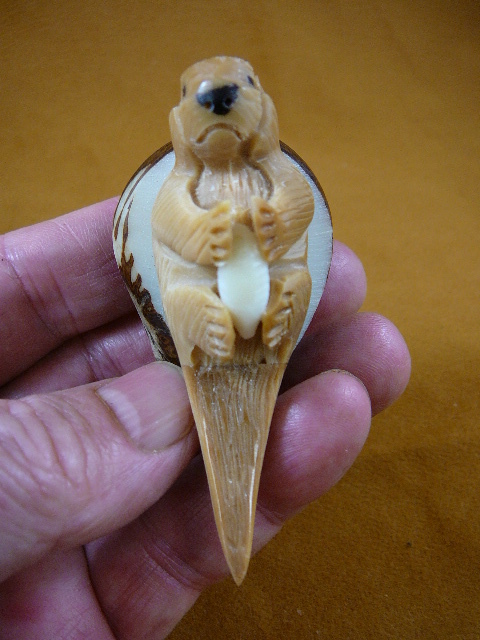 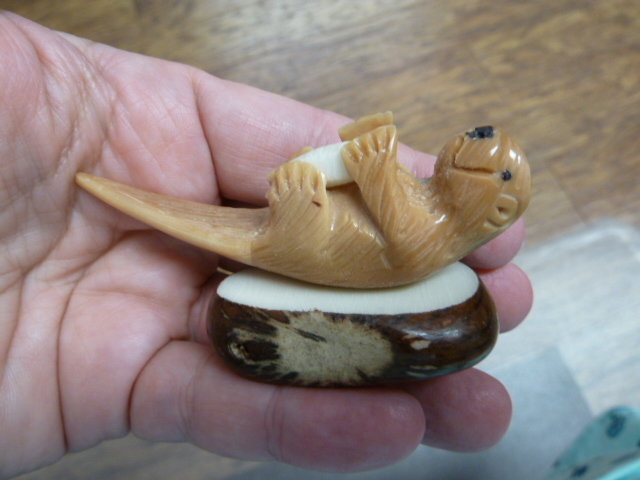 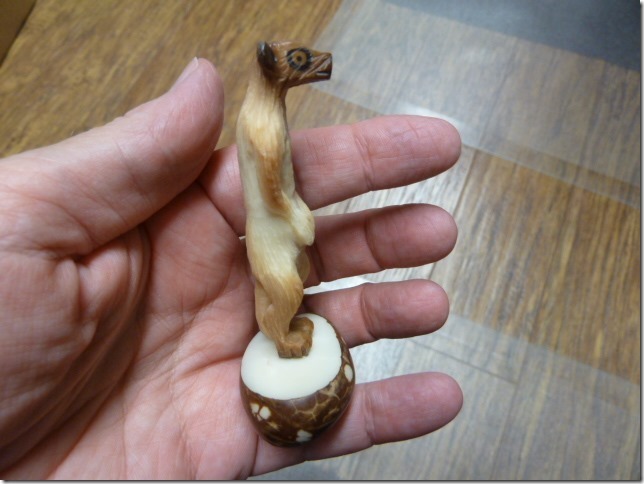 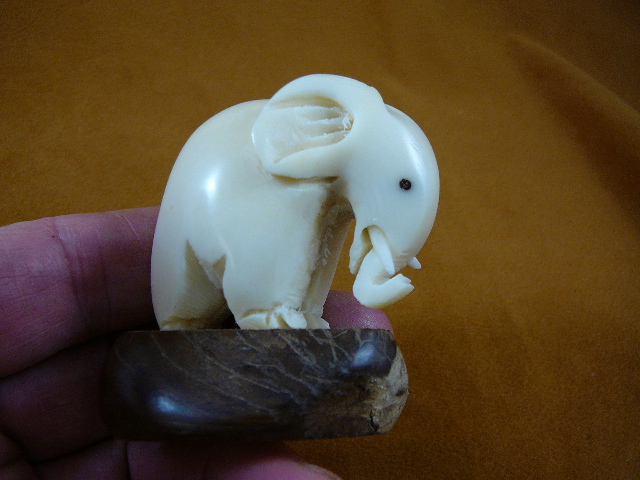 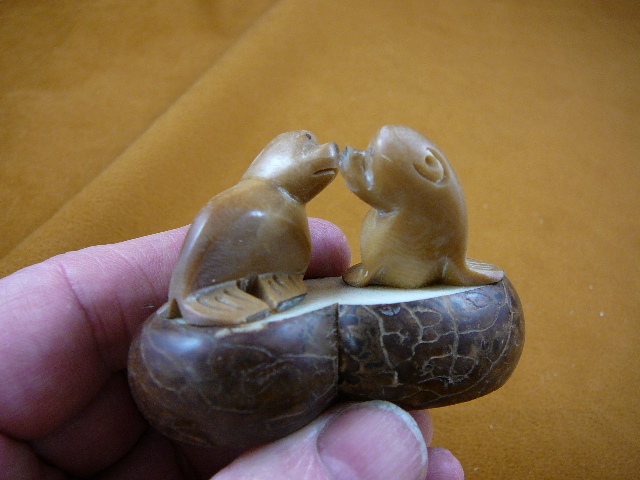 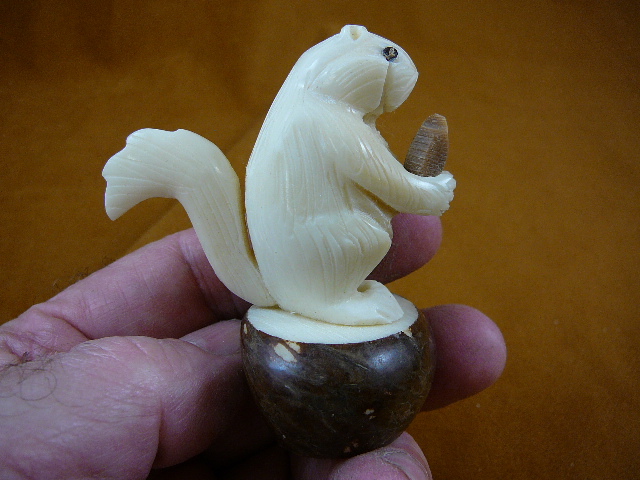 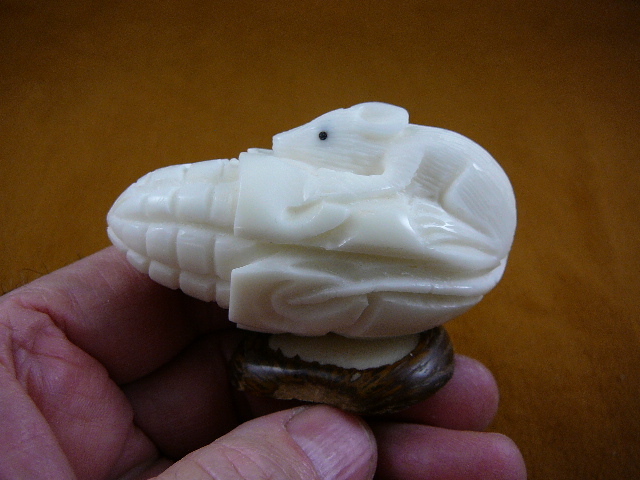 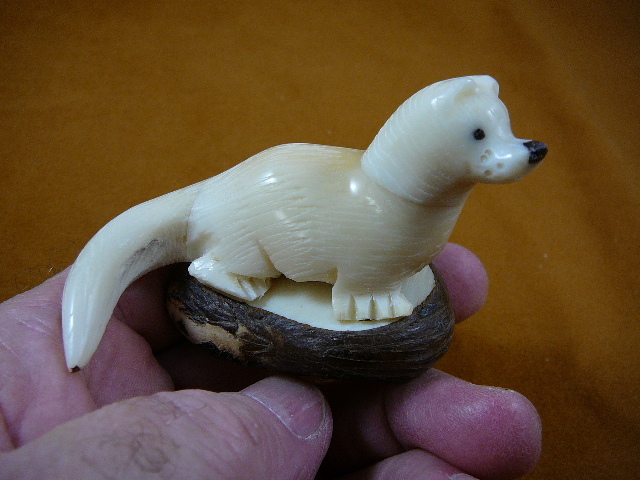 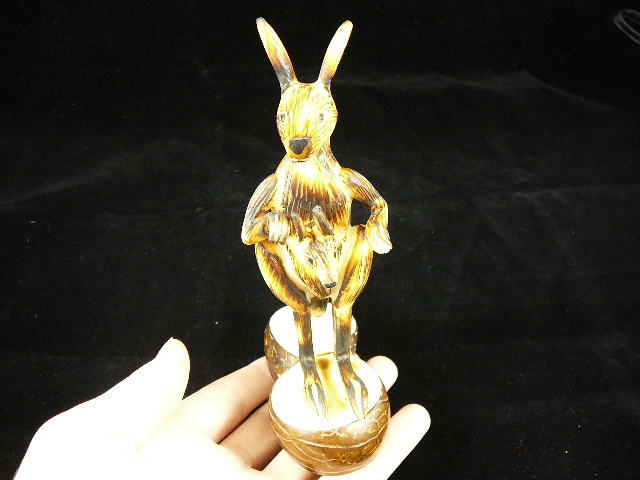 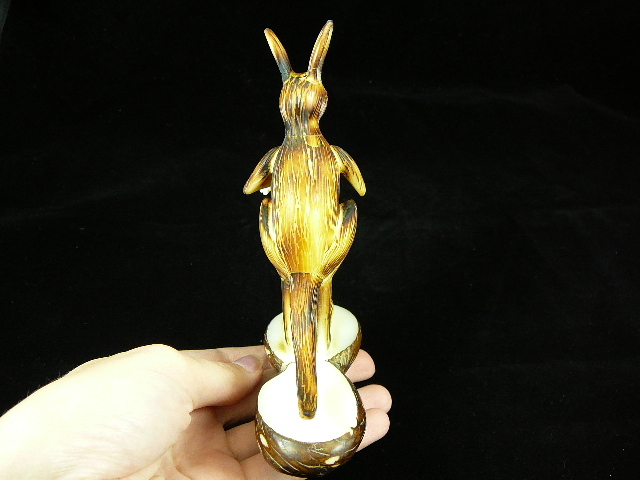 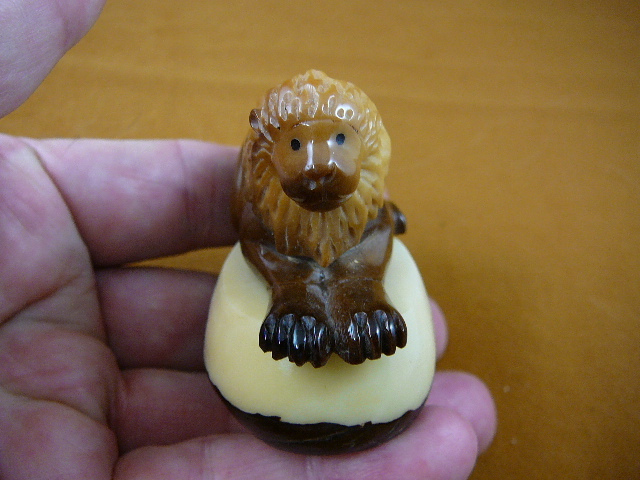 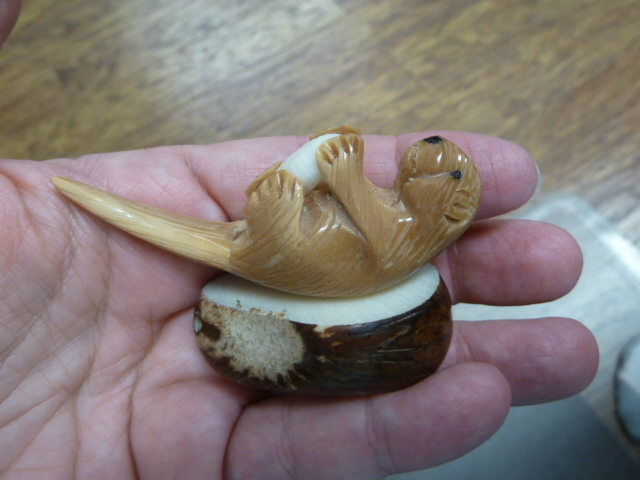 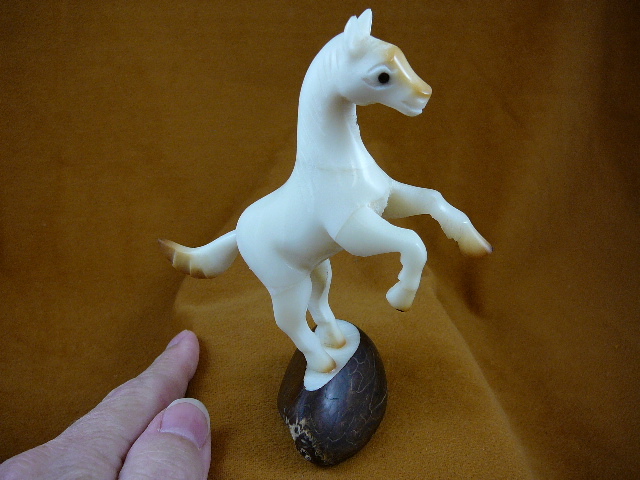 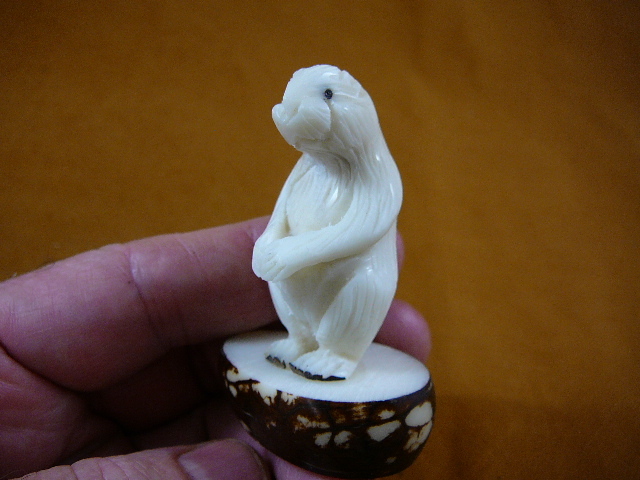 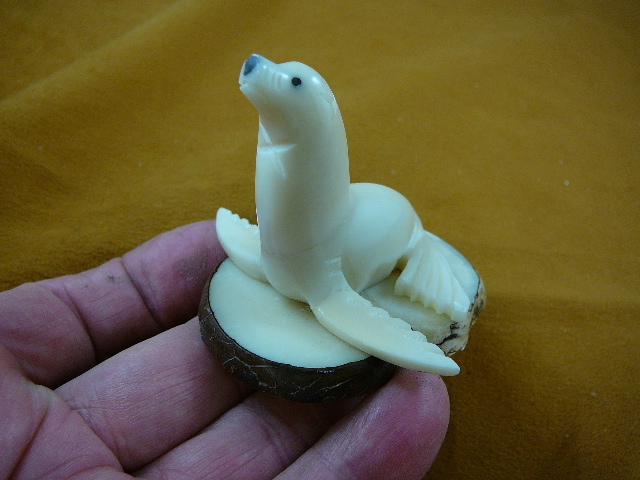 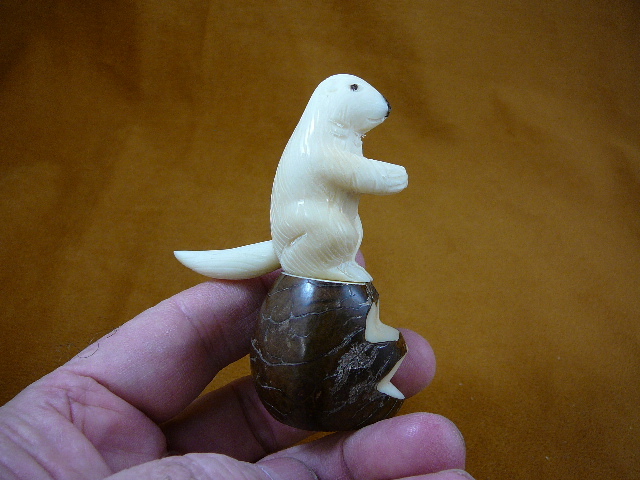 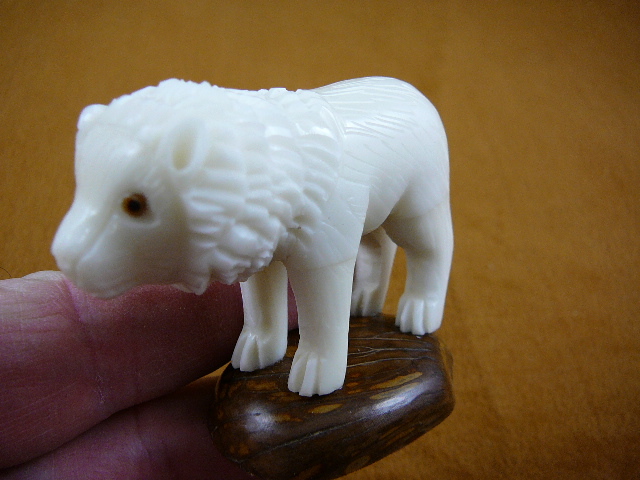 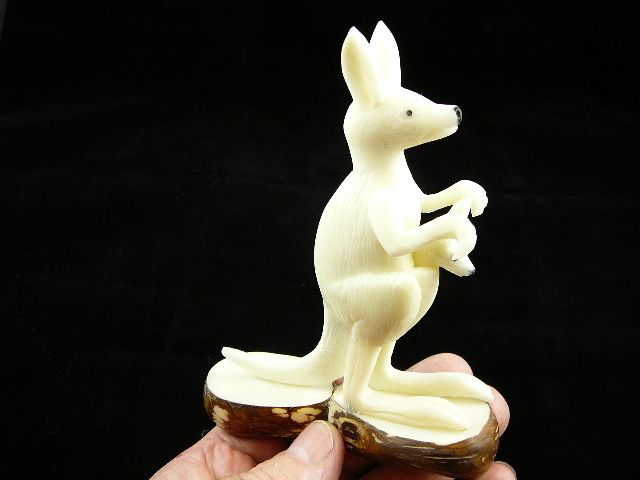 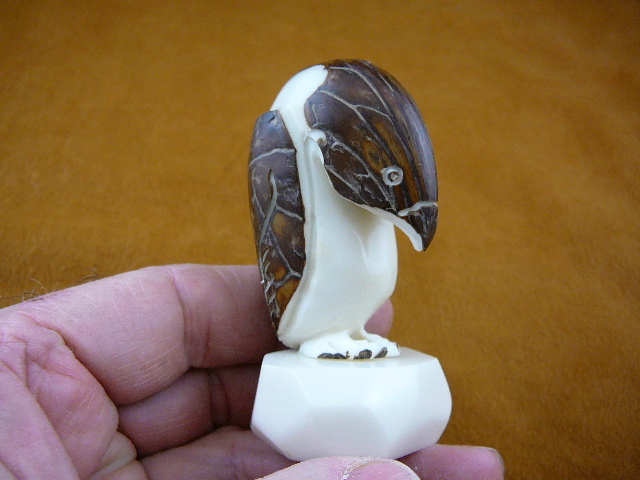 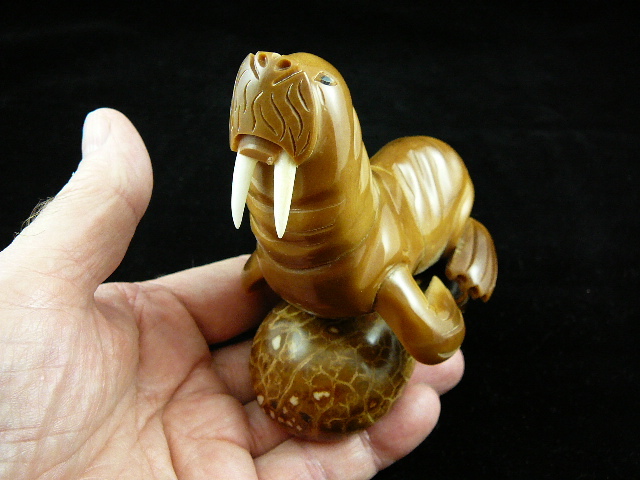 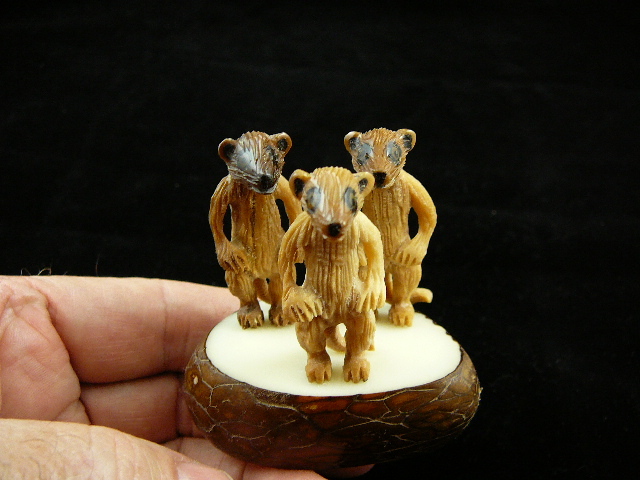 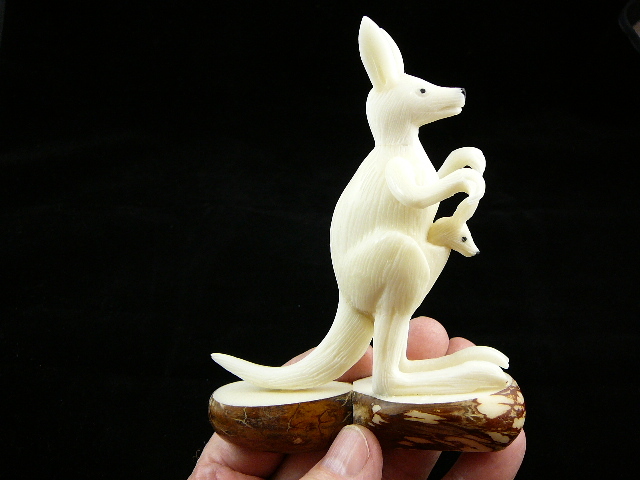 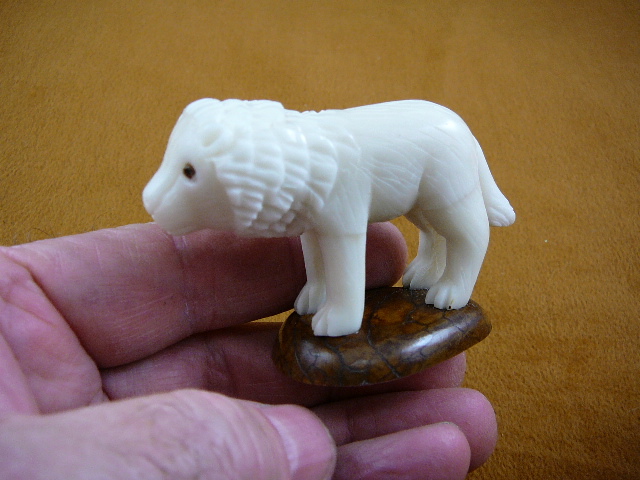 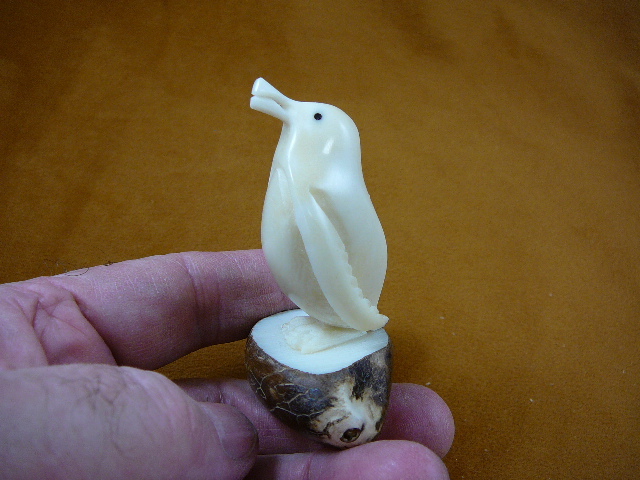 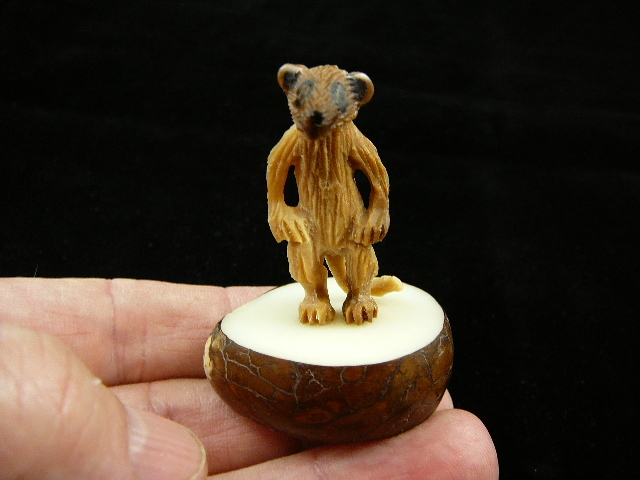 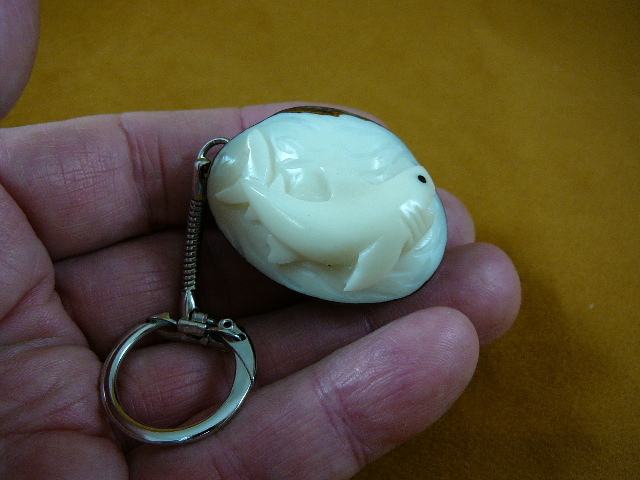 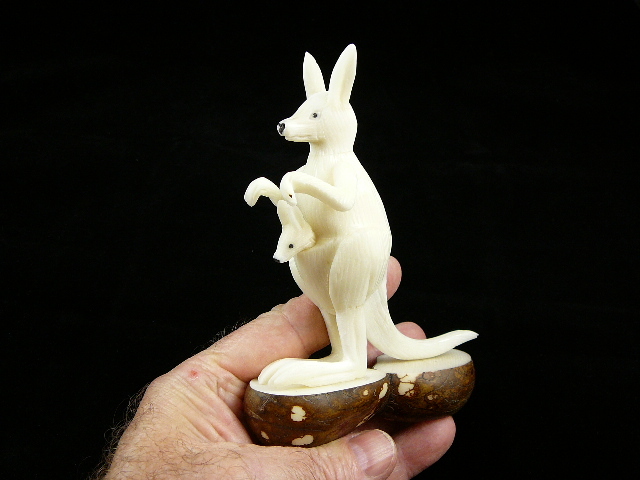 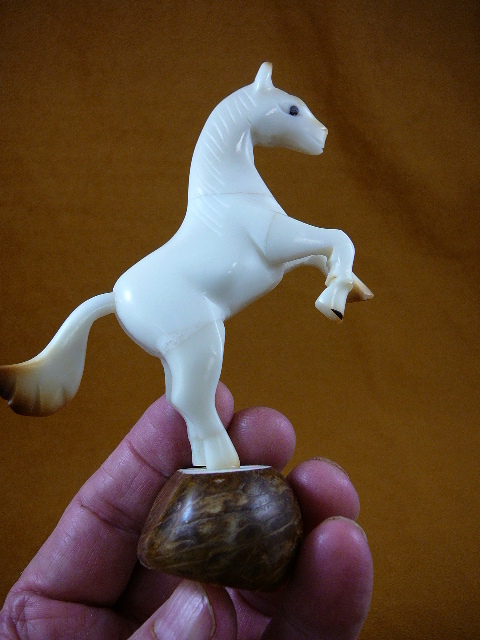 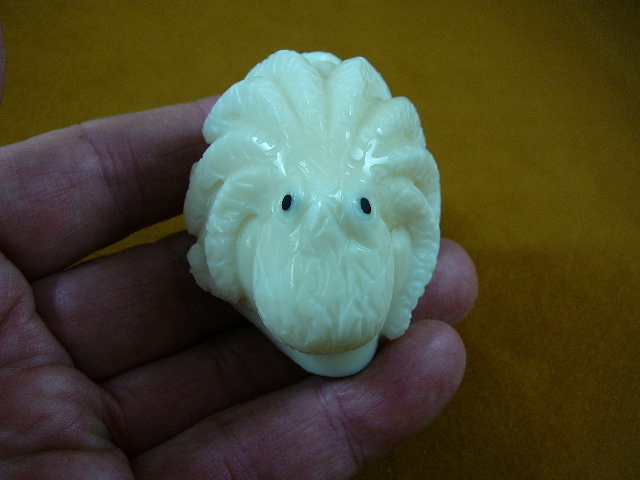 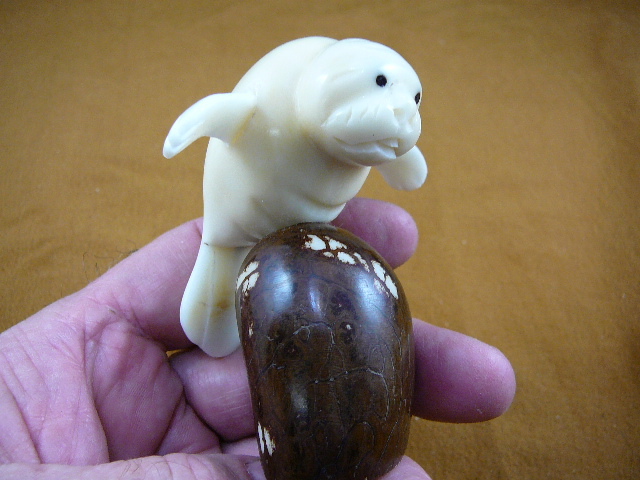 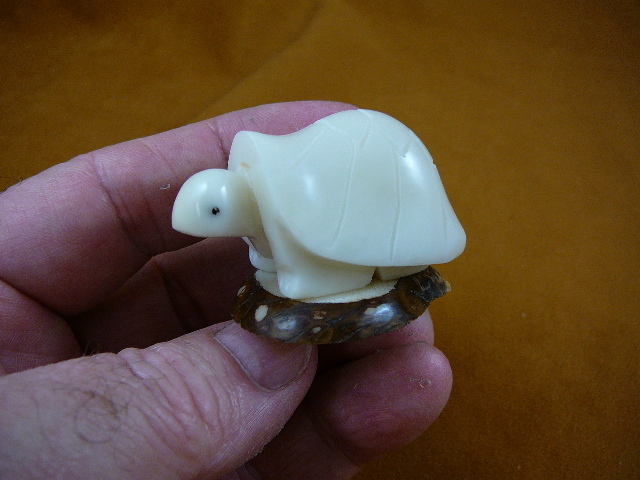 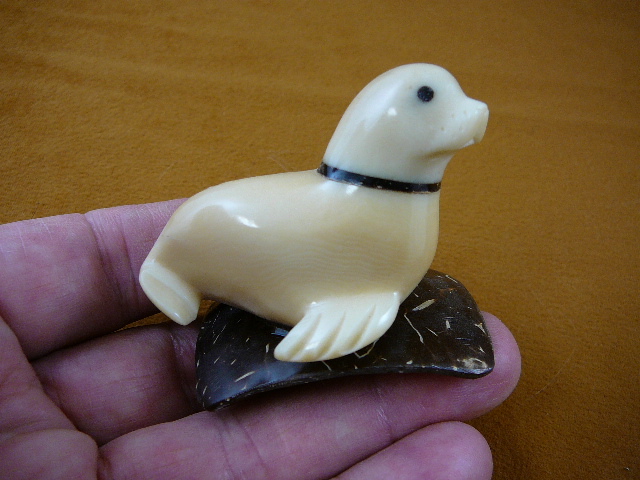 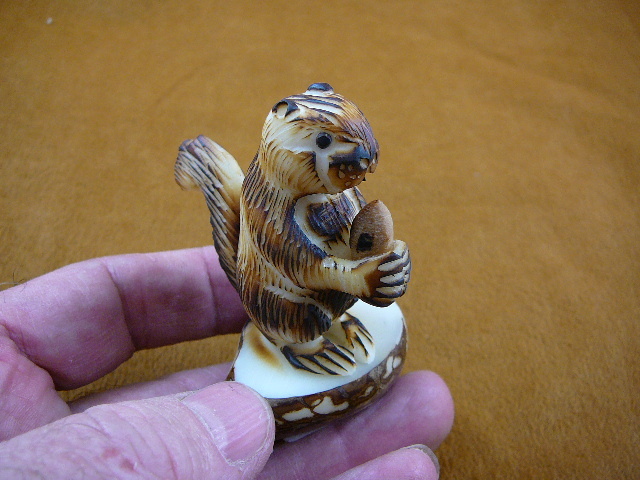 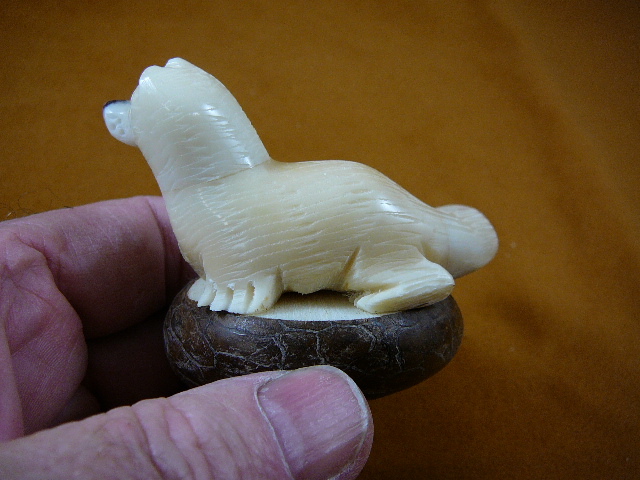 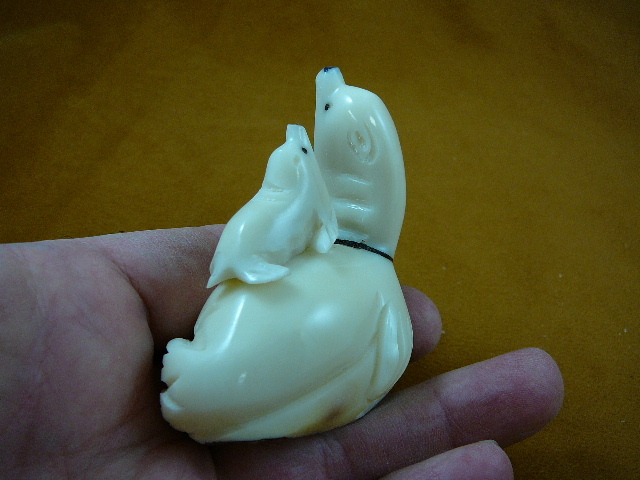 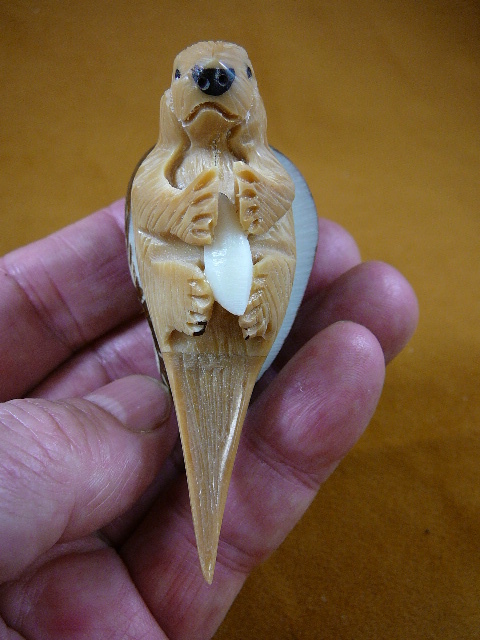 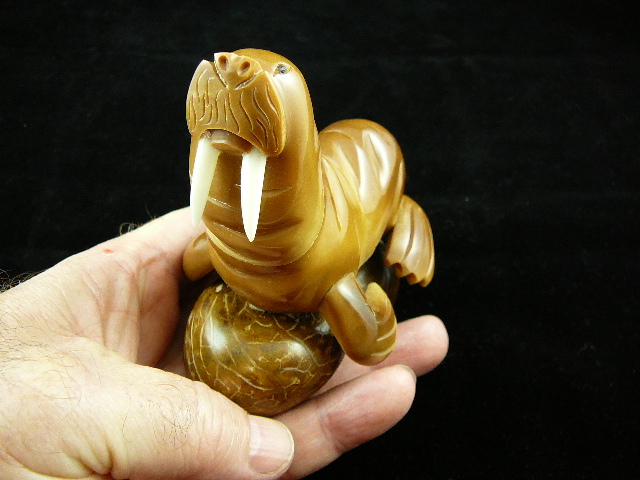 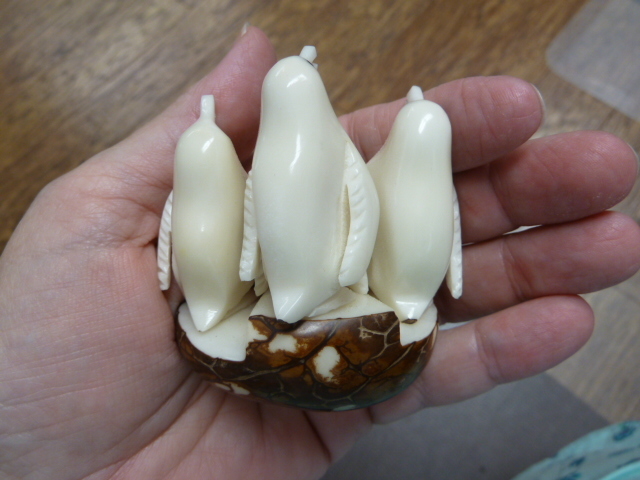 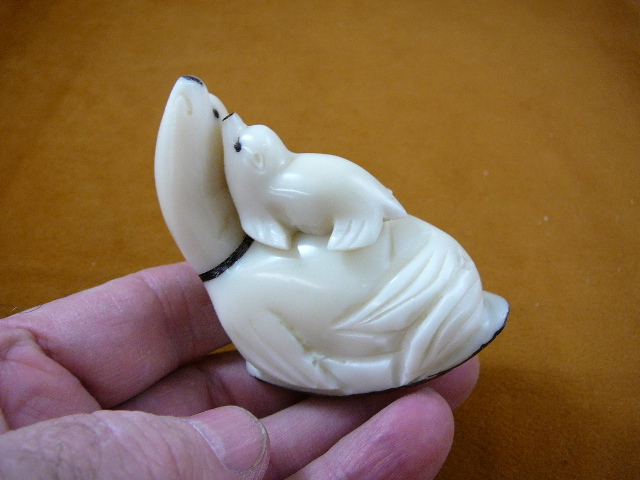 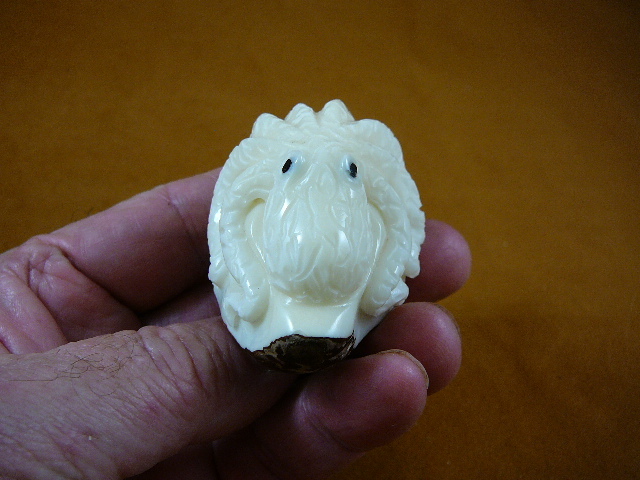 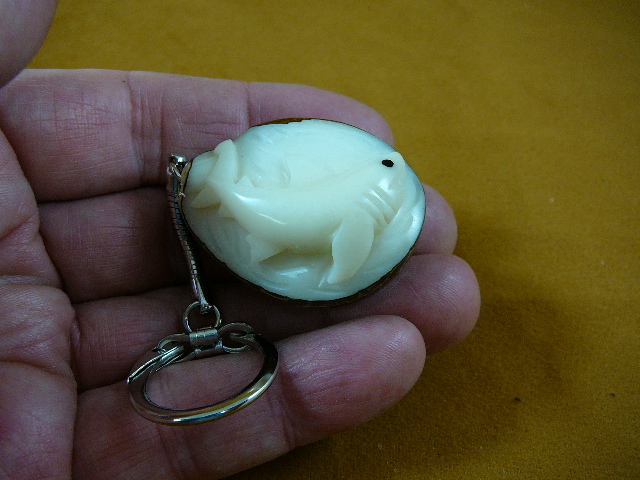 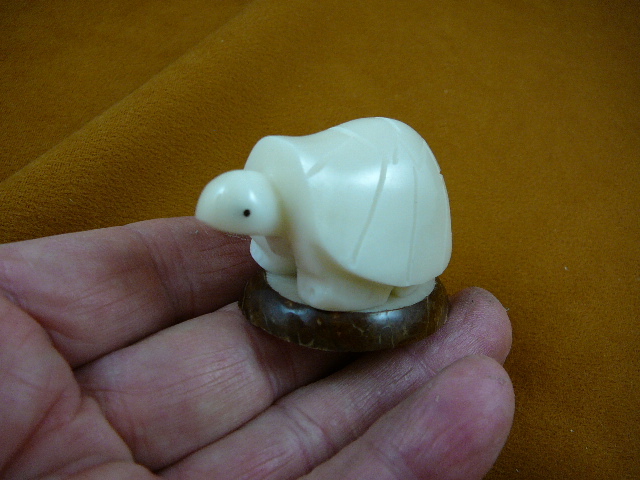 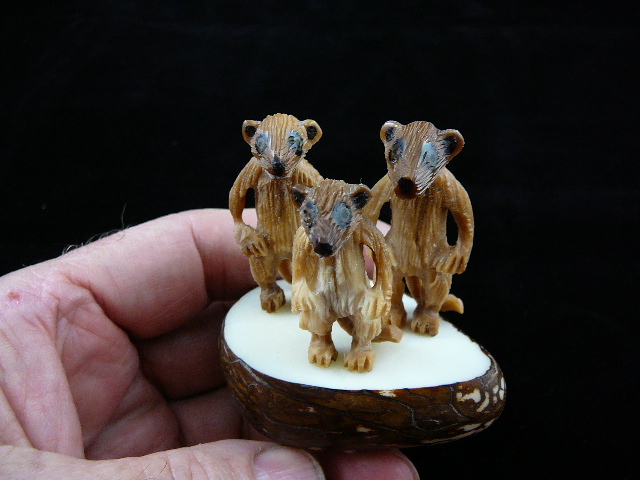 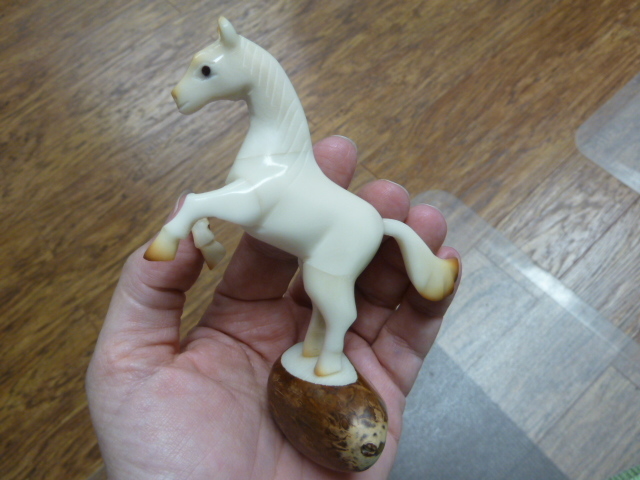 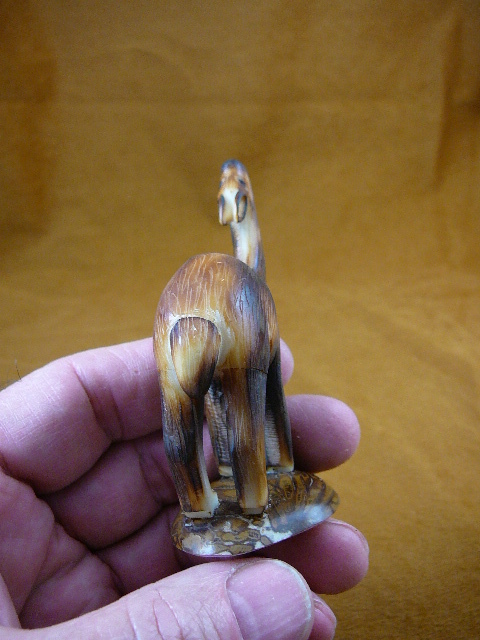 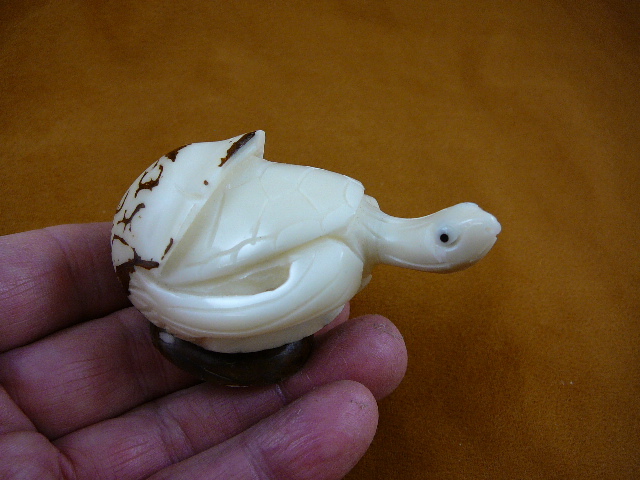 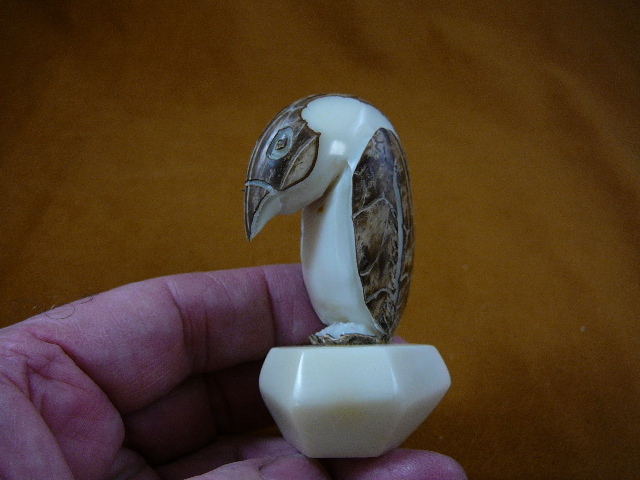 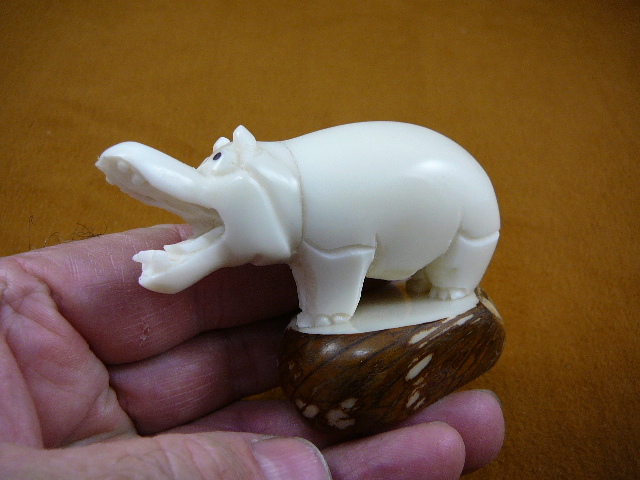 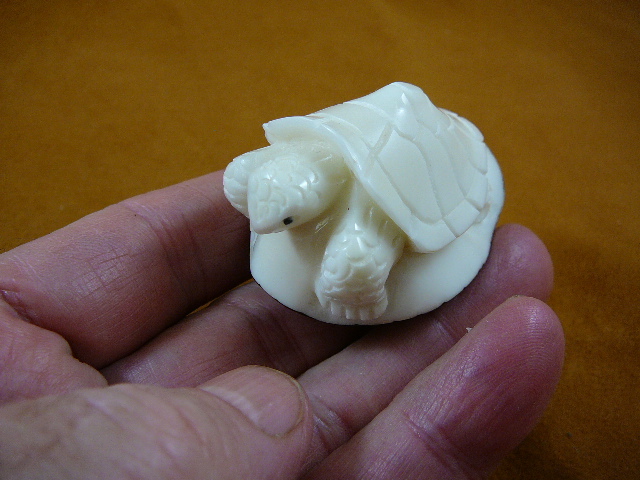 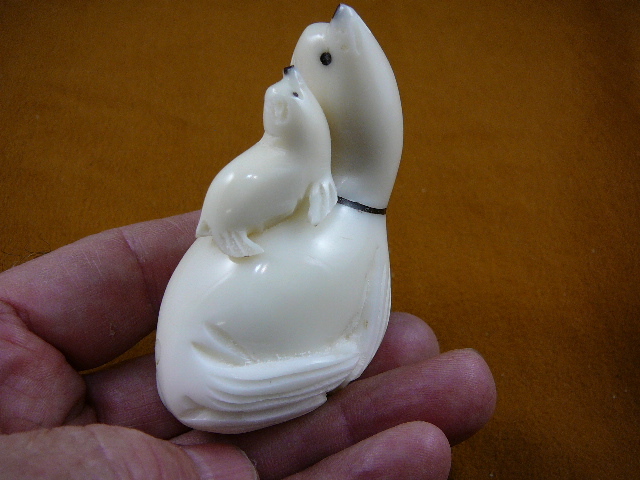 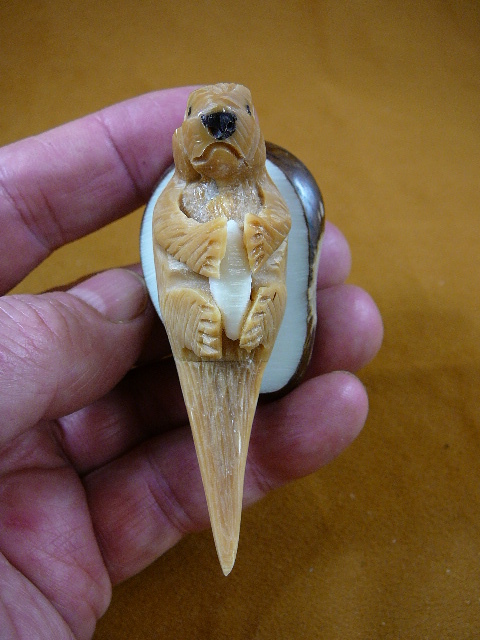 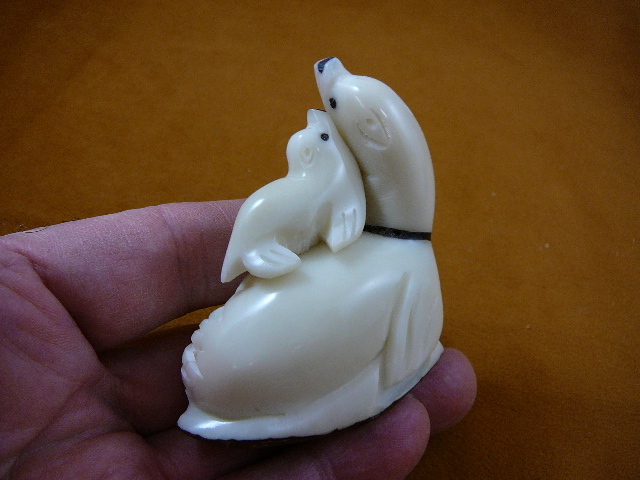 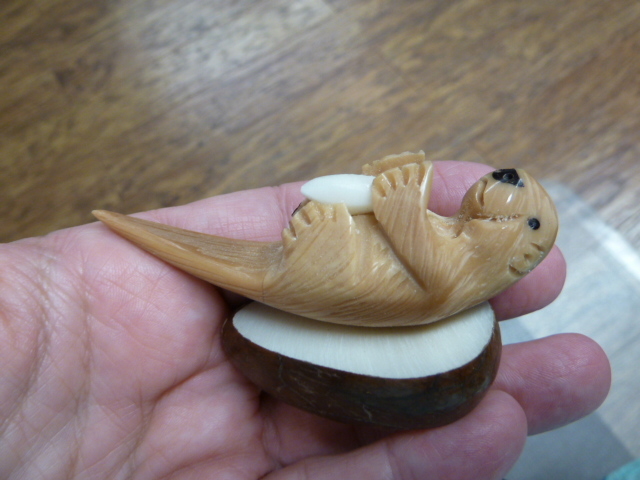 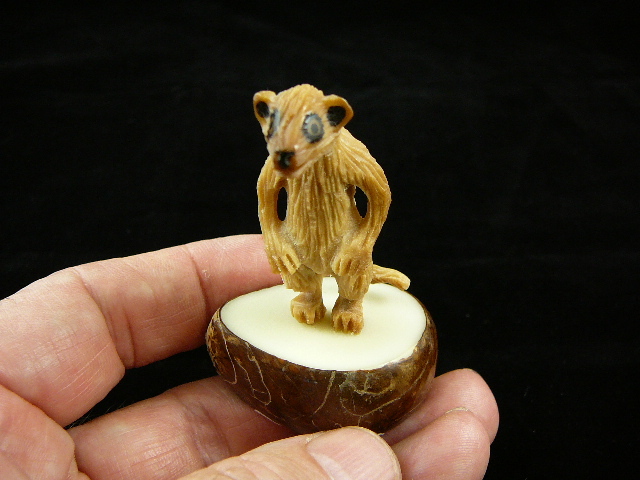 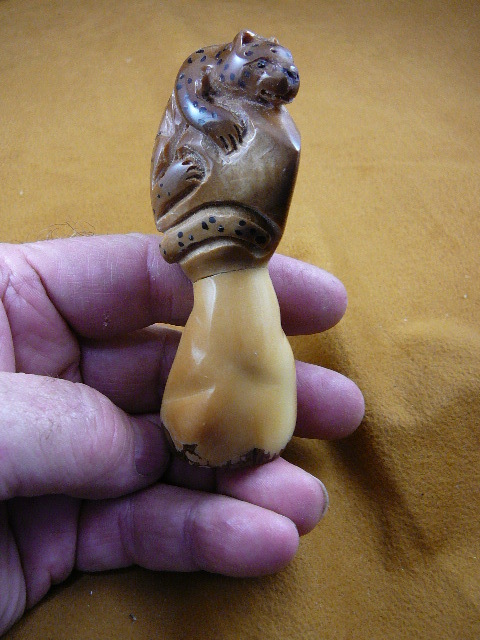 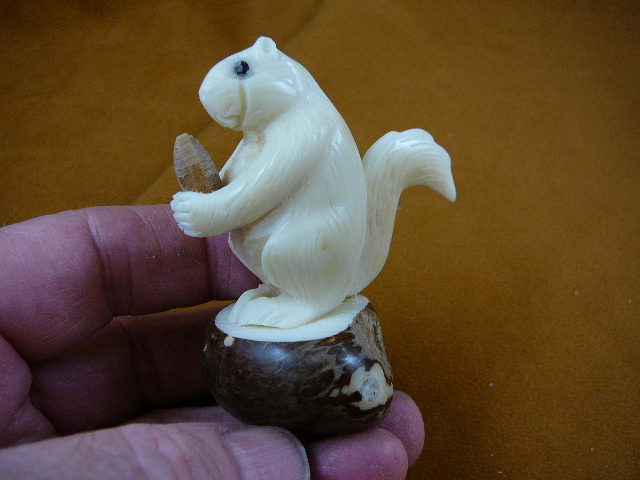 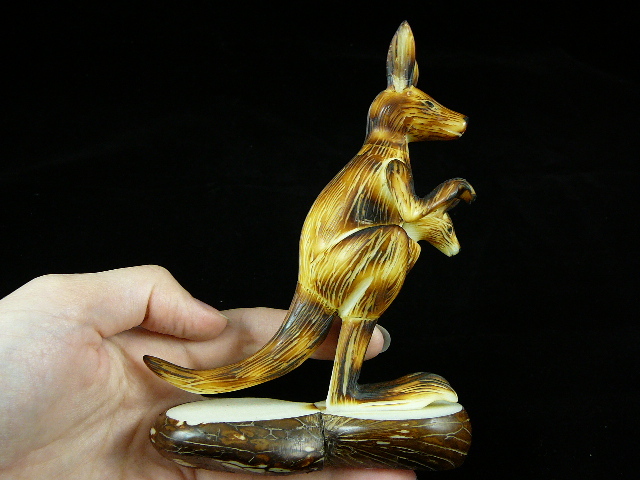 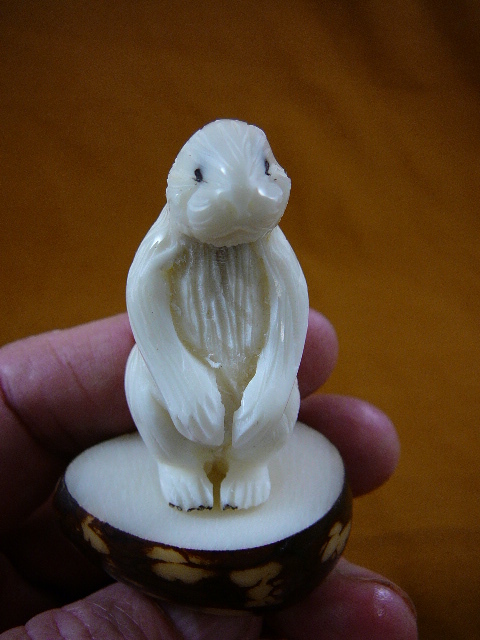 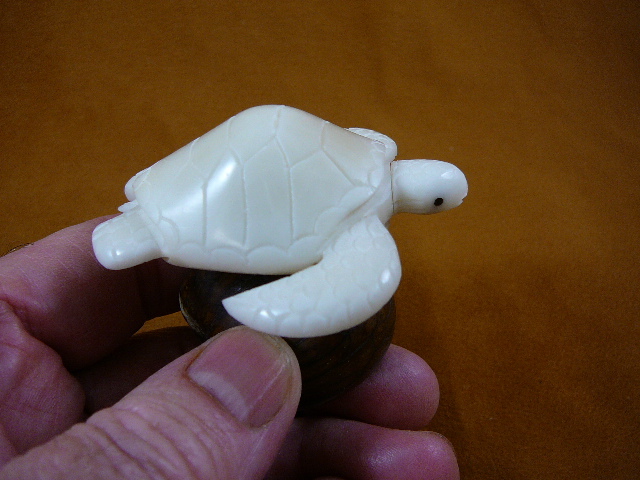 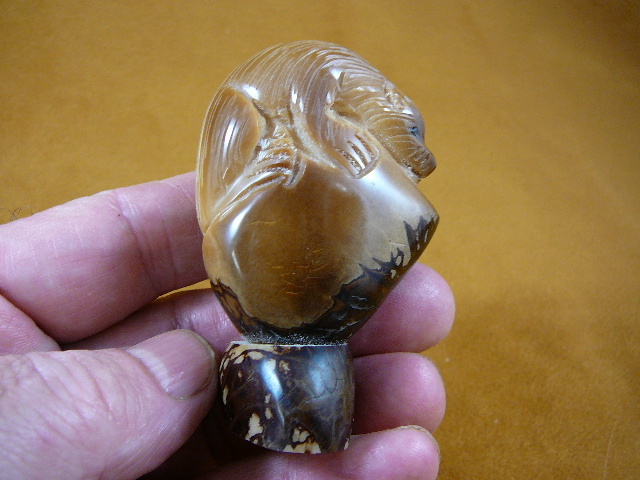 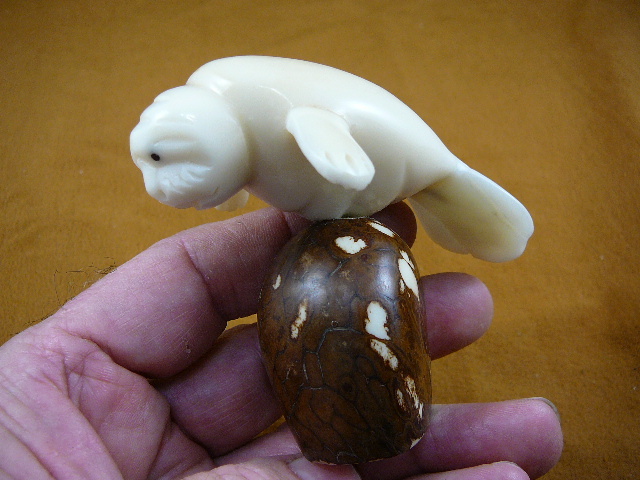 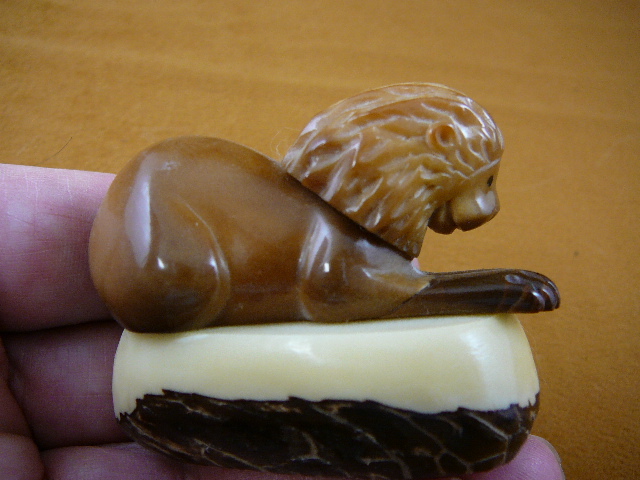 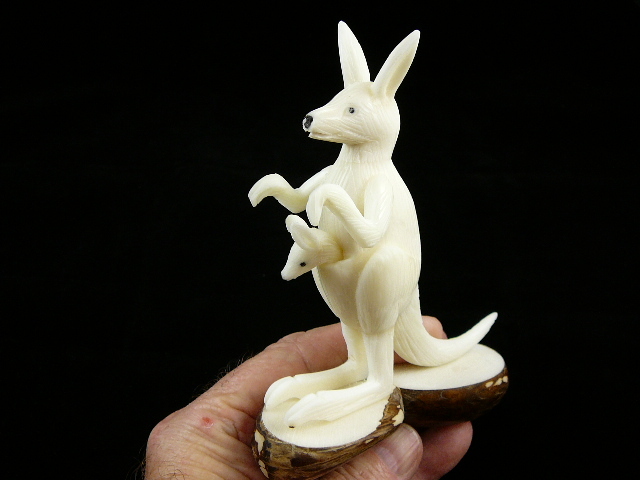 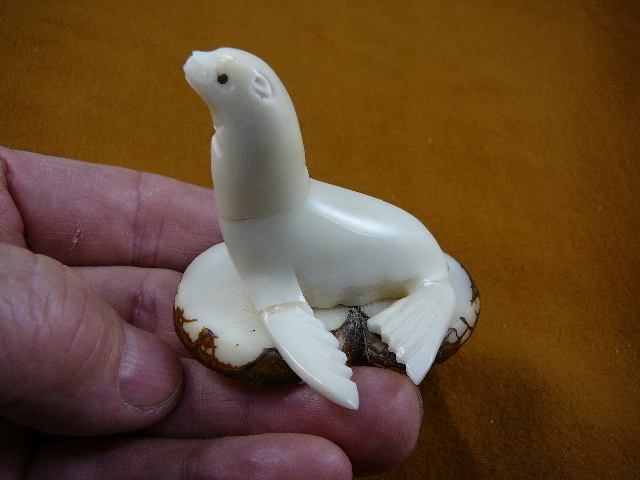 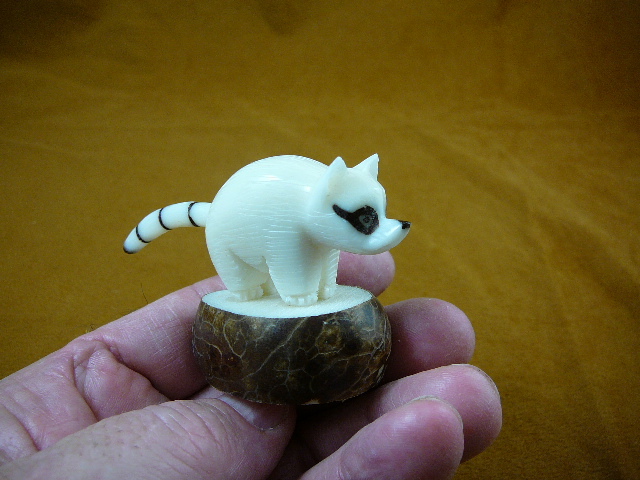 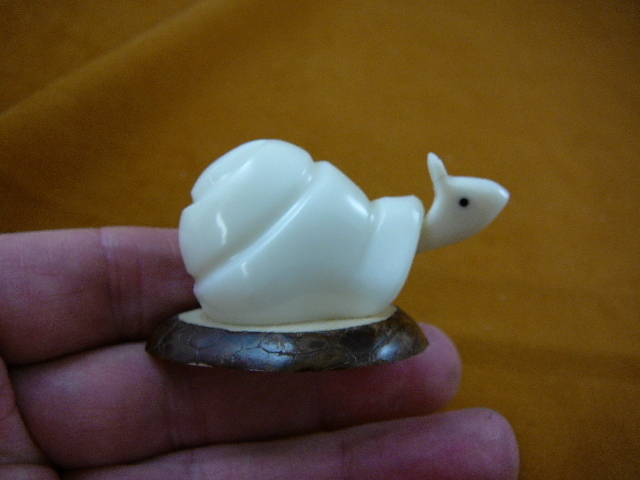 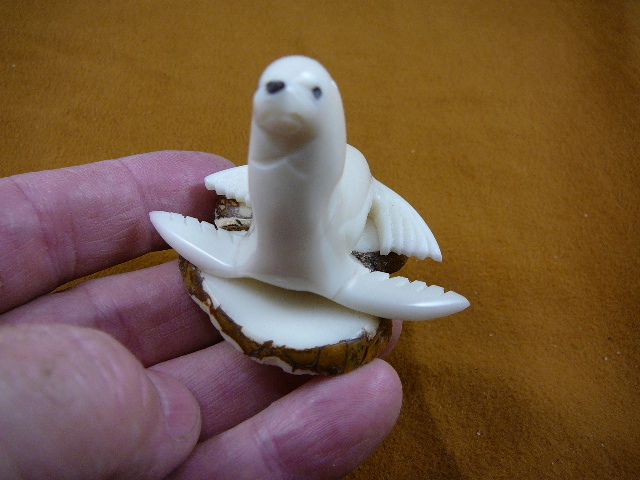 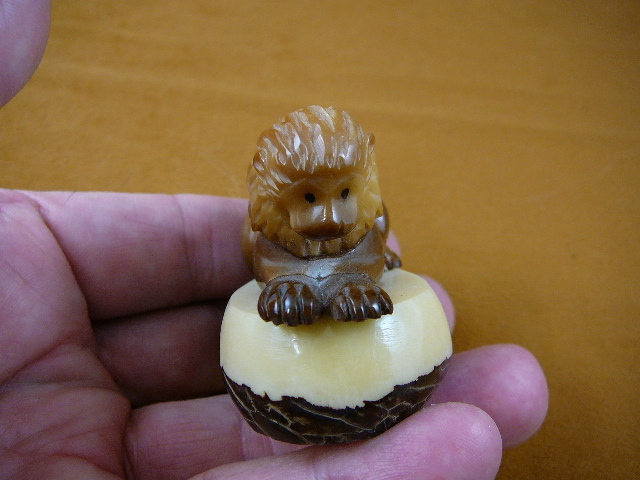 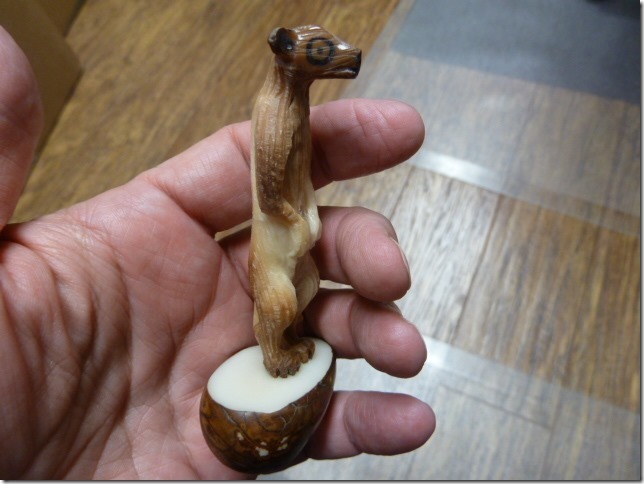 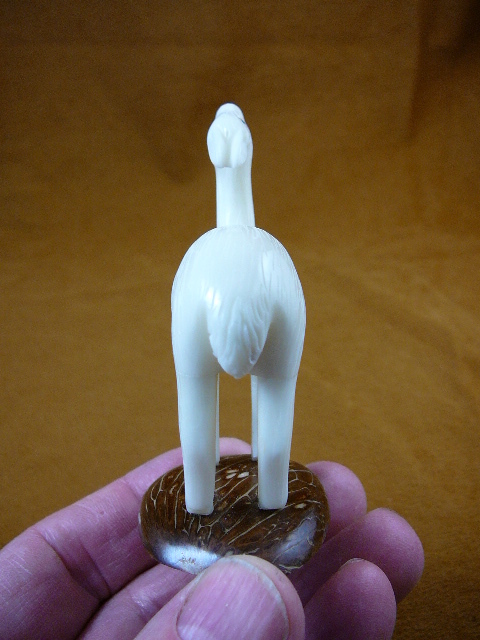 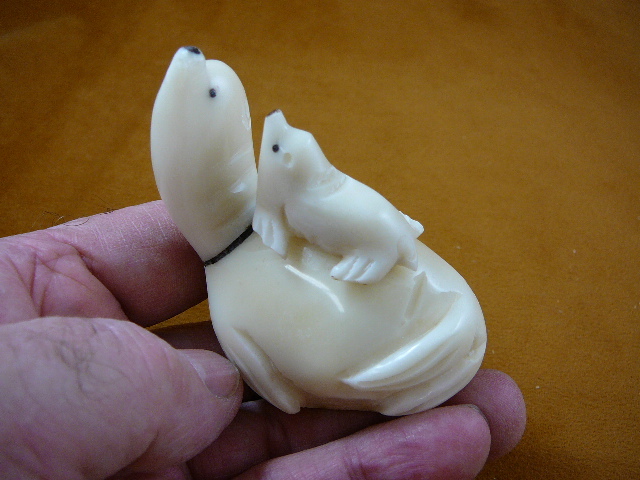 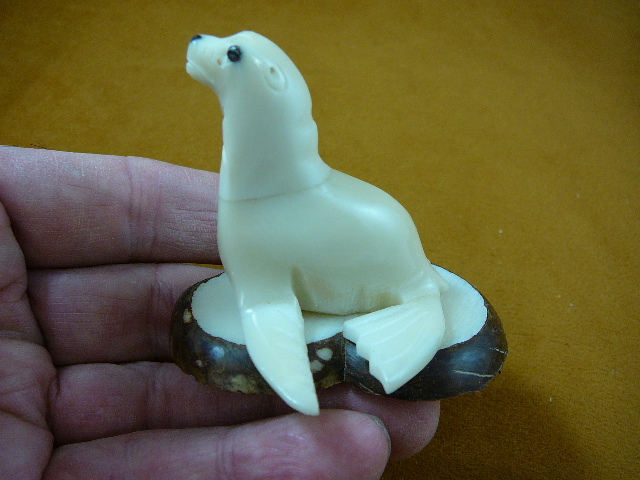 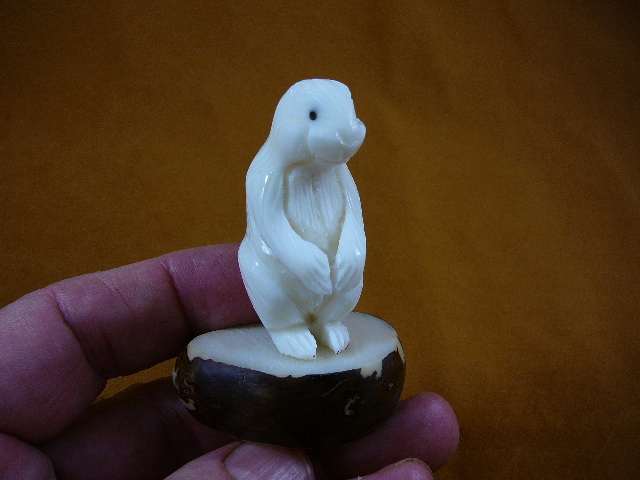 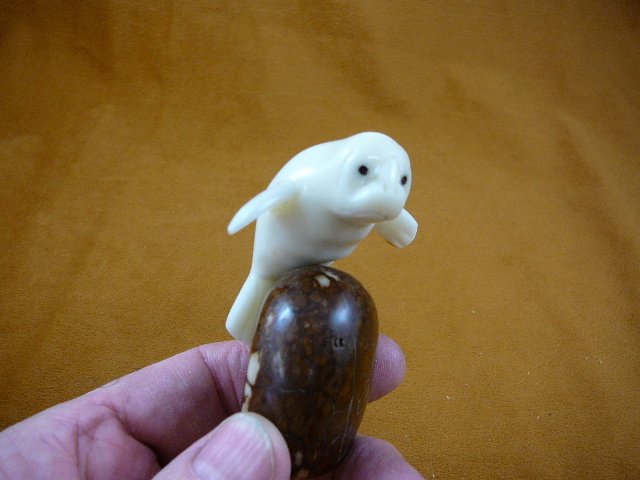 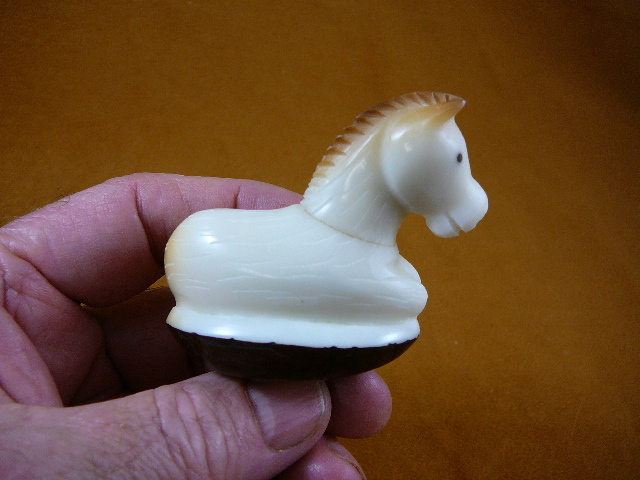 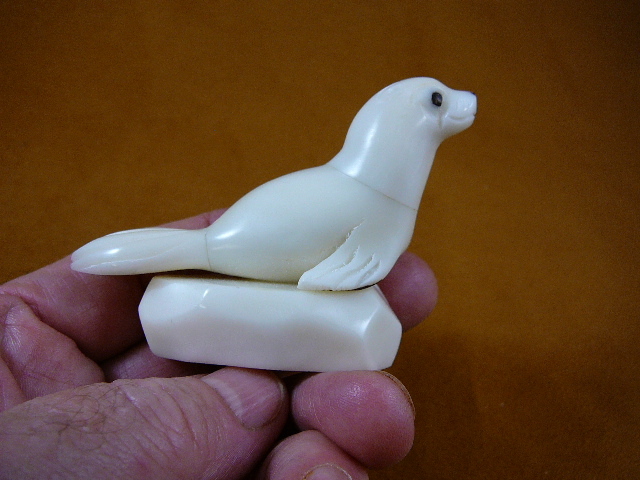 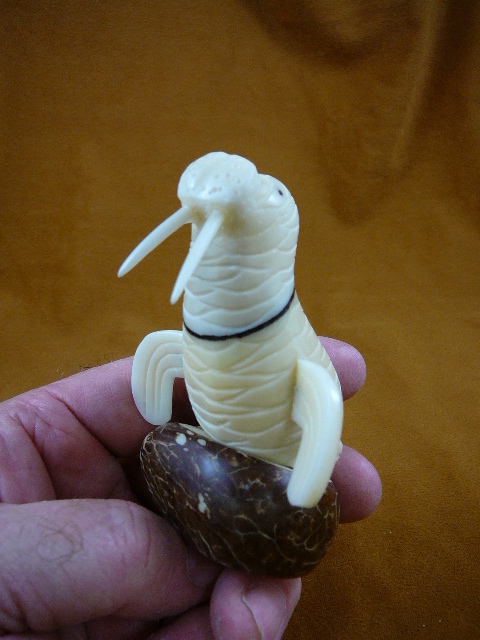 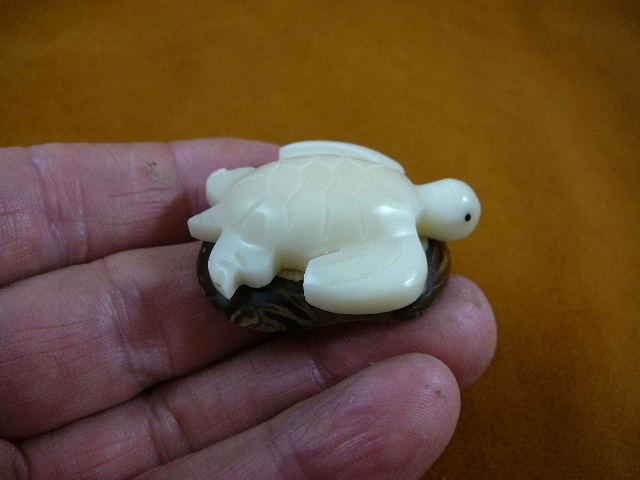 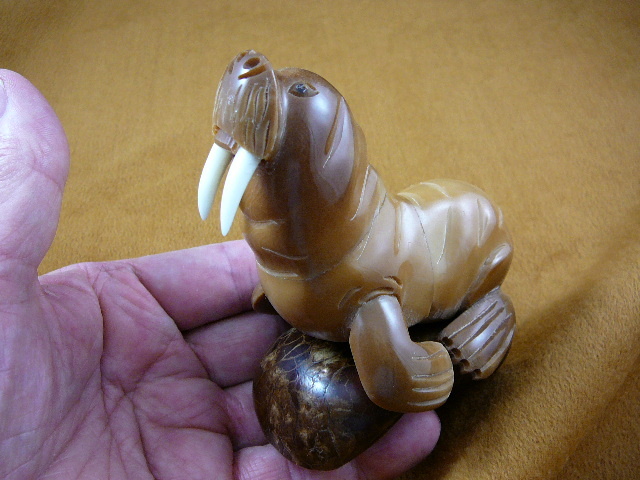 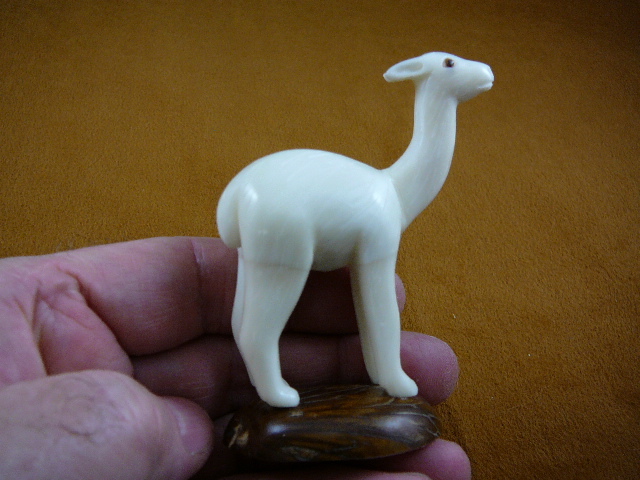 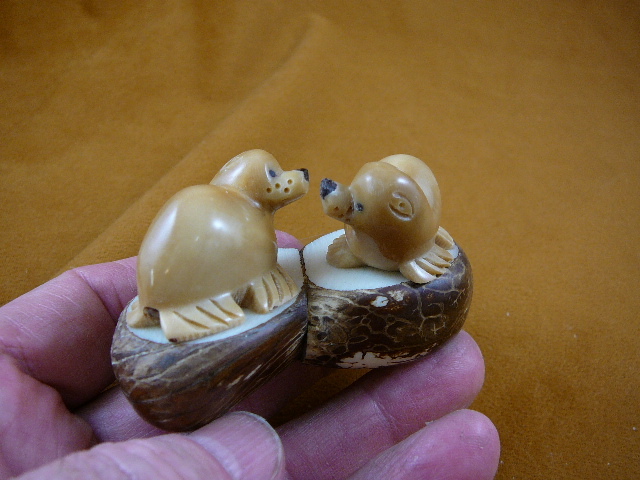 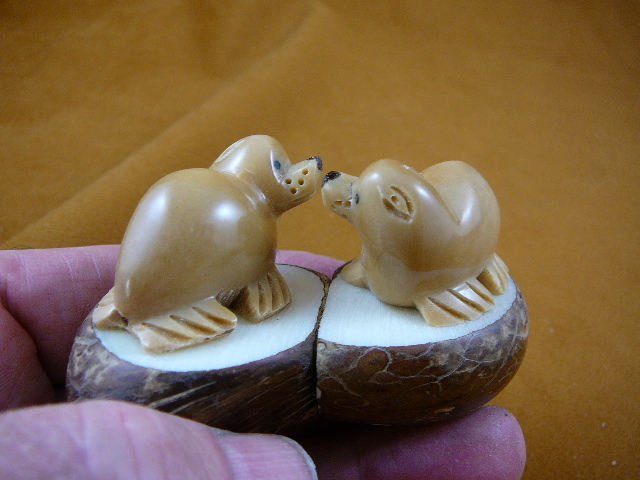 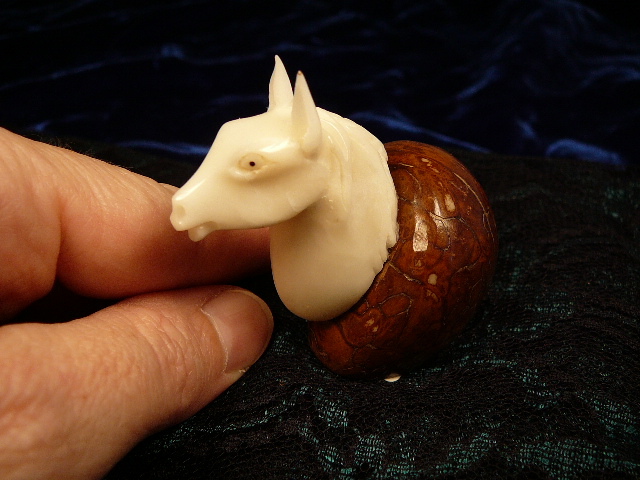 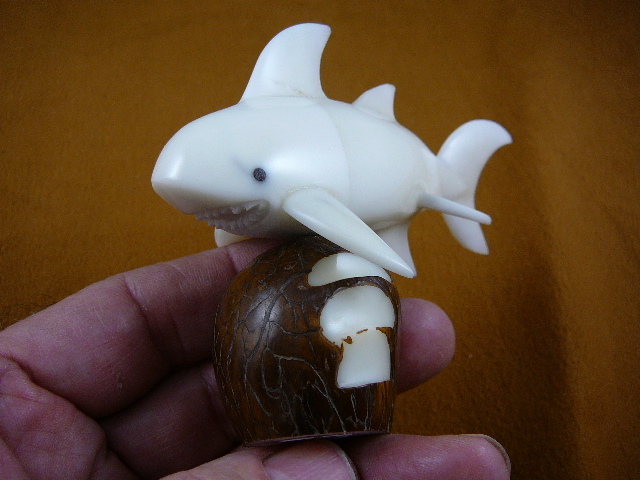 Sitting wolf howling on tagua nut base is 3-1/8" tall x 2-3/8" long x 1-3/4" wide.